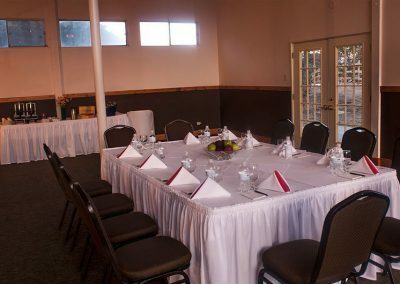 The purpose of a business meeting is to discuss important topics, plan strategies for growth and strengthen the core business team. 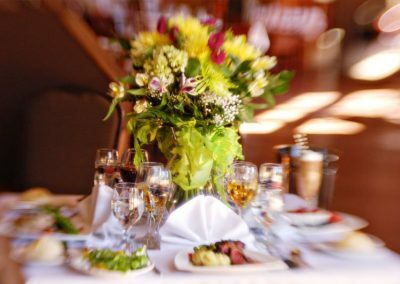 The focus shouldn’t be on lavish dining or entertainment, but rather the core business matters you came to discuss. 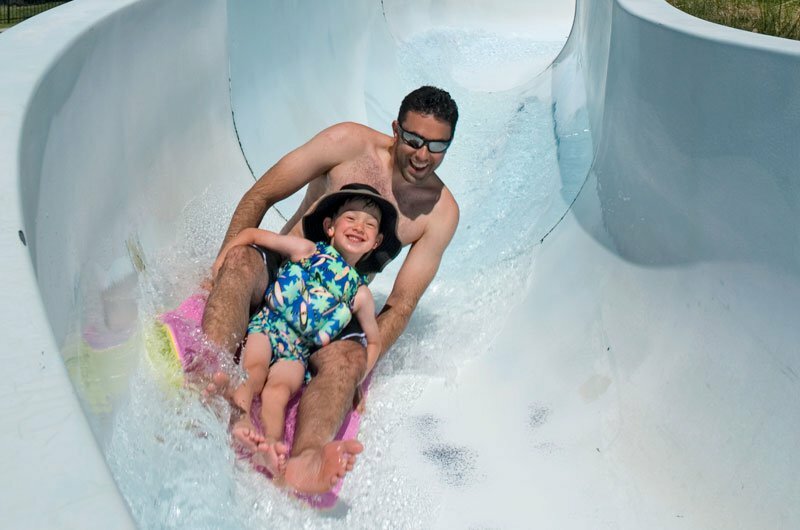 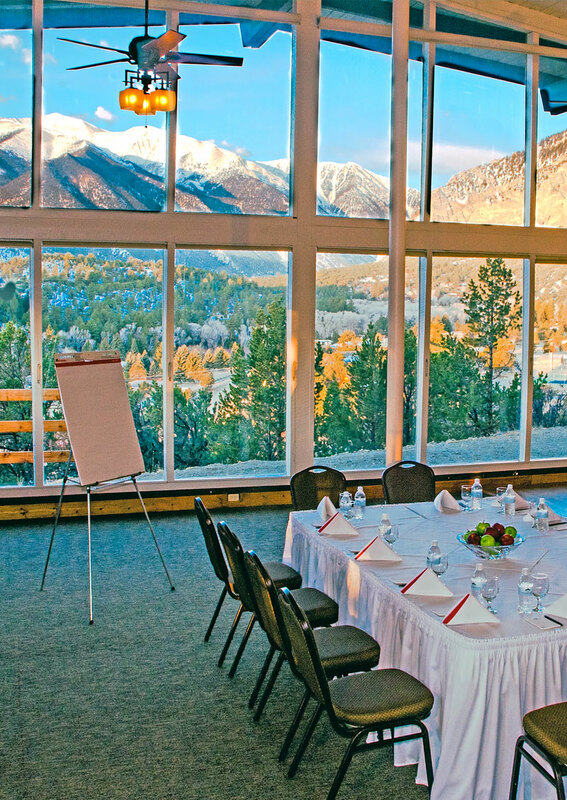 A destination resort can take the pressure off of having to plan a full schedule of activities for your business meeting guests. Guests can choose from a number of onsite and off-site activities between business meetings, allowing them to get out, explore and refresh their business minds. 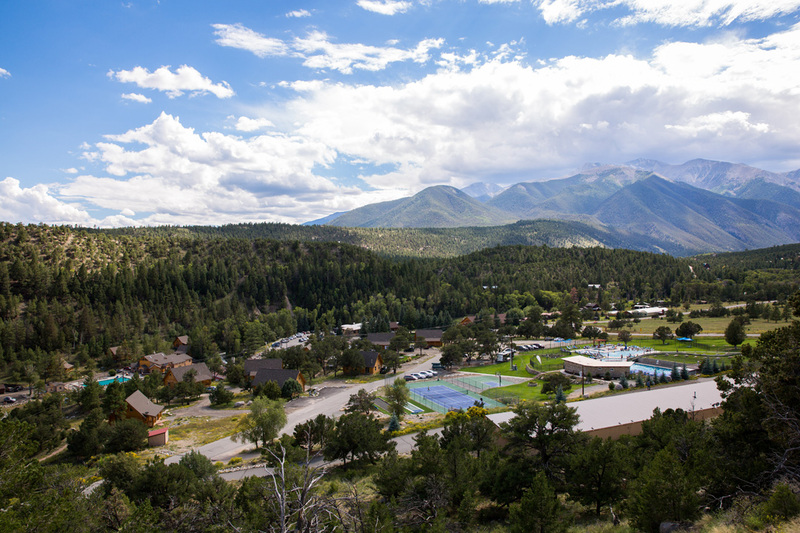 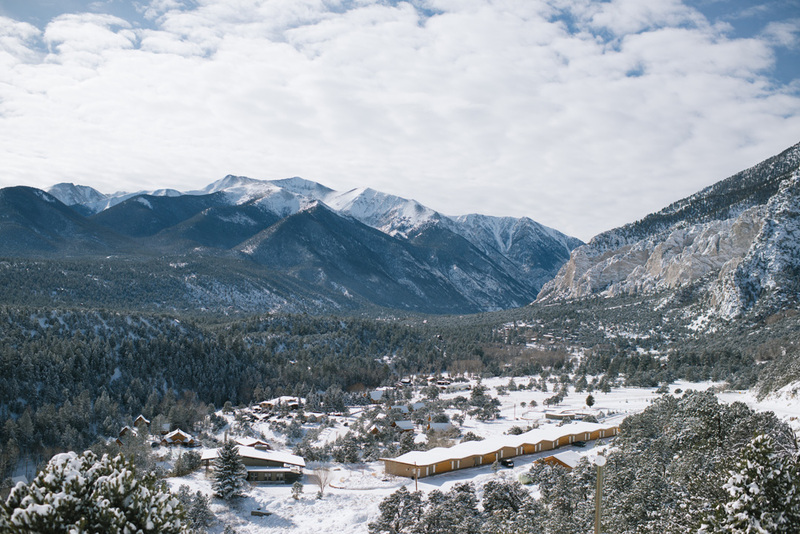 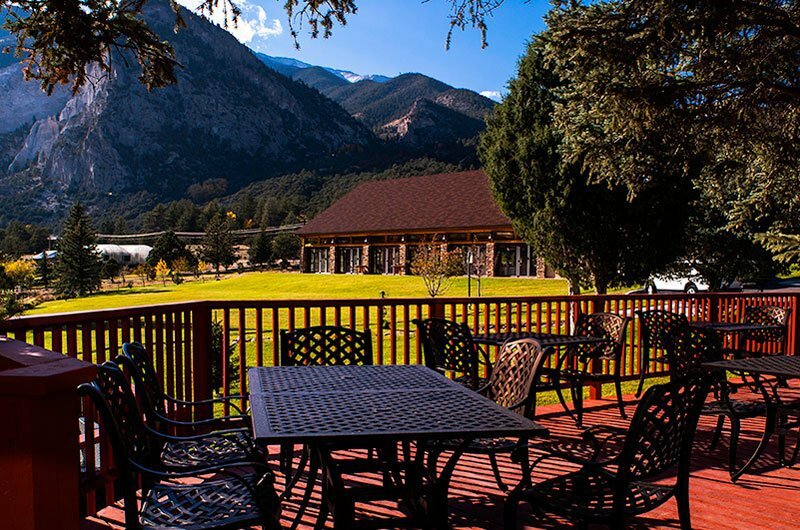 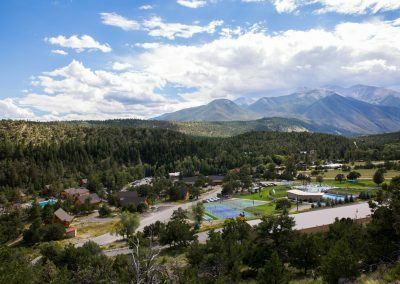 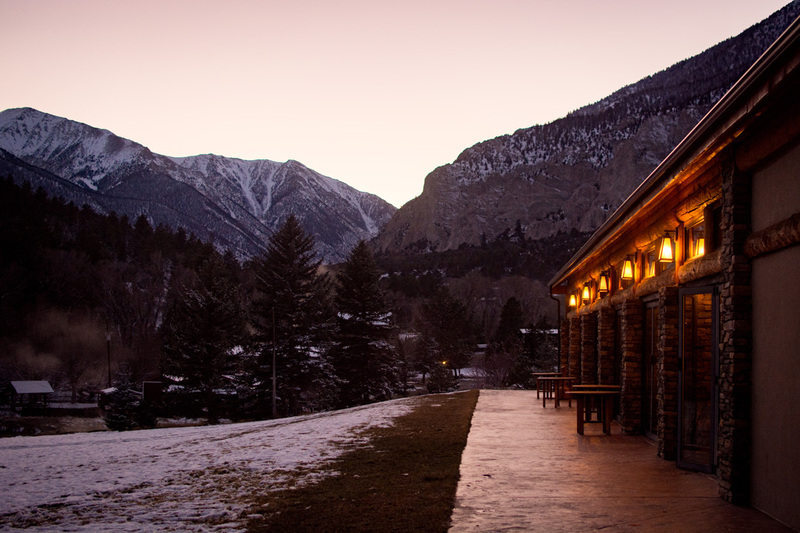 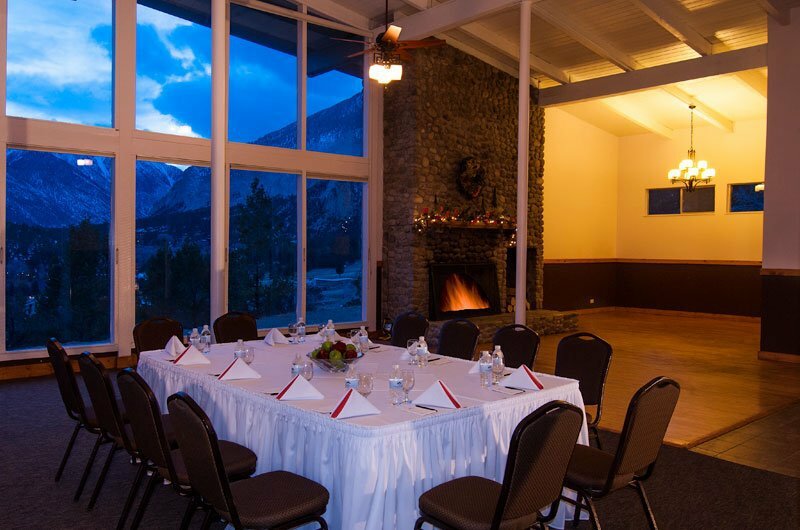 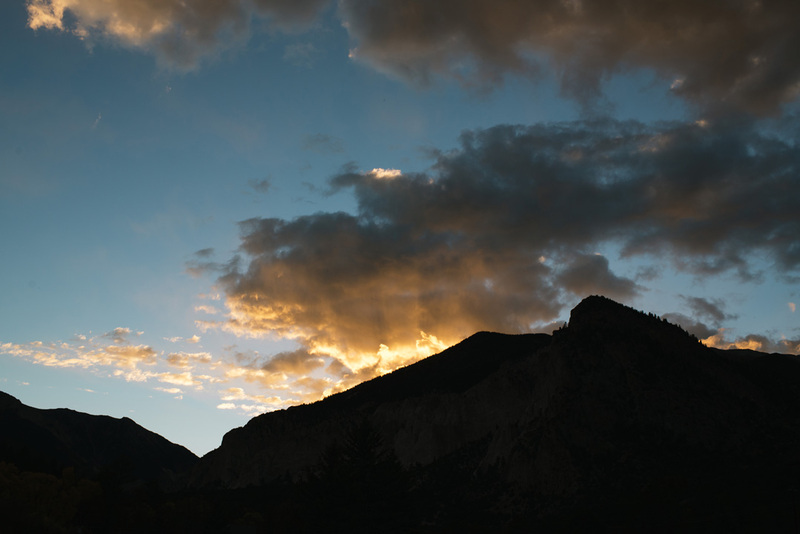 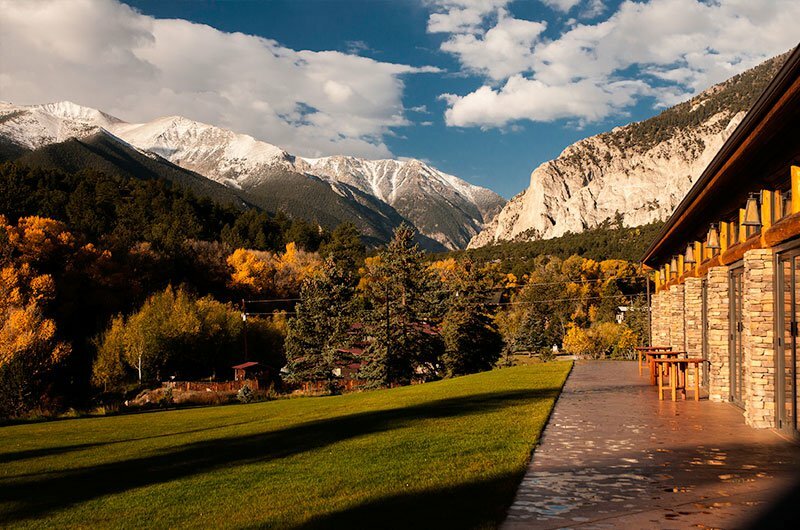 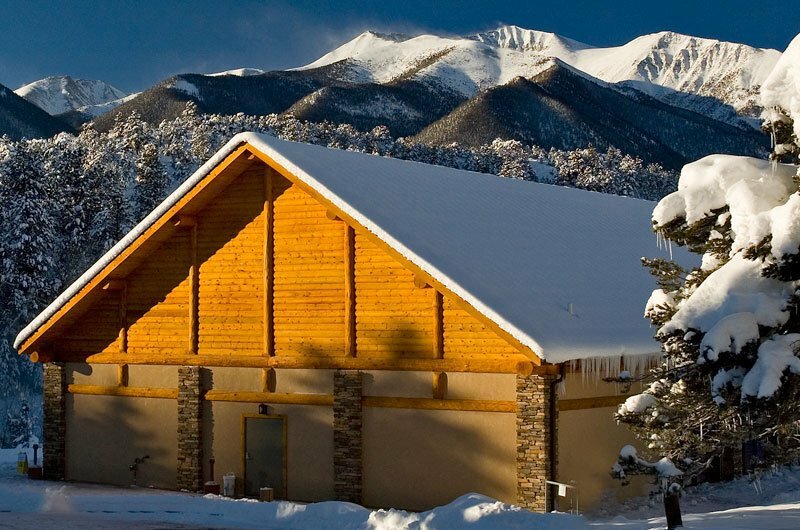 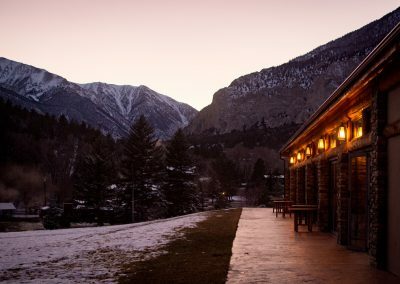 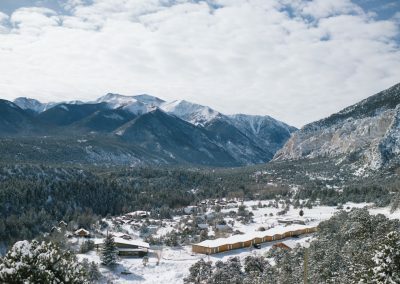 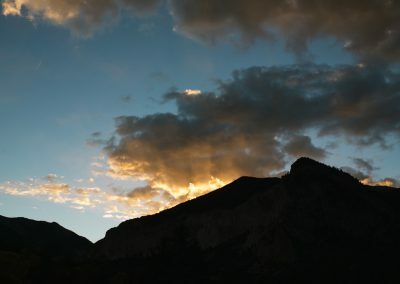 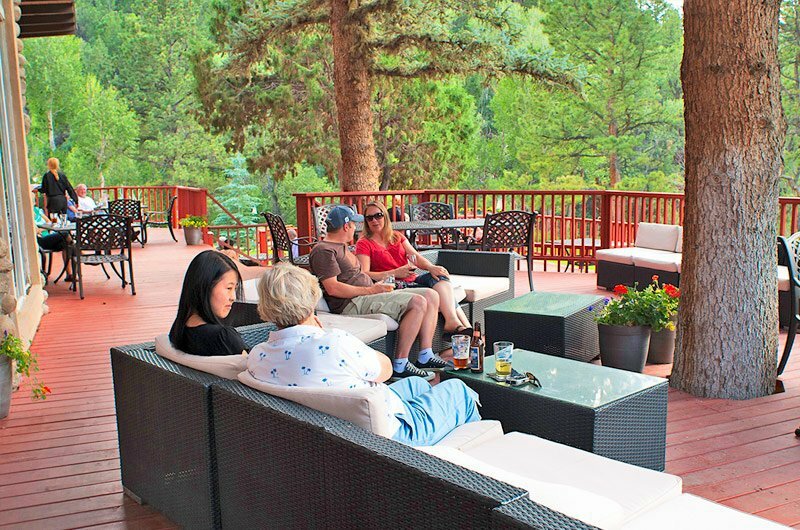 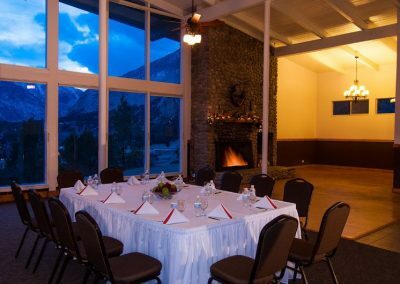 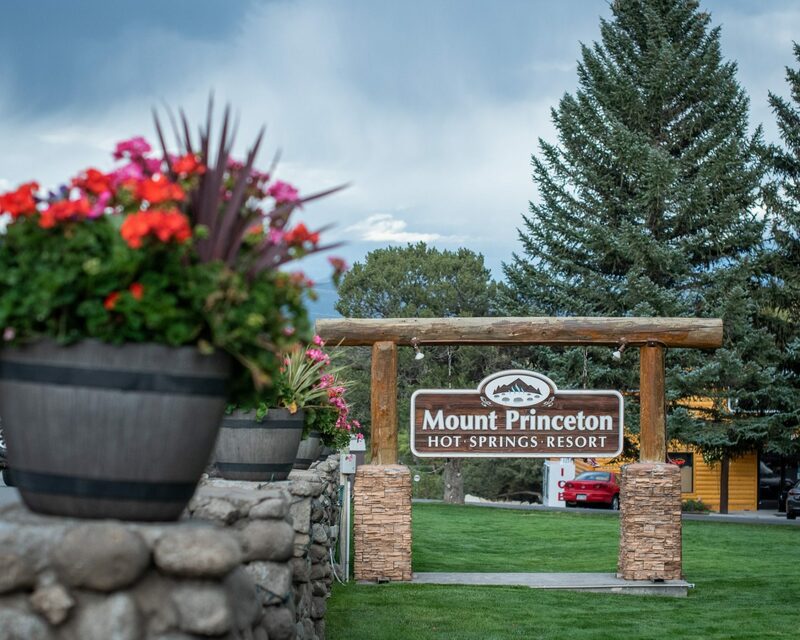 One of Colorado’s premiere business meeting destinations is Mount Princeton Hot Springs Resort. 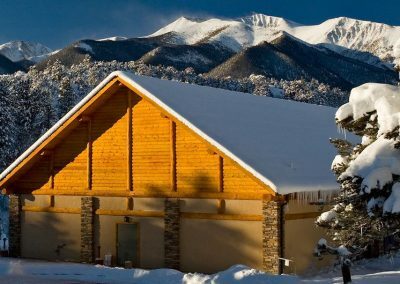 Mount Princeton Hot Springs Resort is located on the Continental Divide between Buena Vista and Salida, Colorado roughly 2-2.5 hours from Denver or Colorado Springs airports. 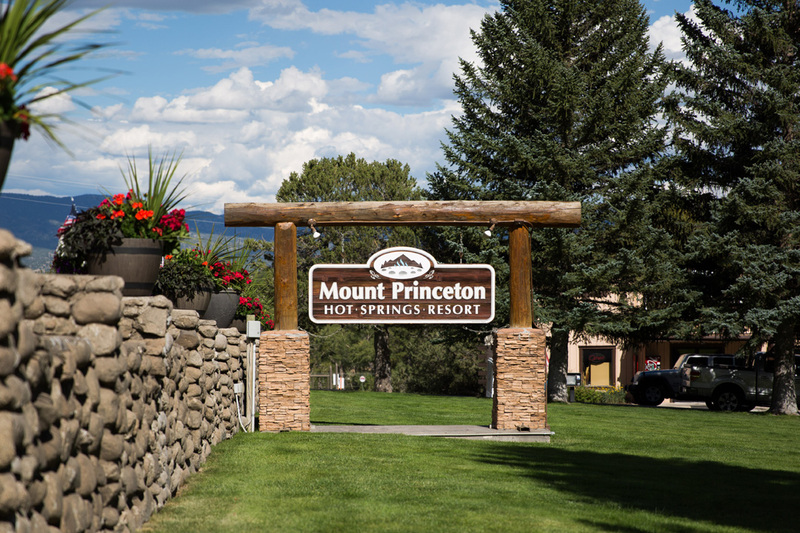 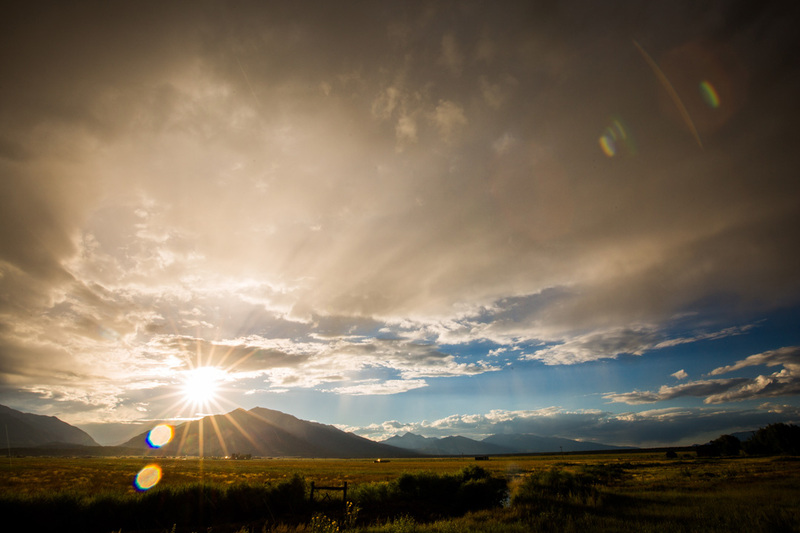 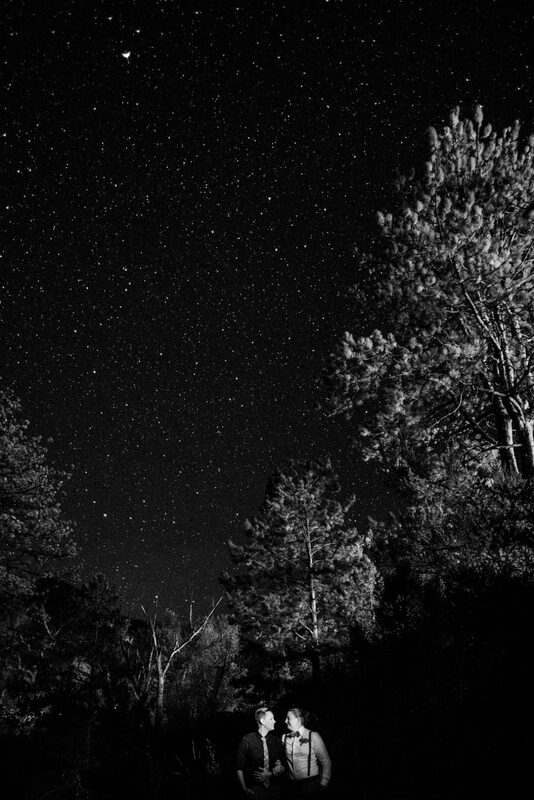 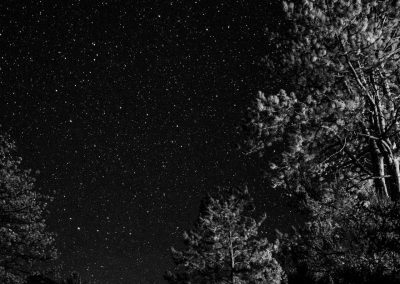 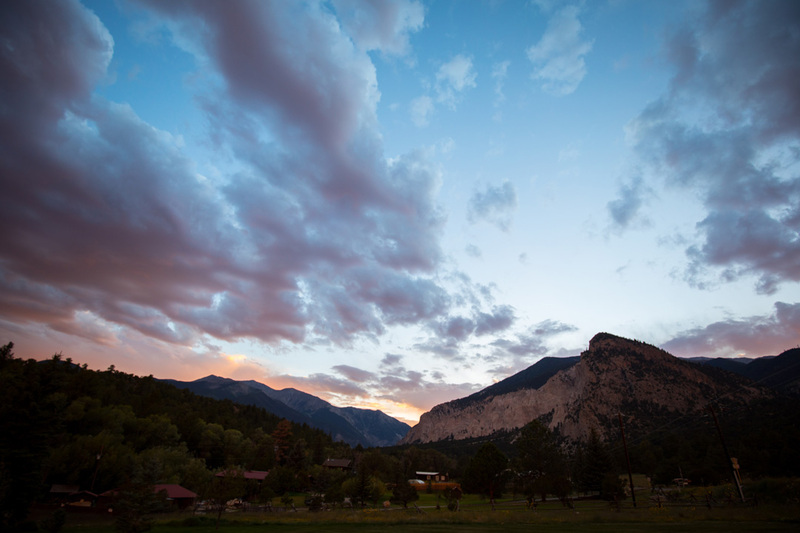 Allow the majestic views at Mount Princeton Hot Springs Resort impress your business colleagues. 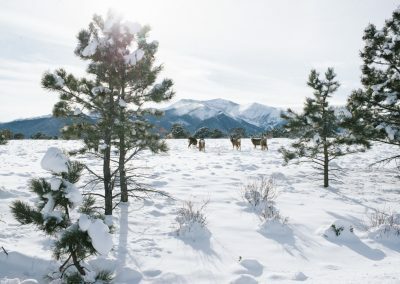 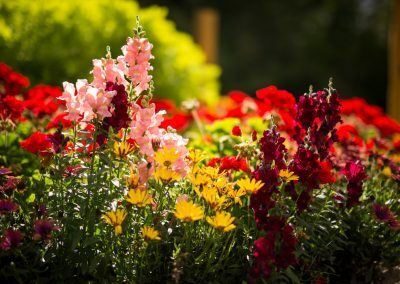 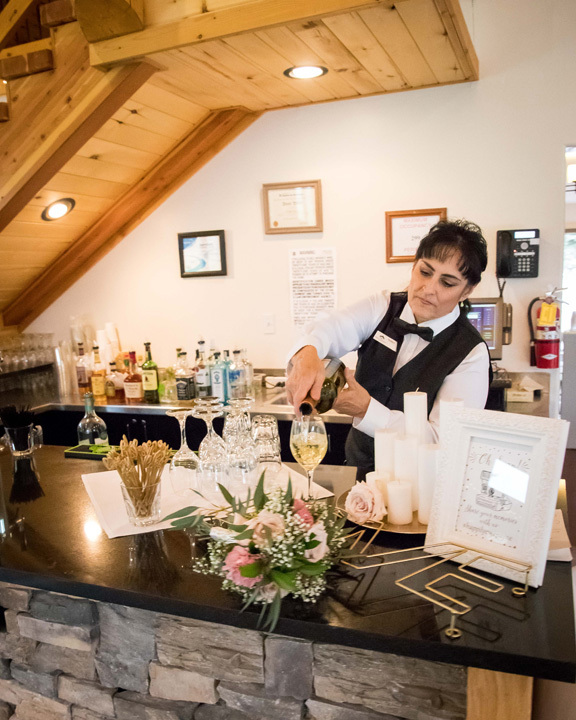 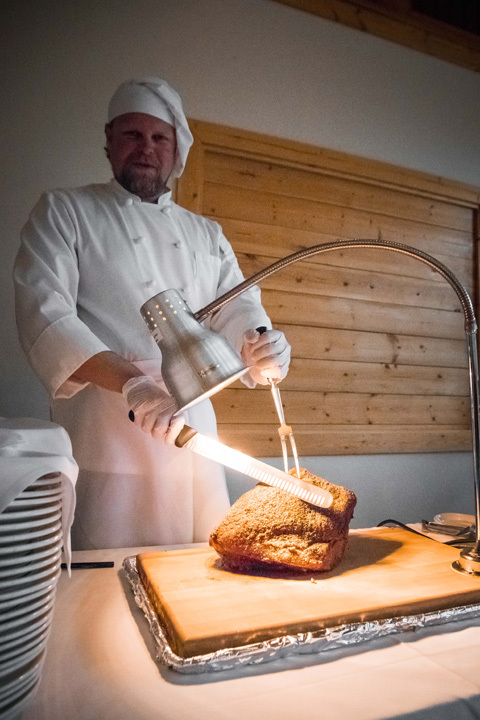 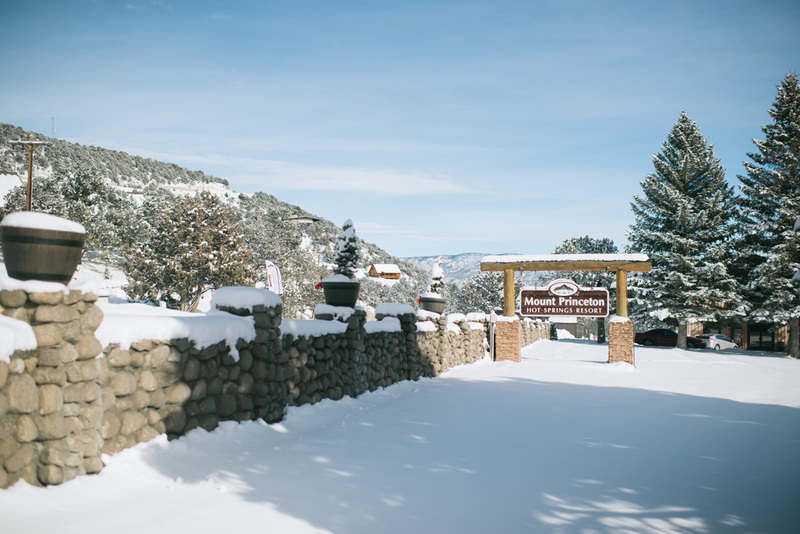 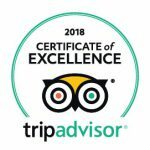 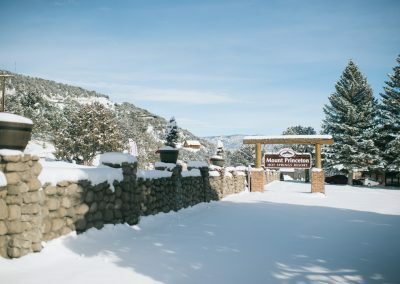 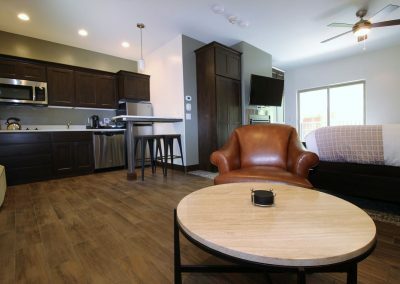 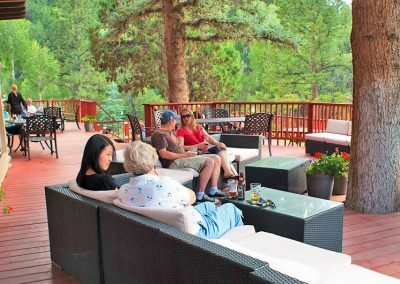 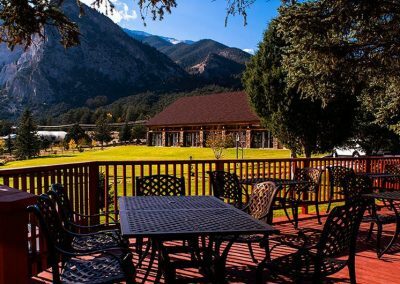 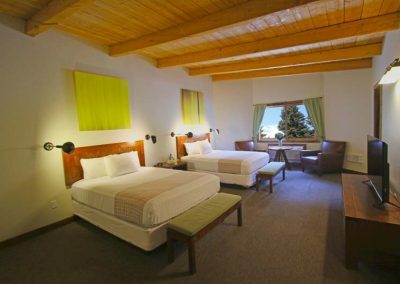 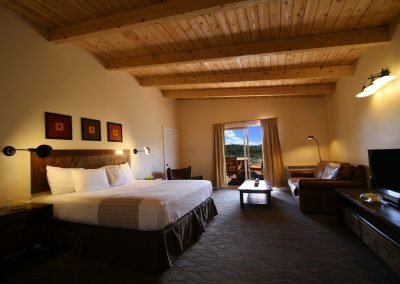 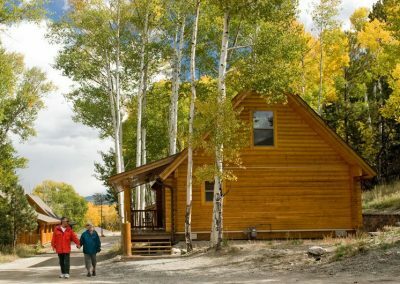 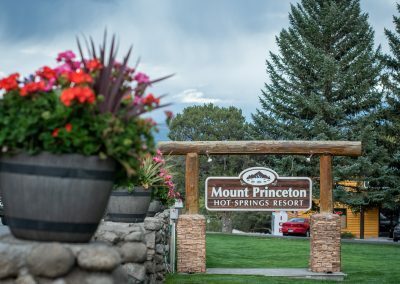 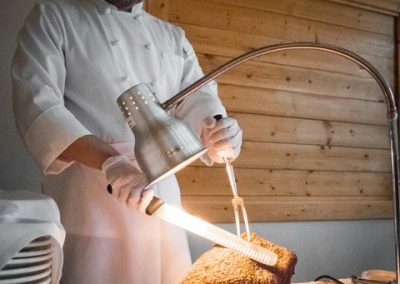 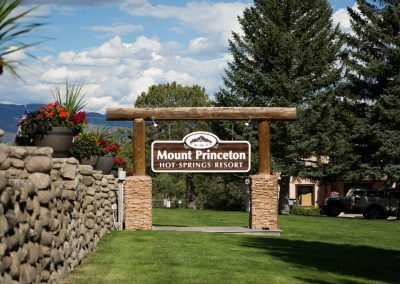 Mount Princeton Hot Springs Resort offers a variety of guest accommodations and meeting spaces onsite, plus complimentary soaking in natural geothermic hot springs for all resort guests. 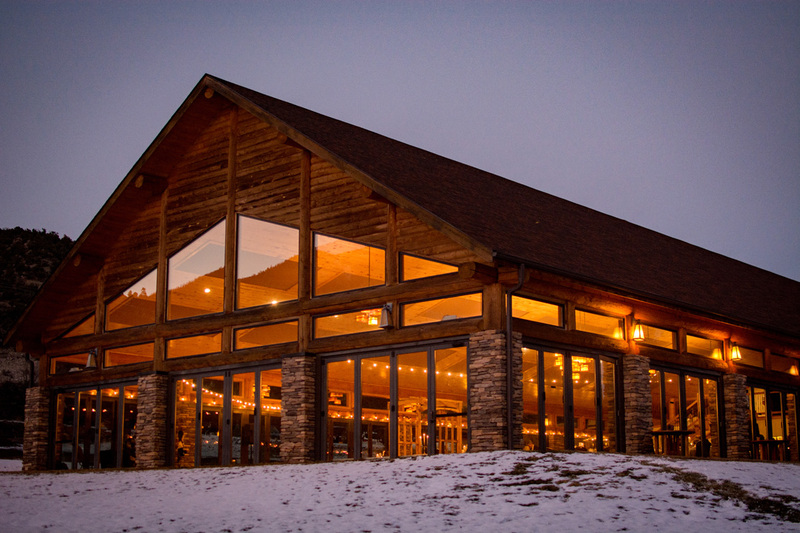 The newly constructed Pavilion houses larger meetings and dining events in a grand space with an indoor/outdoor feel. 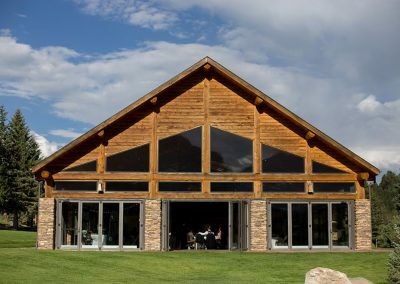 Full size bi-fold doors open to the outdoors and allow maximum light into the meeting and event space. 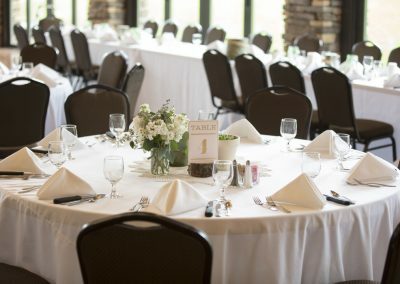 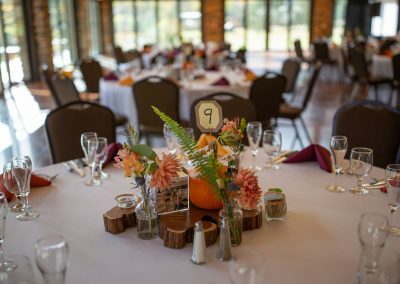 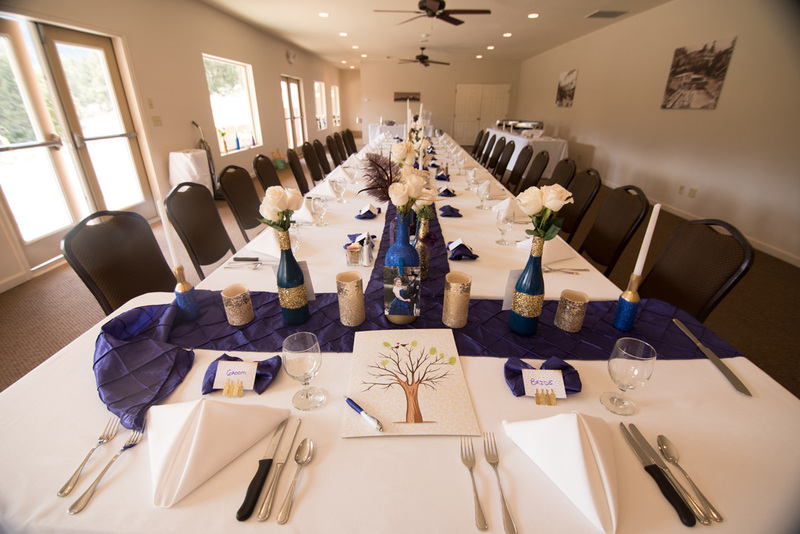 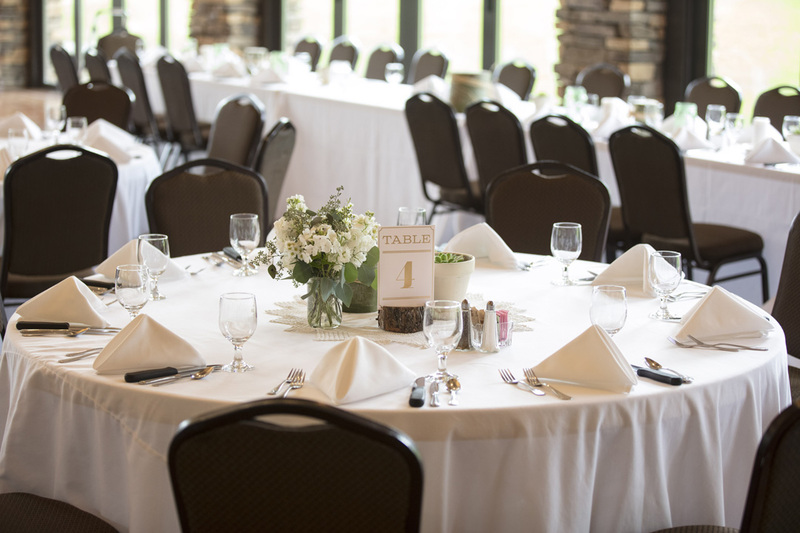 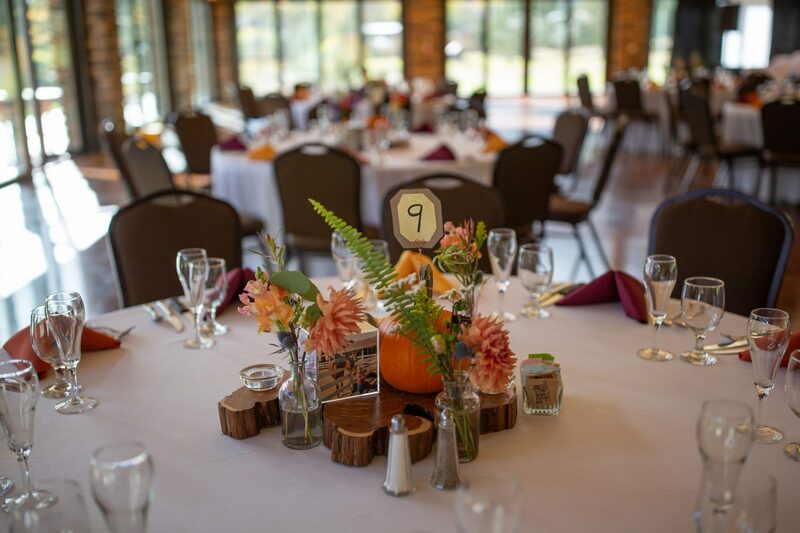 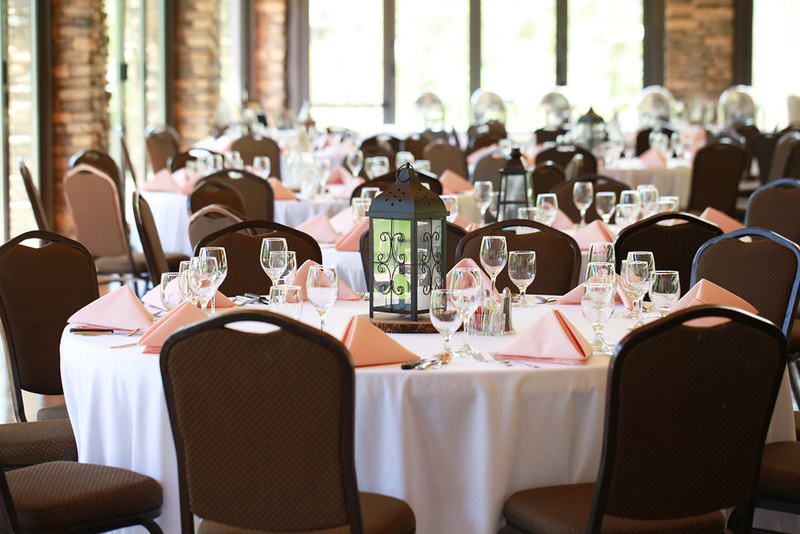 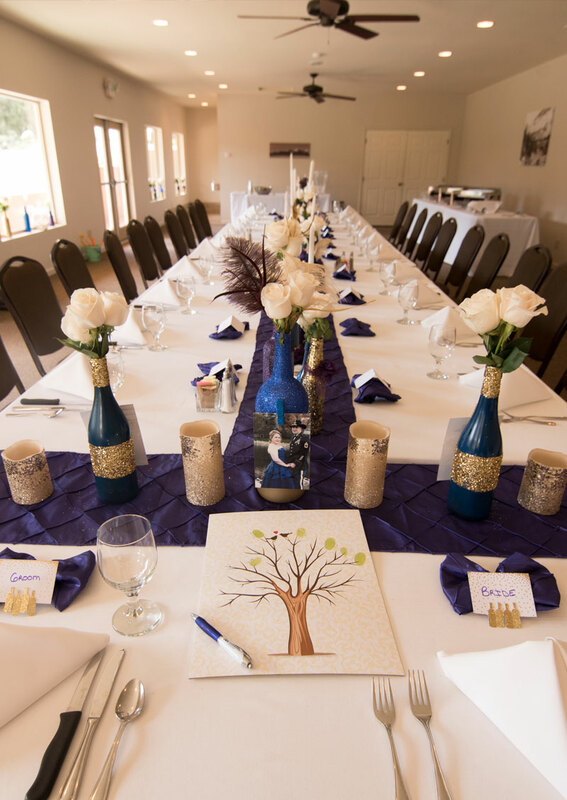 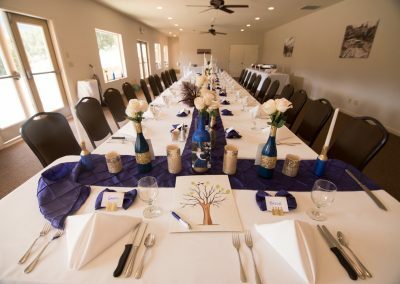 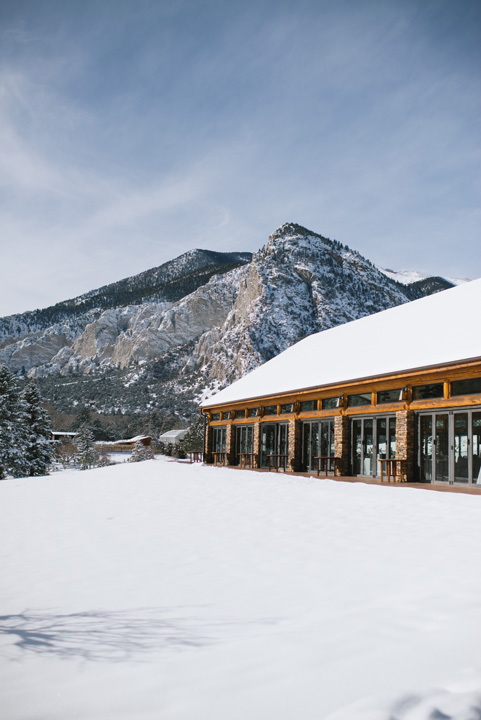 The conference center is a versatile space that is perched high on the resort, allowing tremendous views of the Chalk Cliffs to envelope your meeting or event space. 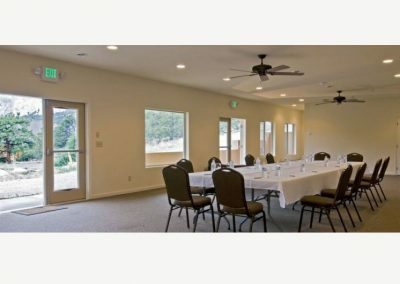 There is also a conference cabin onsite for smaller, more intimate meetings and events. 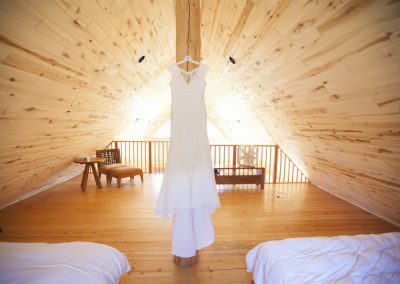 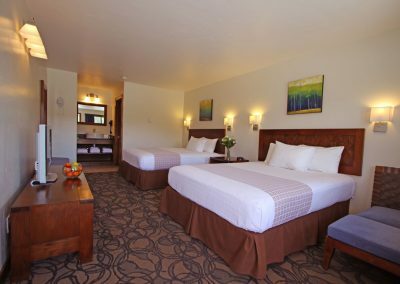 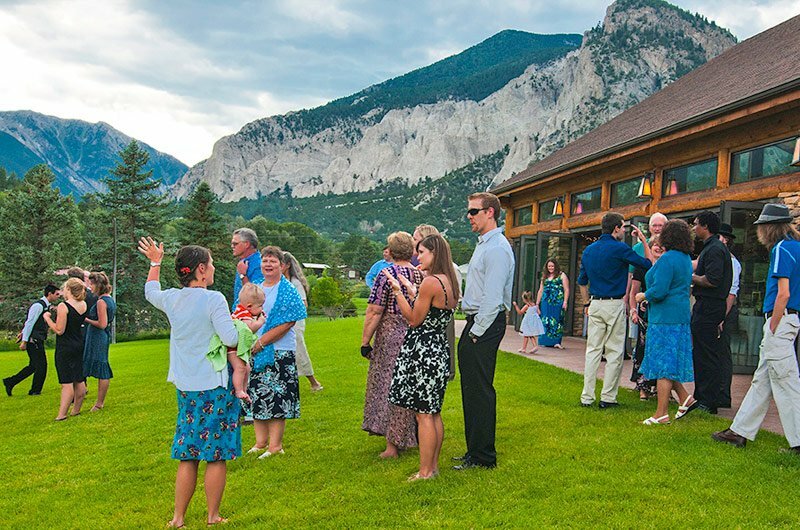 All guest rooms and guest cabins offer amazing views of the Chalk Cliffs and the Chalk Creek Valley. 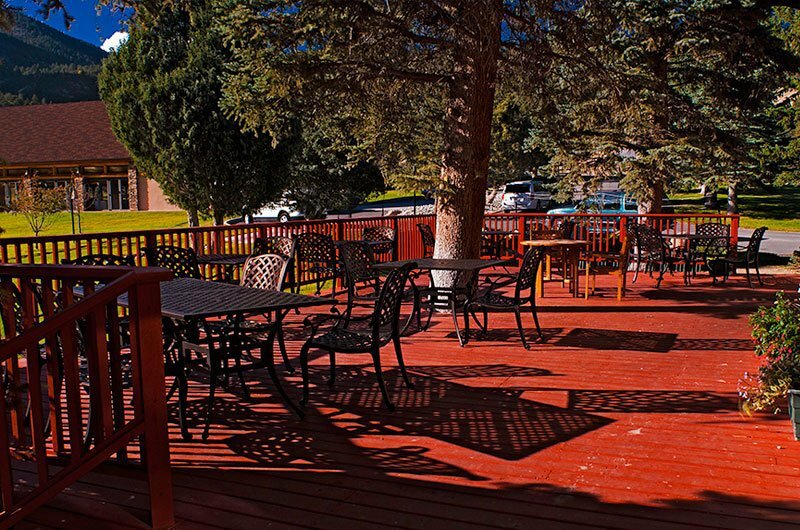 Resort meeting spaces, dining and spa amenities are within walking distance to all accommodations. Pamper yourself between meetings in the new Spa & Club that offers a variety of full spa treatments, massages and mineral soaks. 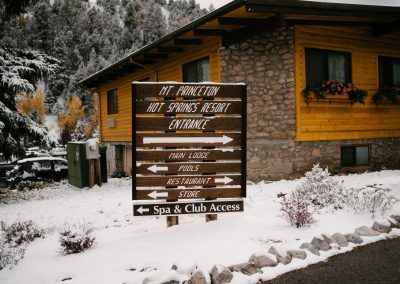 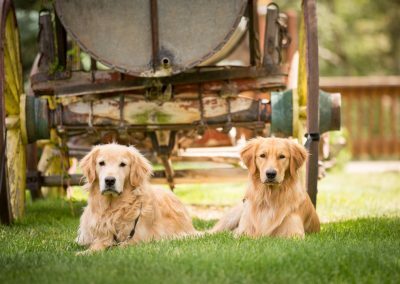 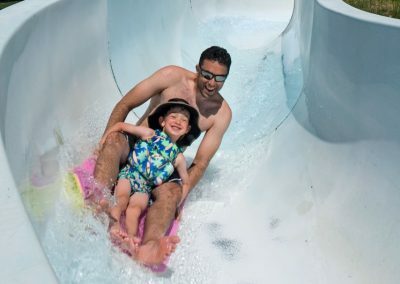 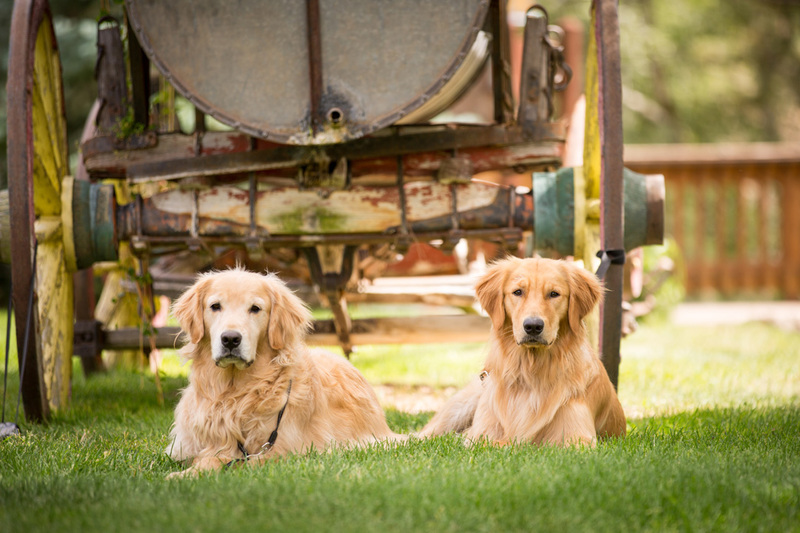 Besides soaking in the hot springs and indulging in spa treatments, business guests can also explore numerous outdoor activities found just outside the resort such as hiking, mountain biking, whitewater rafting, downhill skiing or snowmobiling. 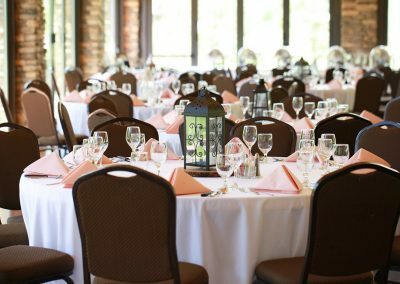 Focus less on entertaining business colleagues and more on the purpose of your business meeting: recapping on previous years failures and successes, brainstorming new ideas and strengthening the core team to move forward. 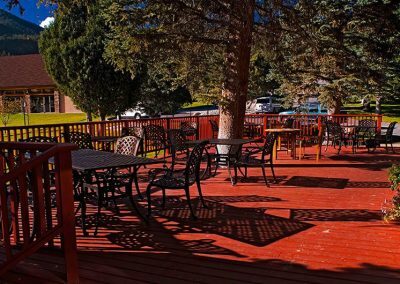 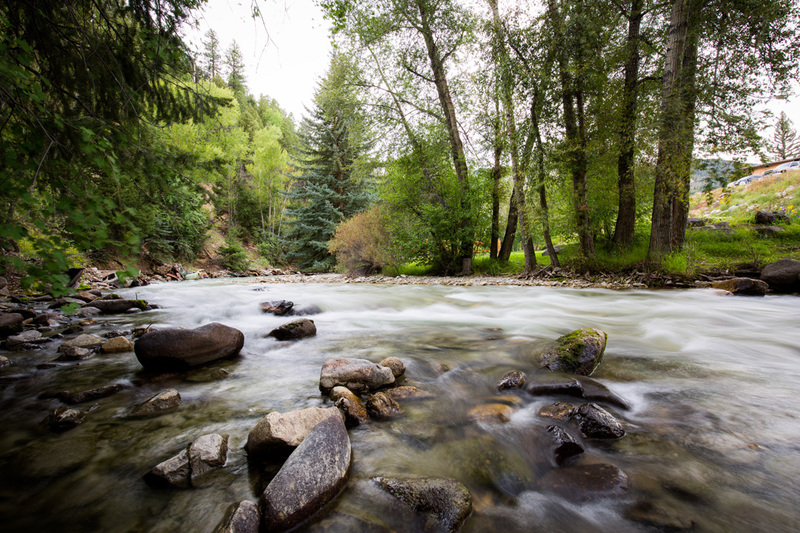 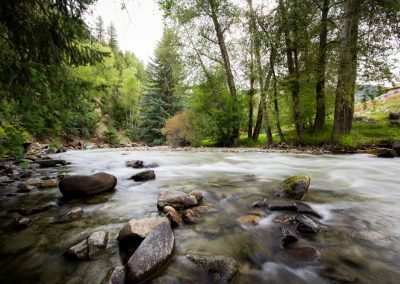 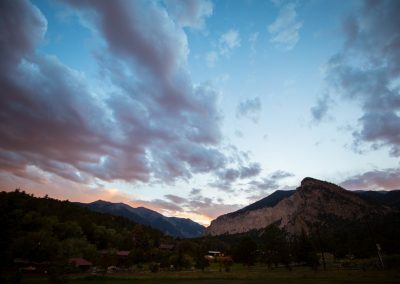 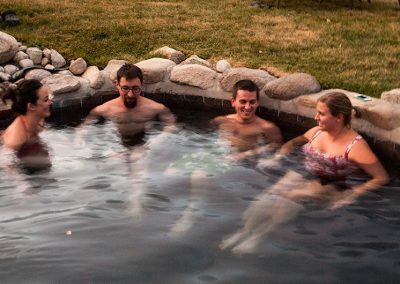 With choosing Mount Princeton Hot Springs Resort for your next business meeting destination, your business guests will relax in natural geothermic water, revive in the Colorado outdoors and come back to work more focused and rejuvenated. 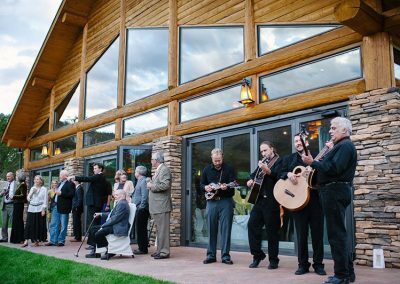 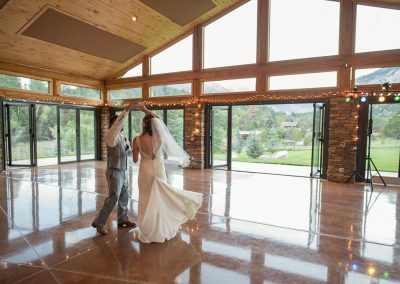 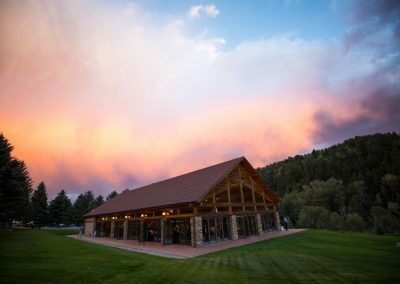 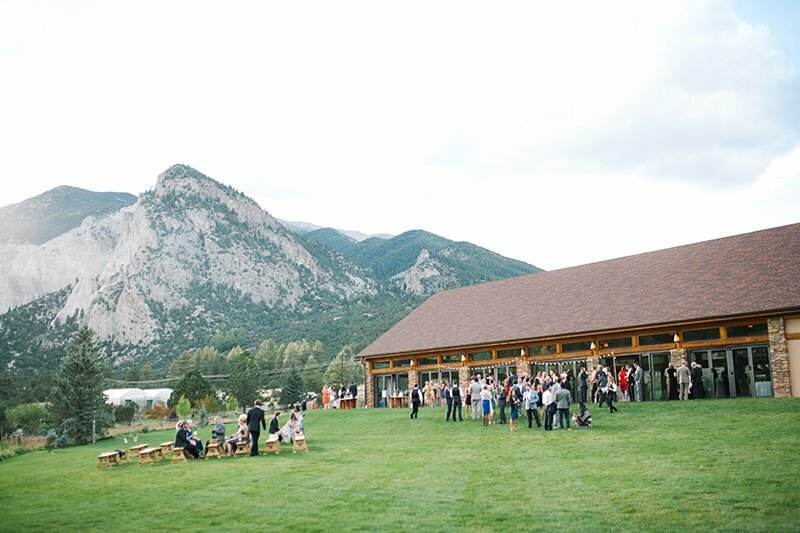 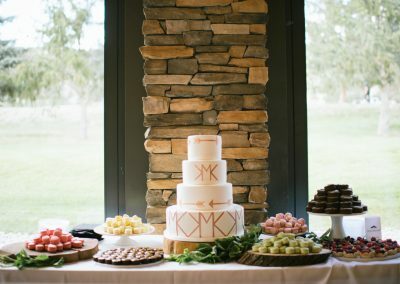 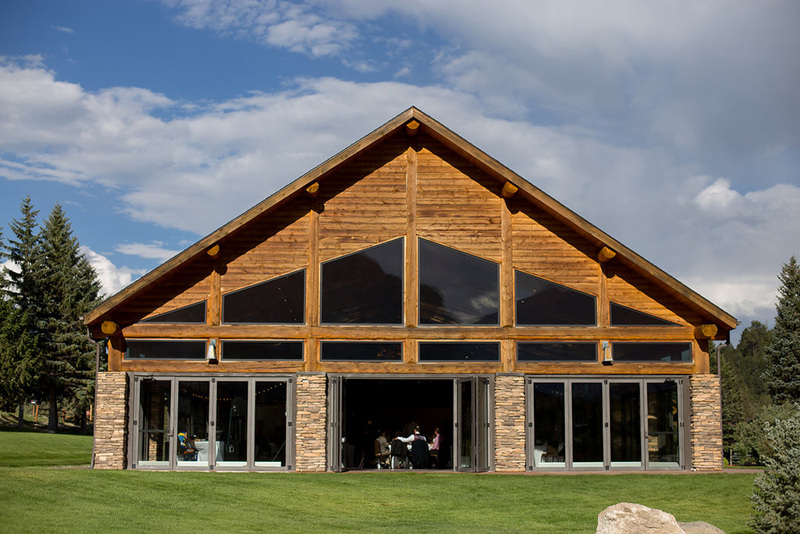 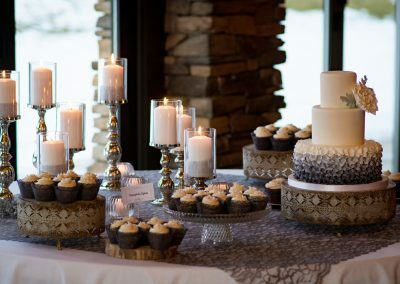 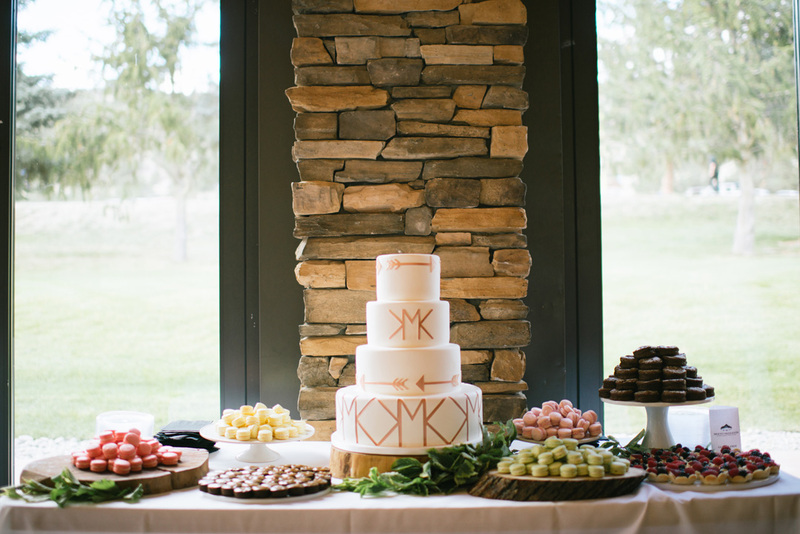 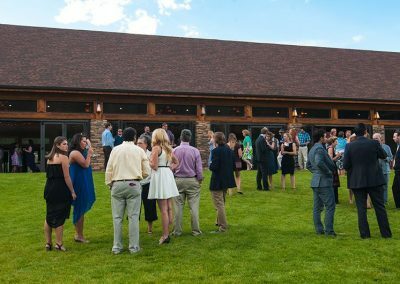 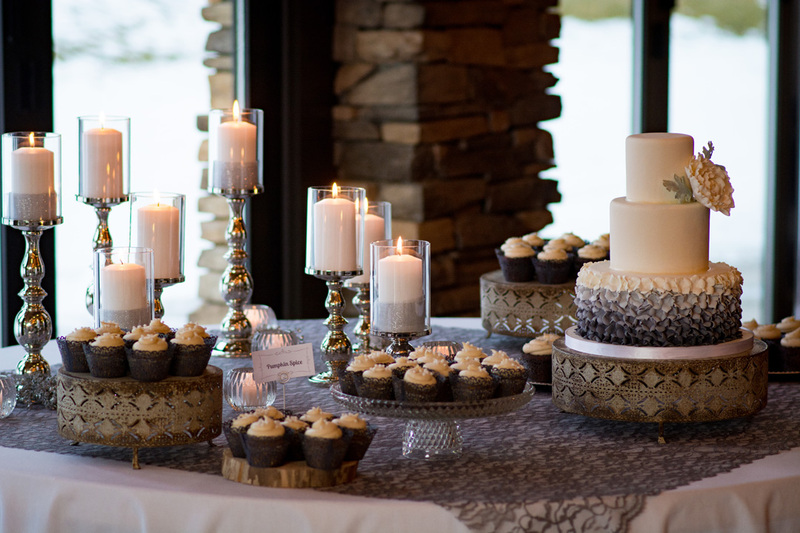 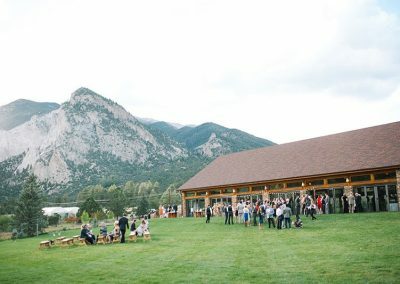 This amazing Colorado wedding and corporate event Pavilion is surrounded by incredible Rocky Mountain views. 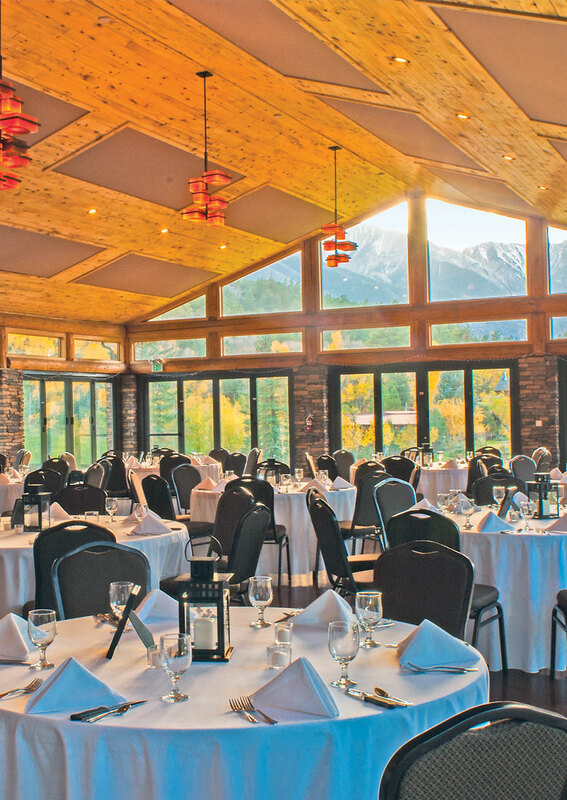 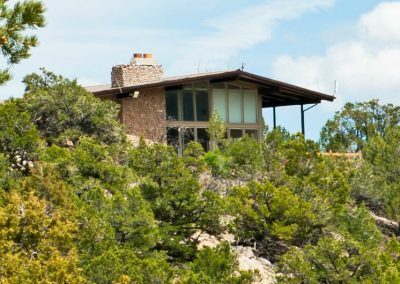 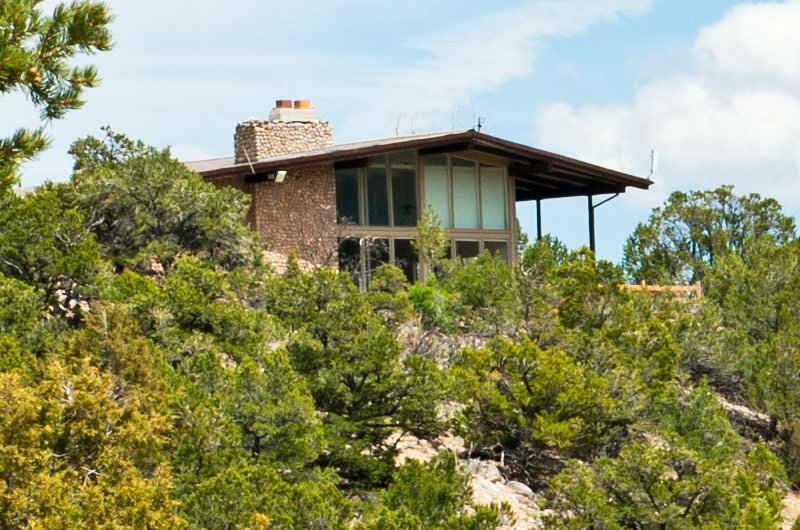 Enjoy breathtaking views of the mountains through the buildings large glass windows and doors. 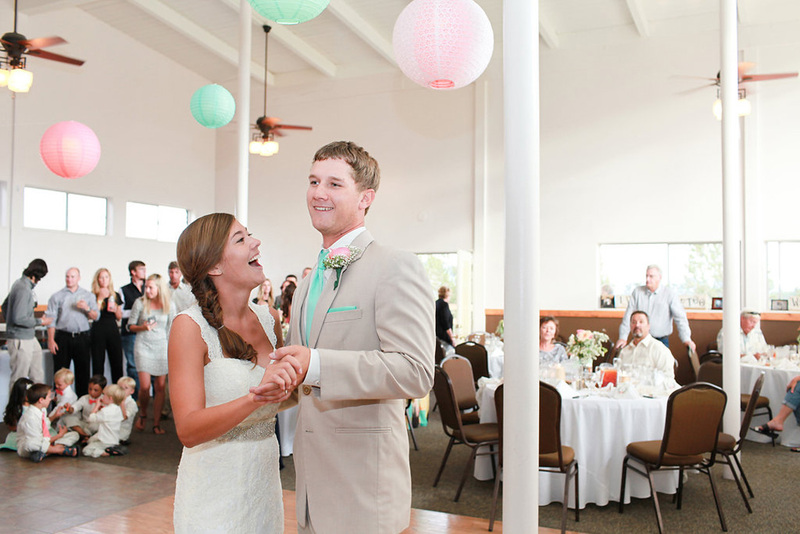 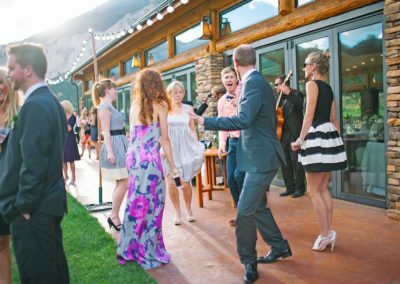 It has large bathrooms, a floor suitable for dancing, a beautiful bar area, and an onsite kitchen. 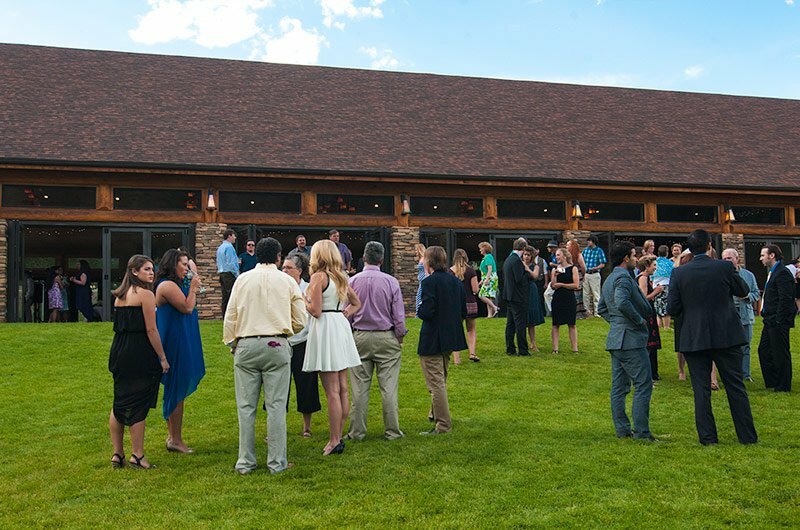 Enjoy the great lawns of the Pavilion. 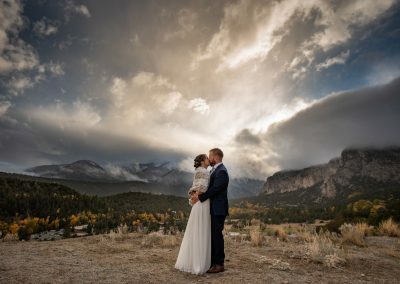 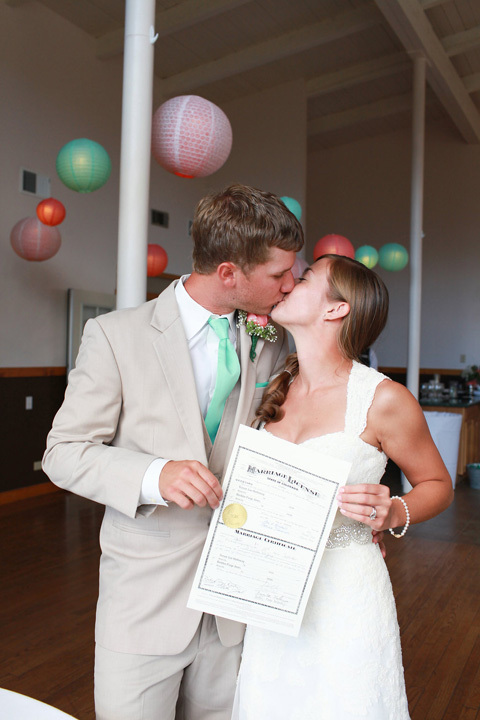 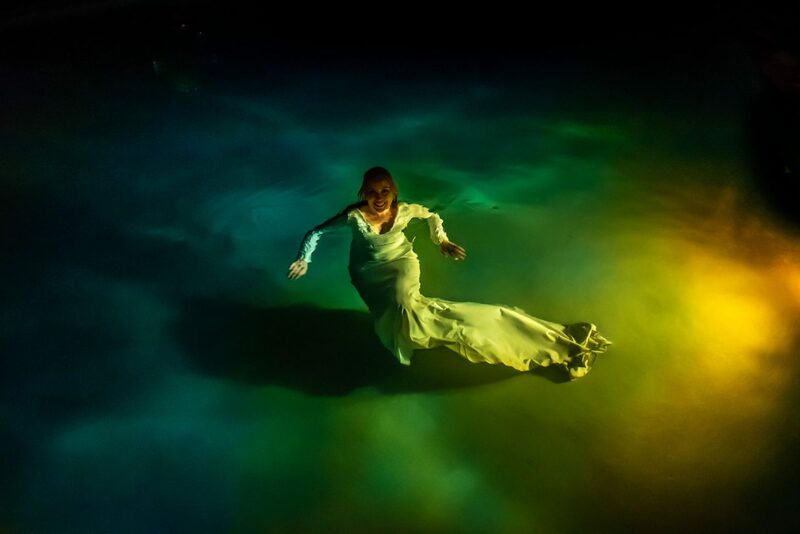 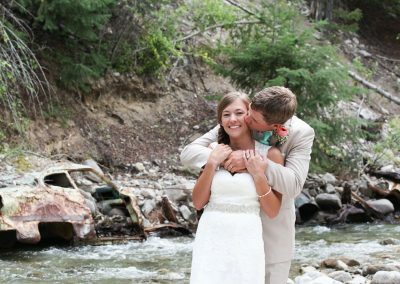 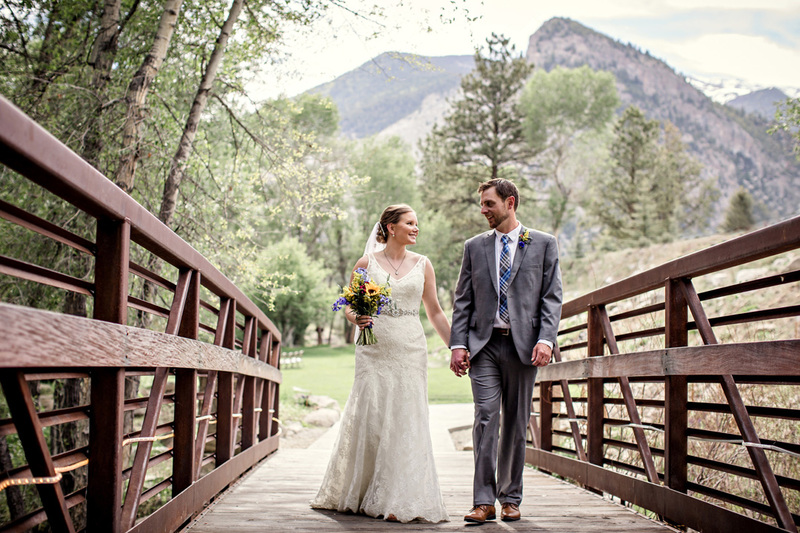 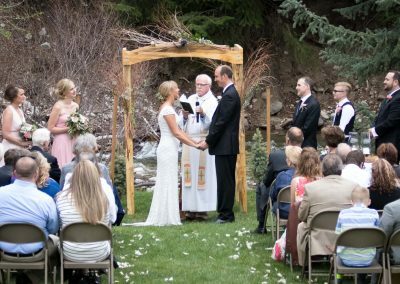 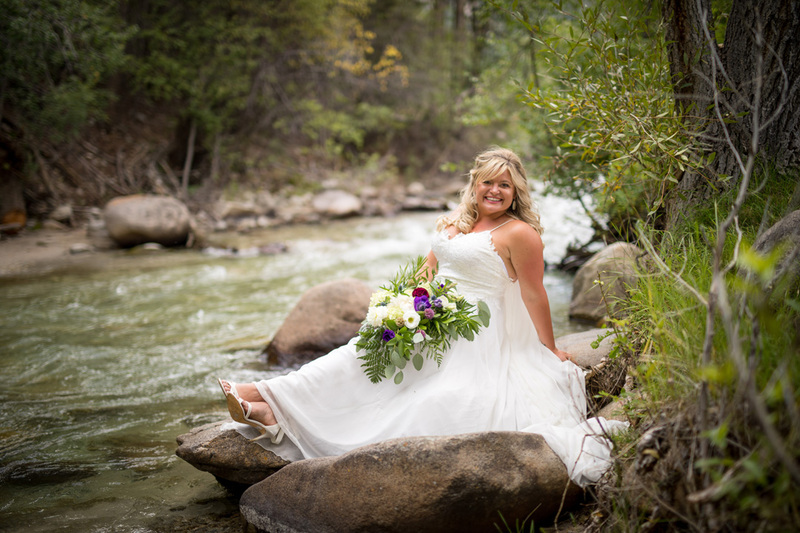 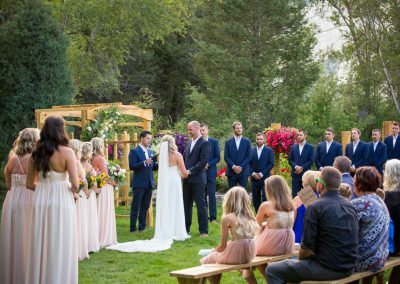 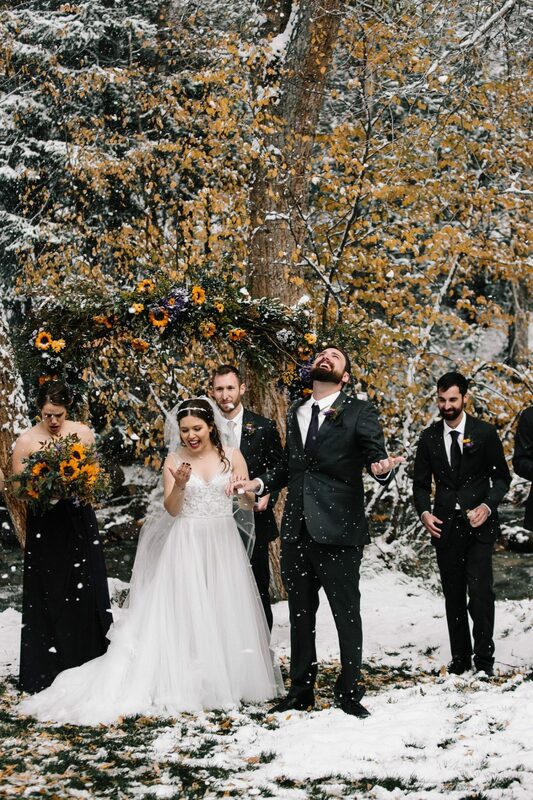 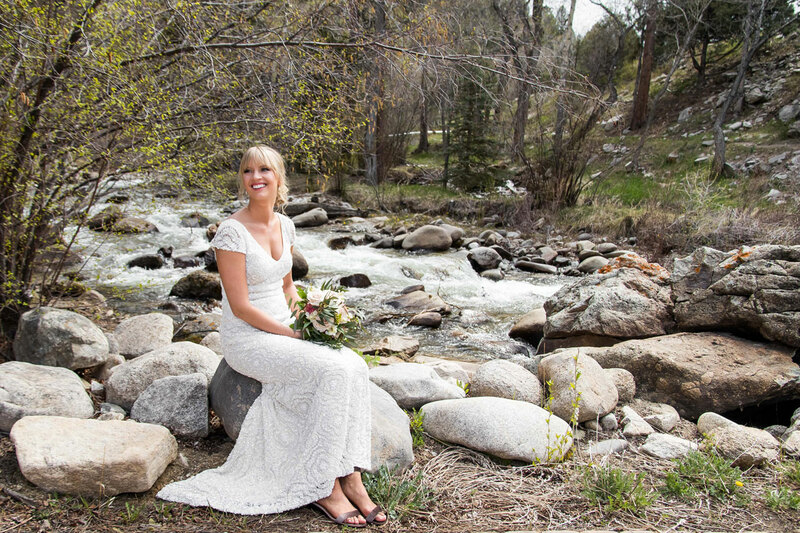 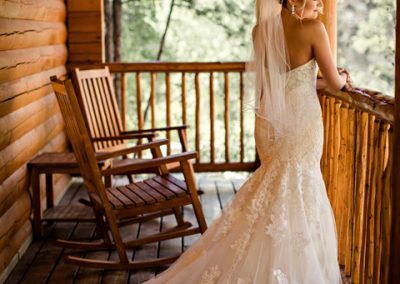 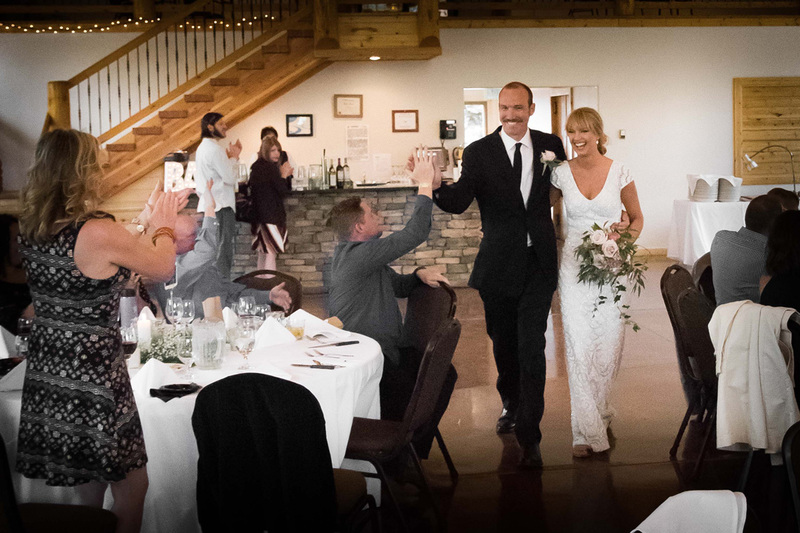 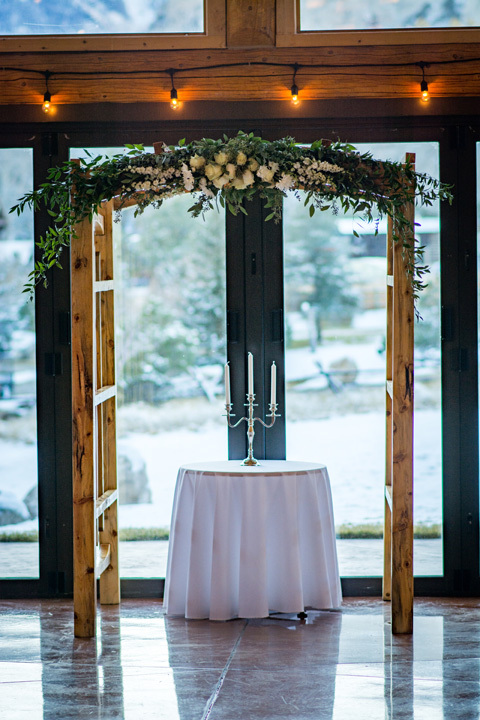 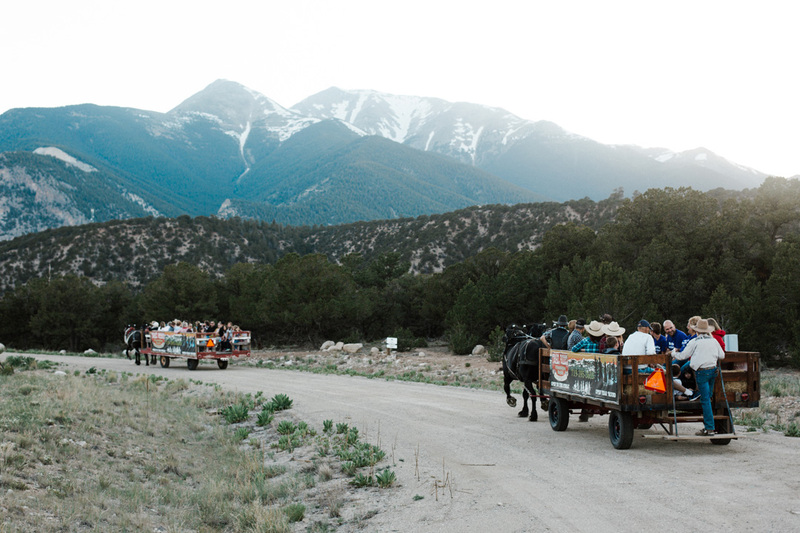 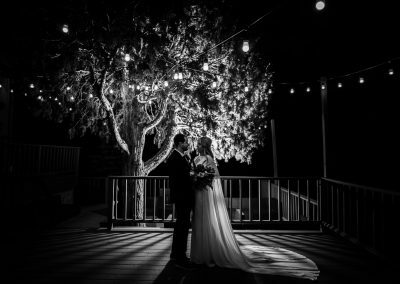 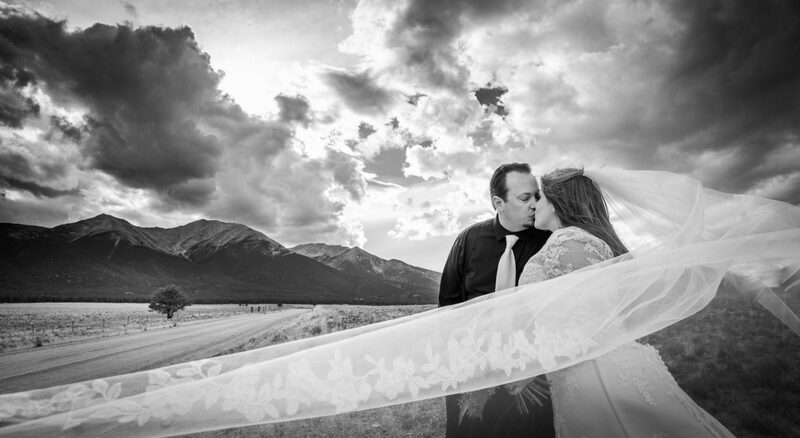 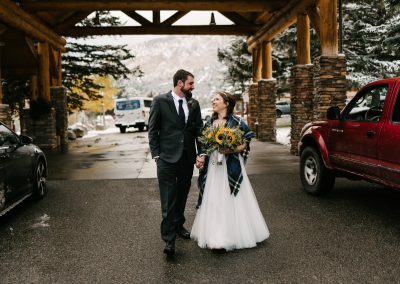 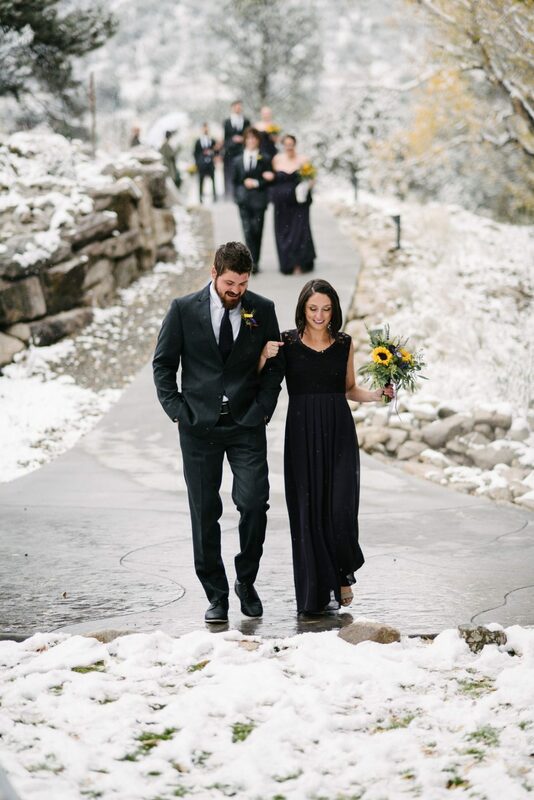 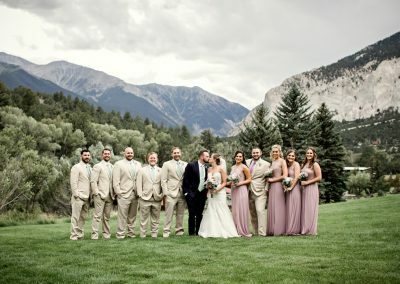 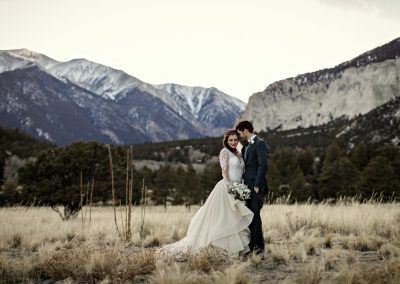 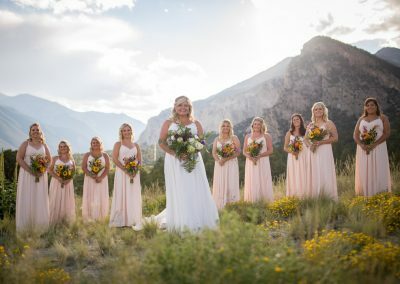 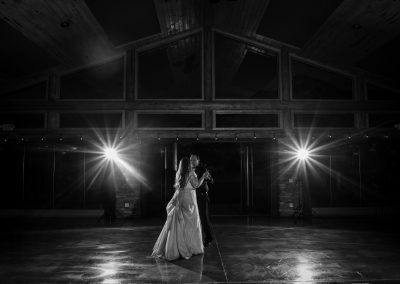 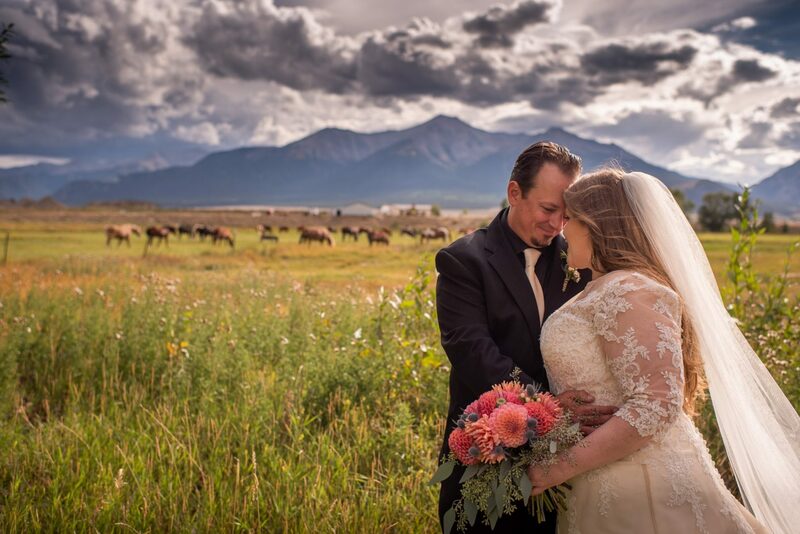 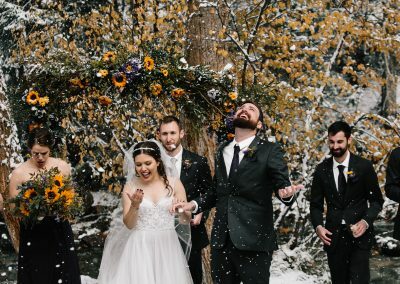 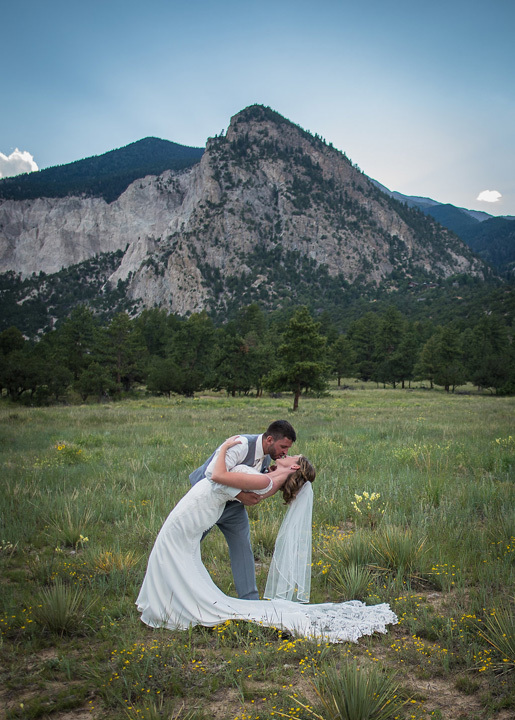 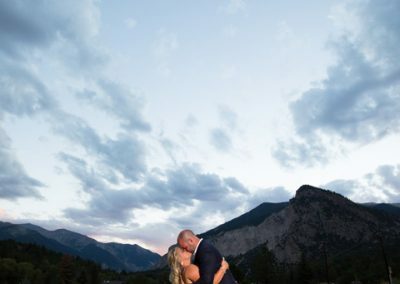 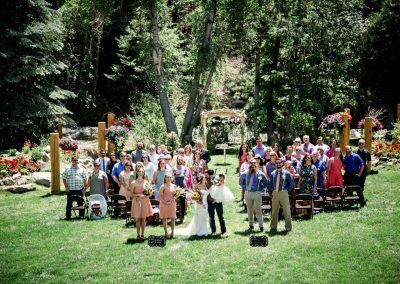 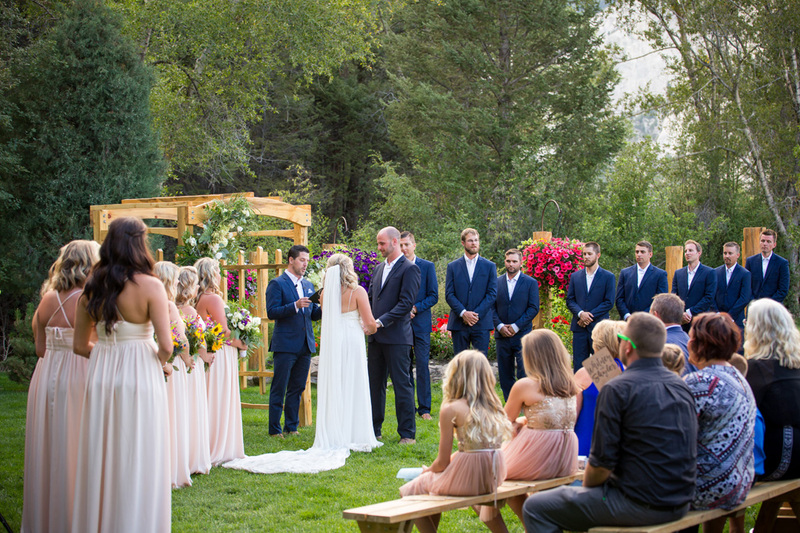 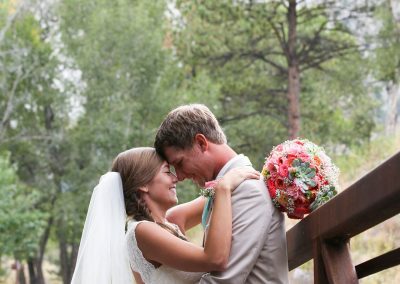 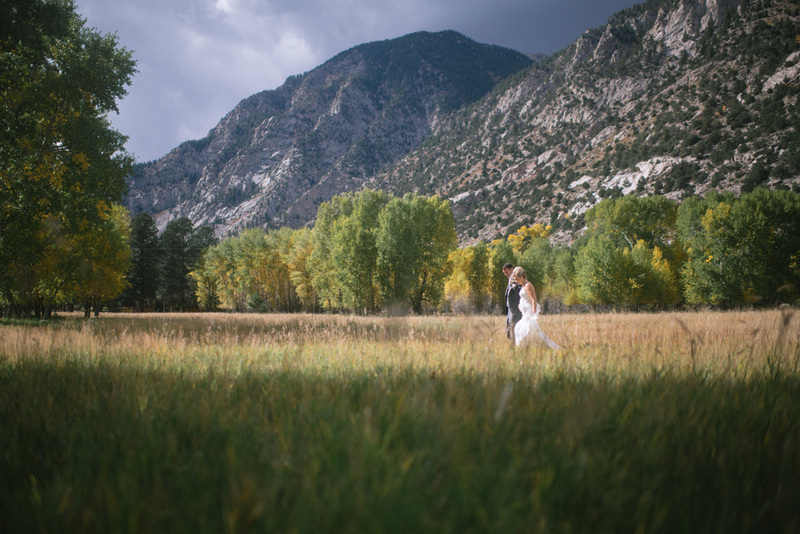 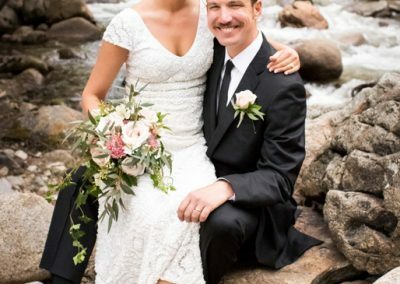 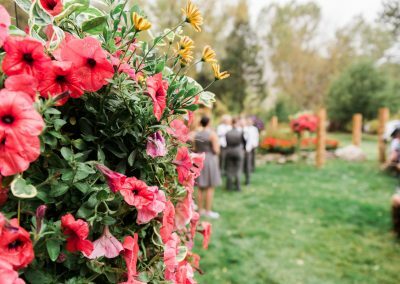 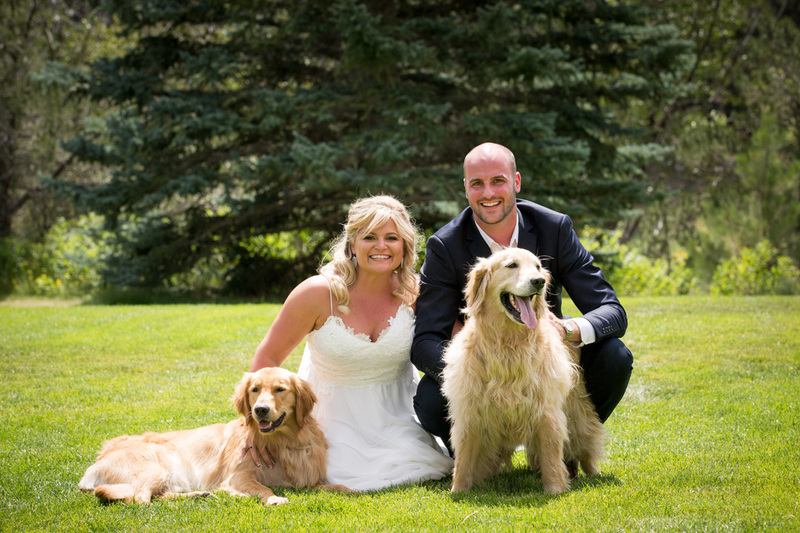 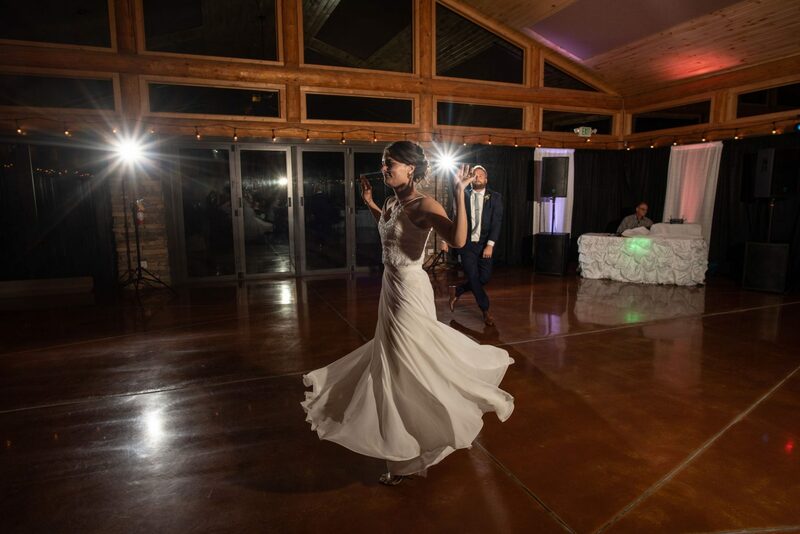 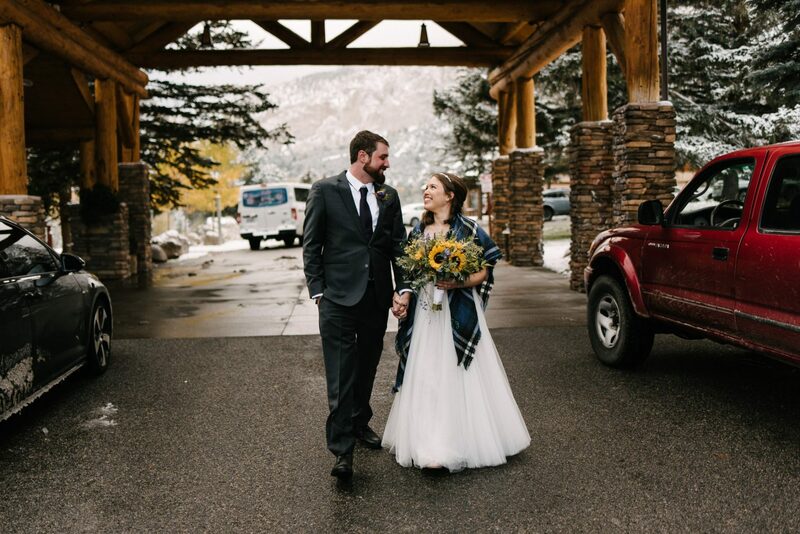 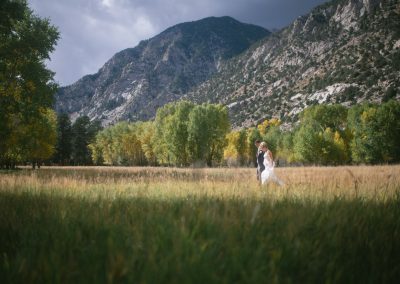 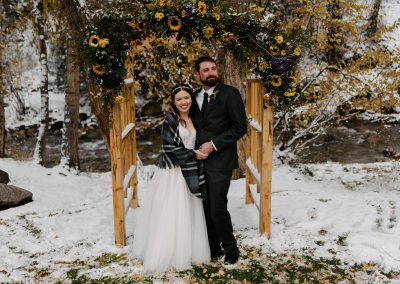 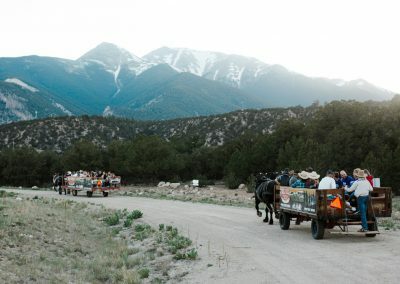 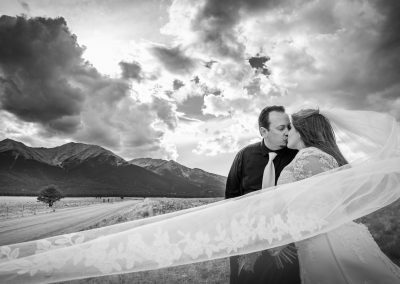 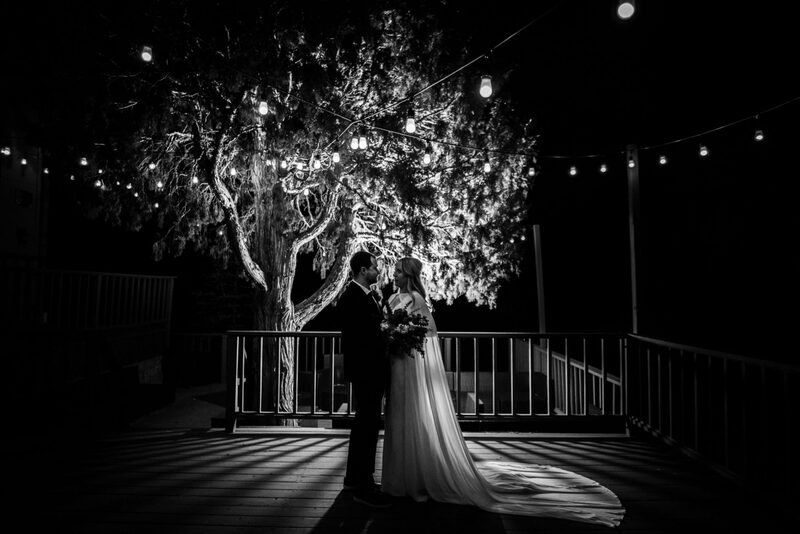 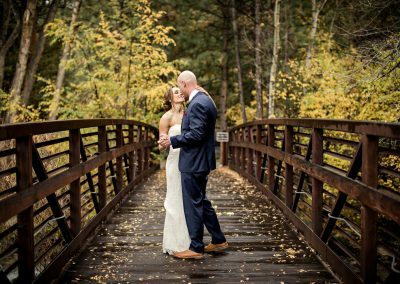 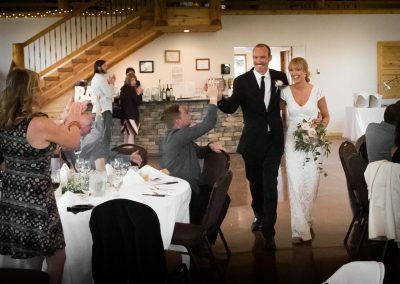 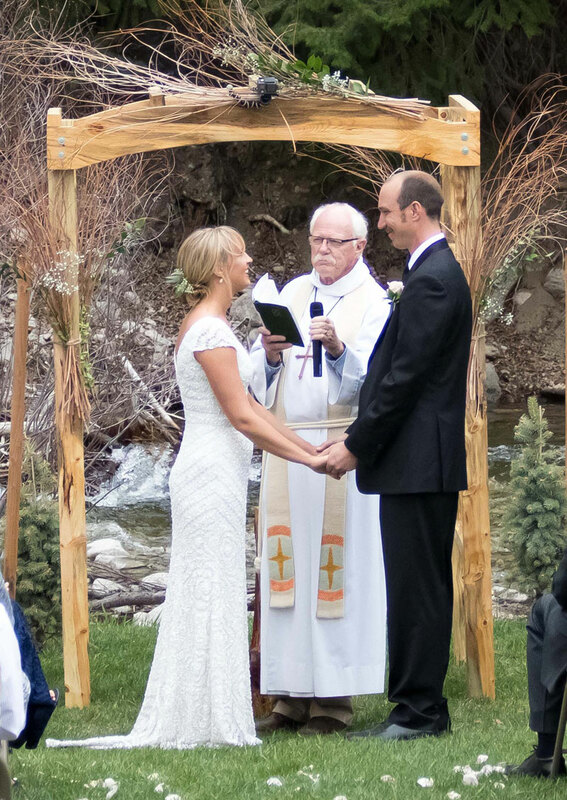 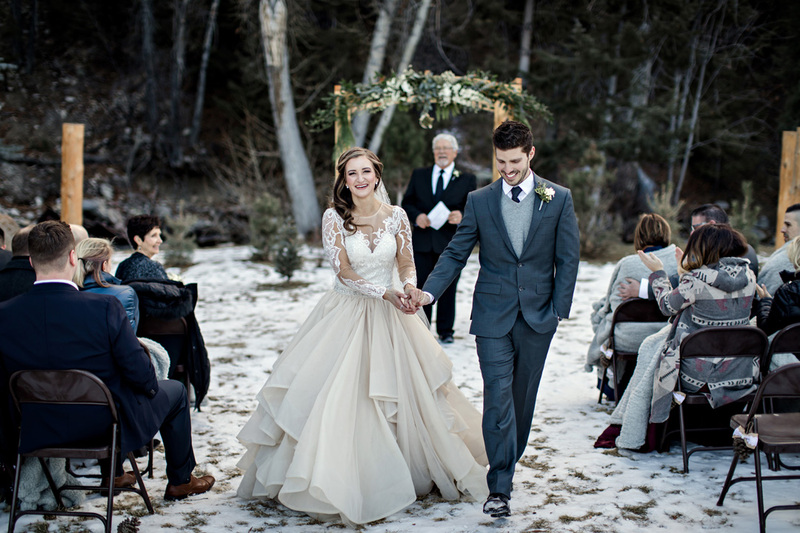 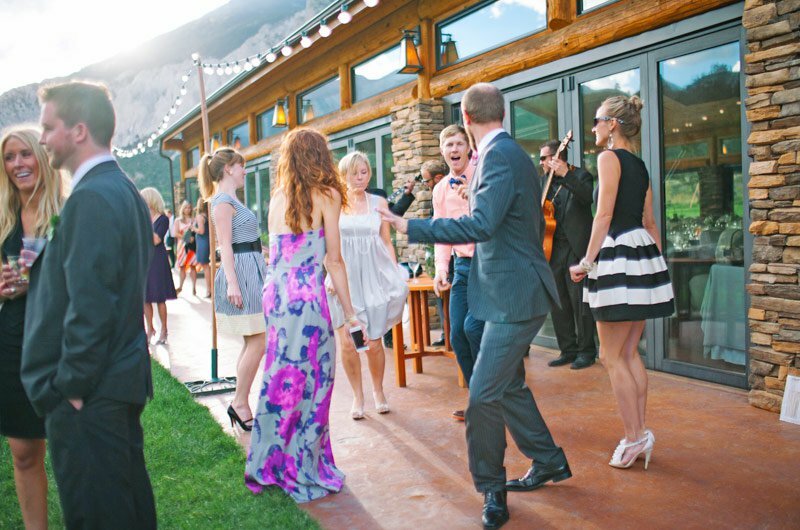 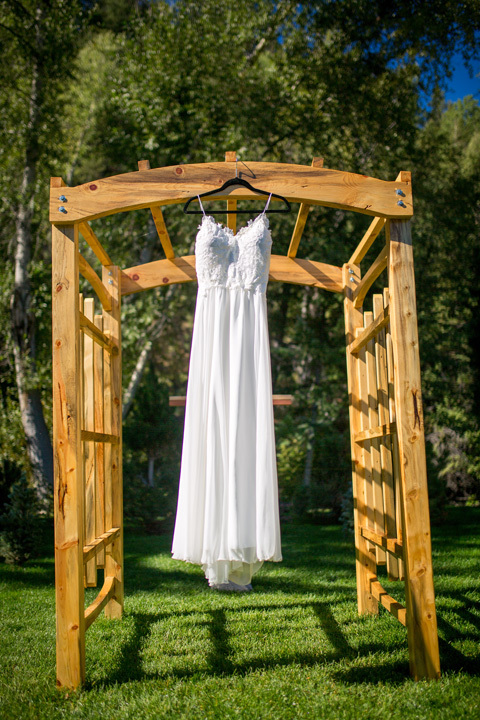 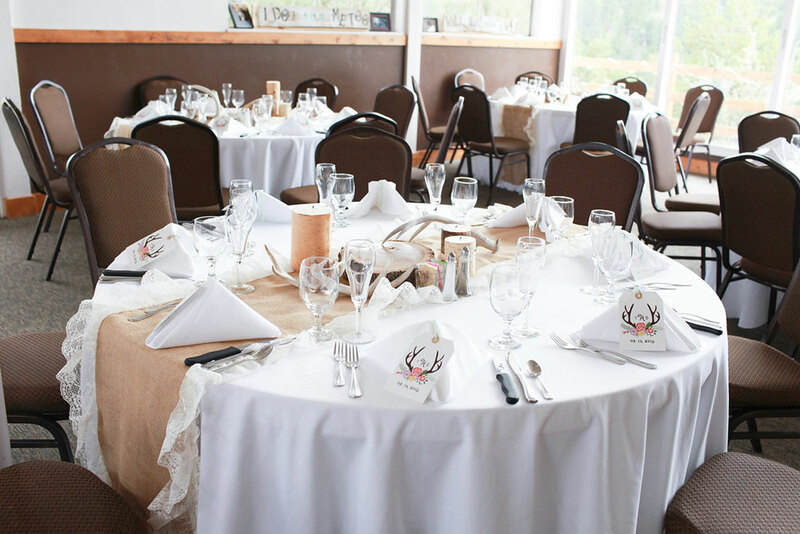 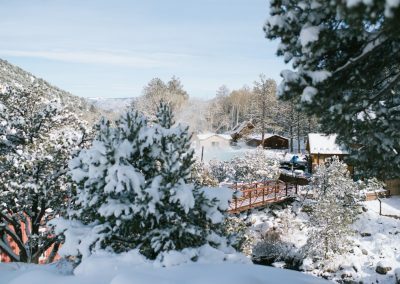 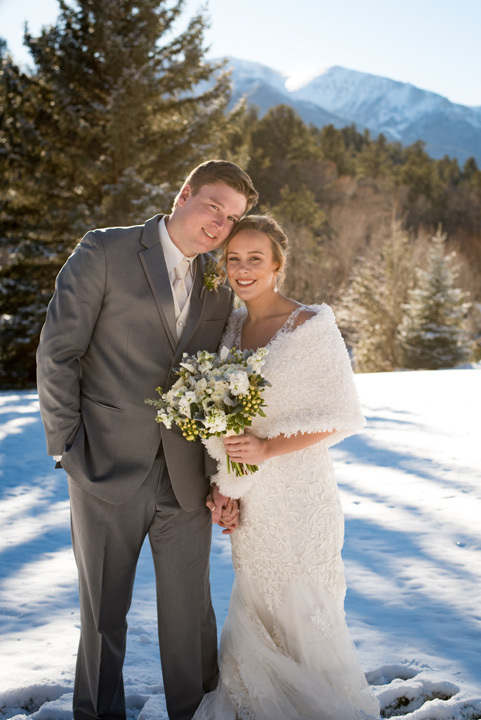 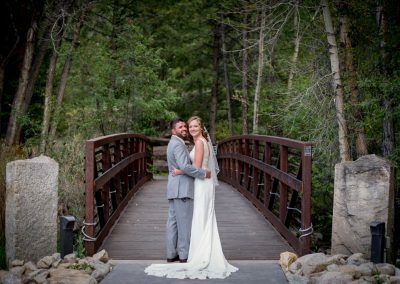 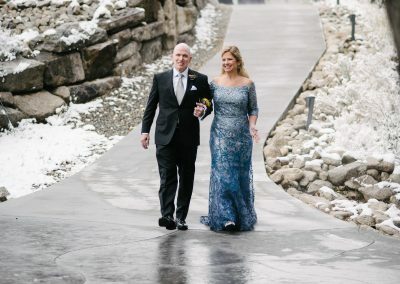 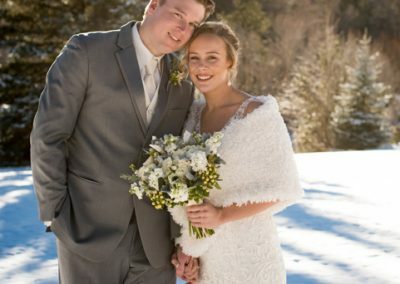 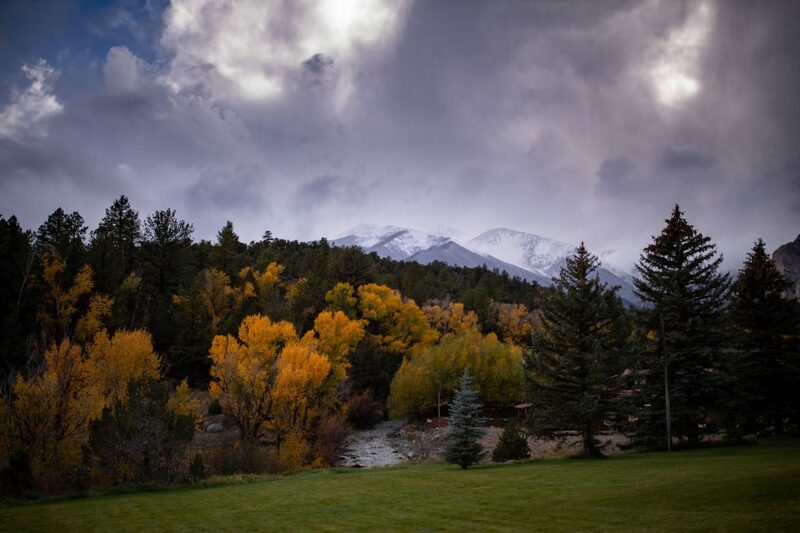 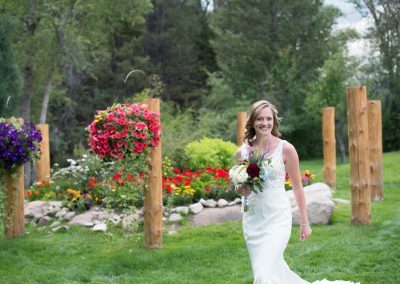 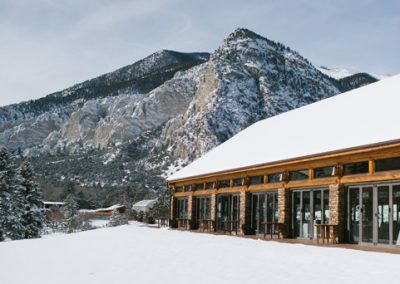 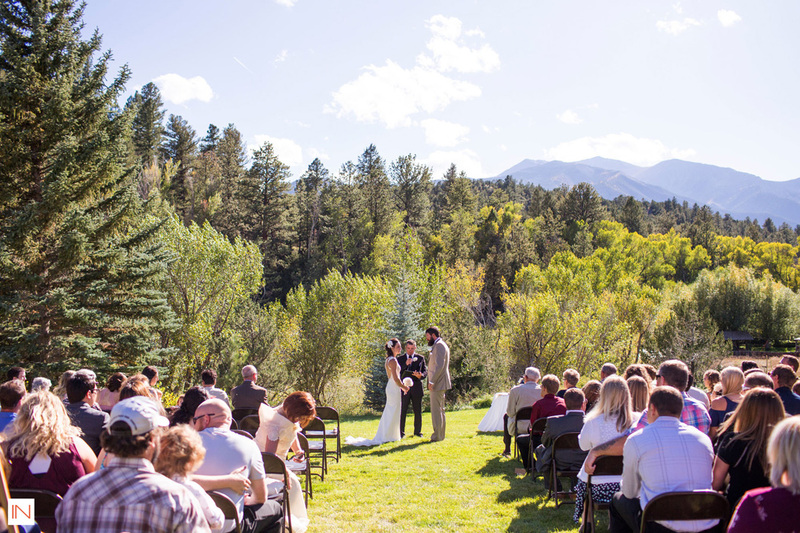 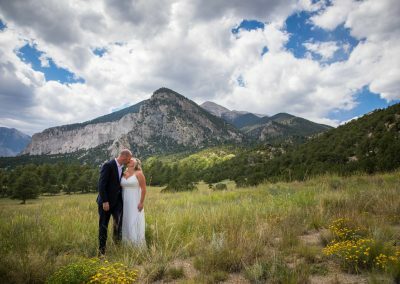 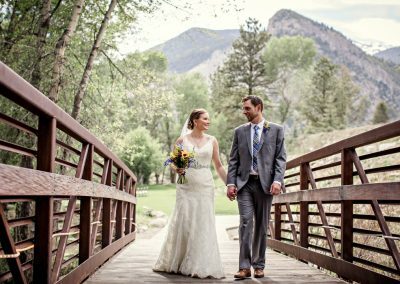 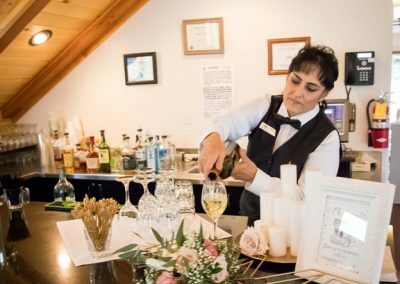 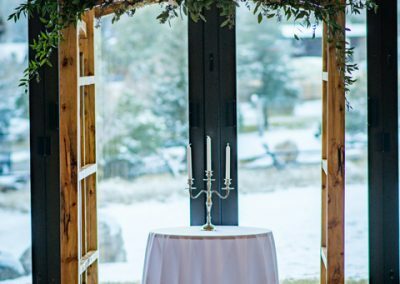 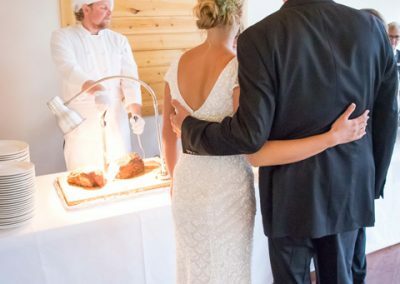 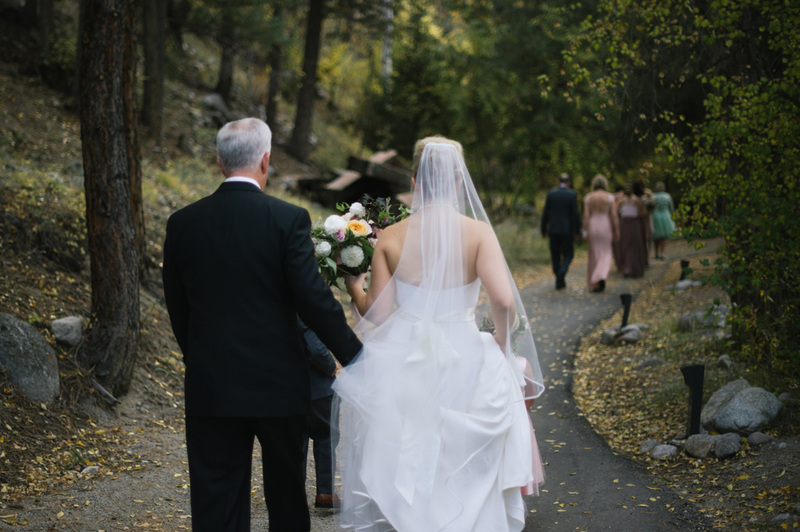 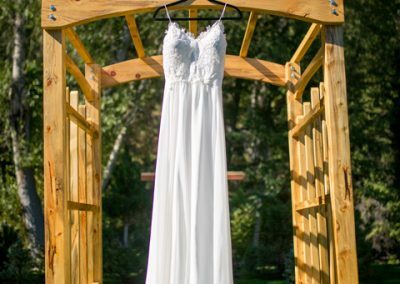 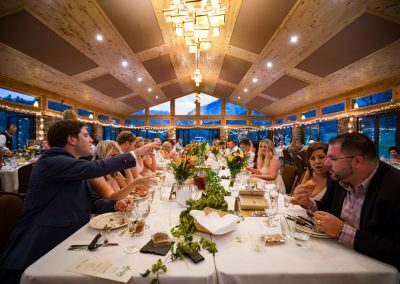 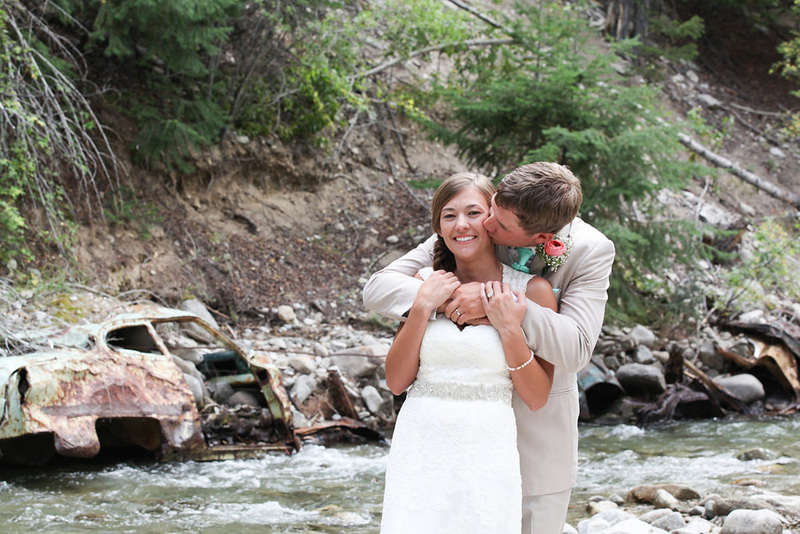 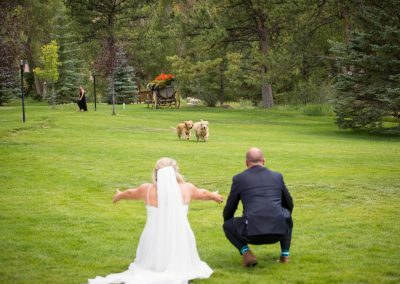 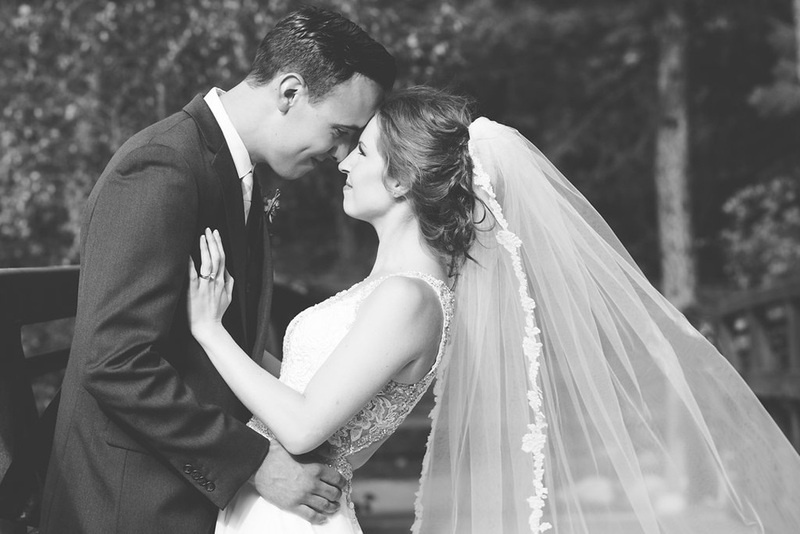 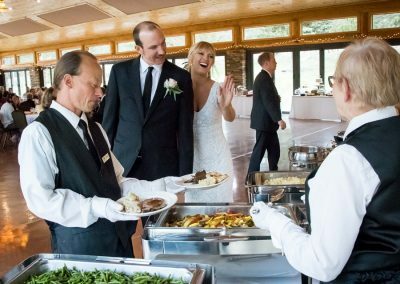 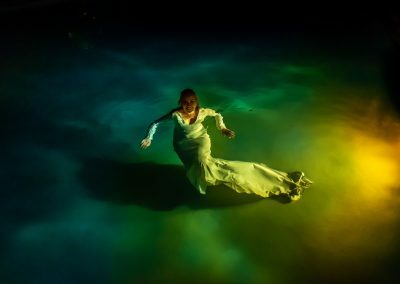 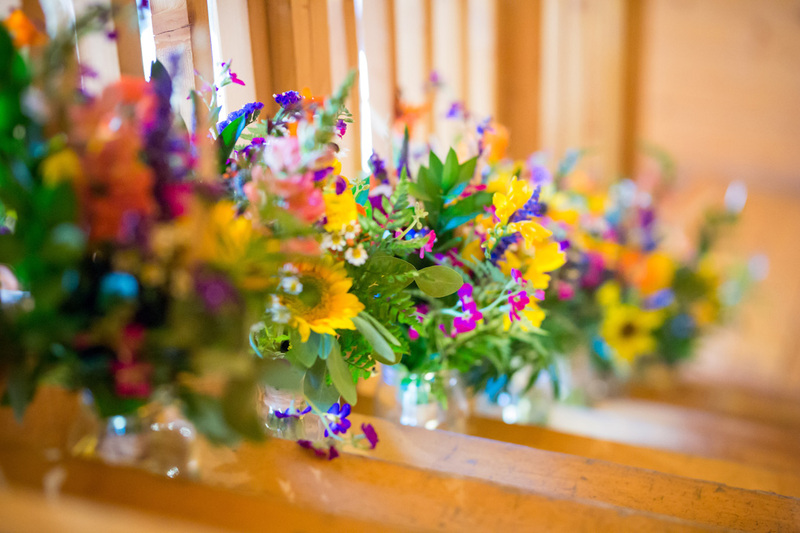 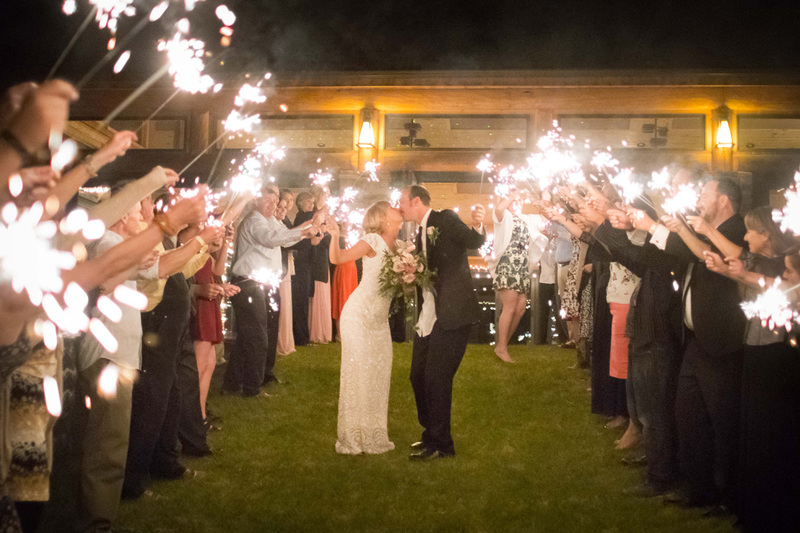 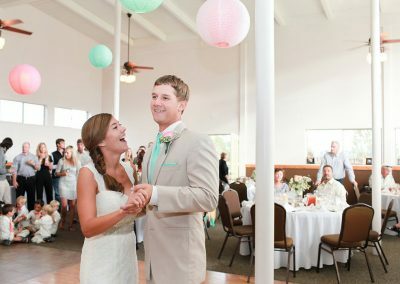 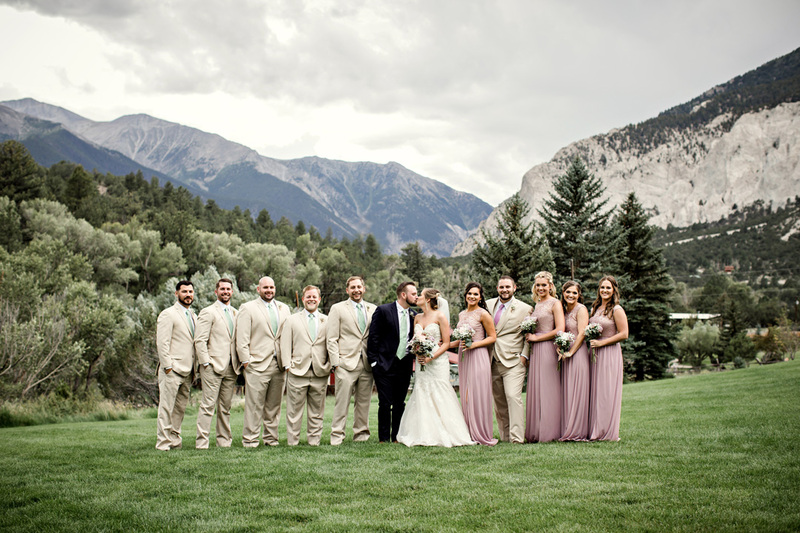 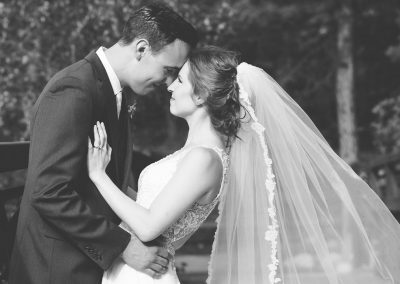 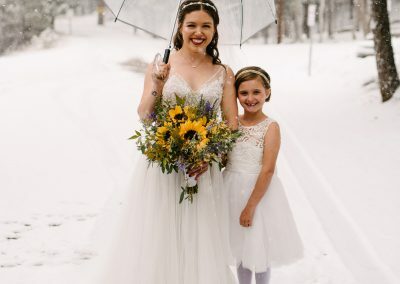 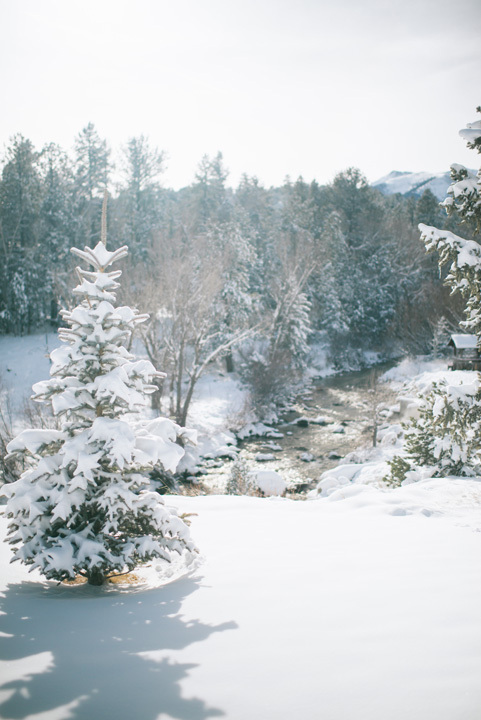 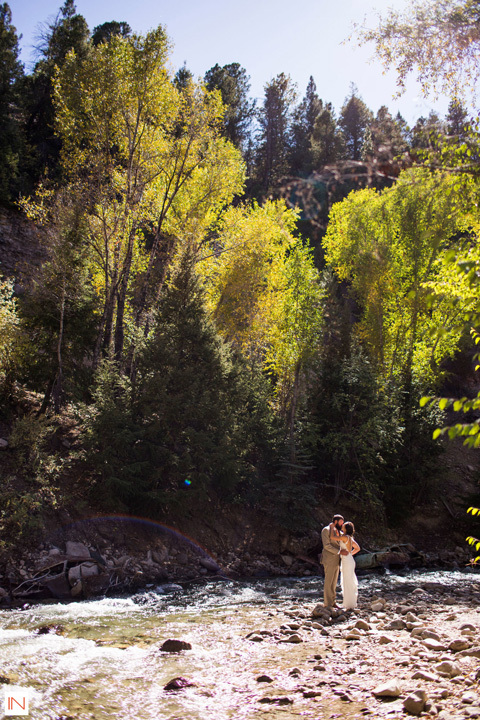 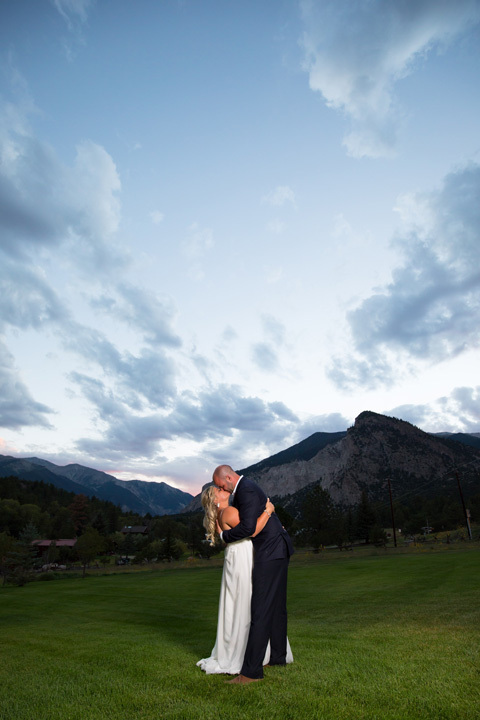 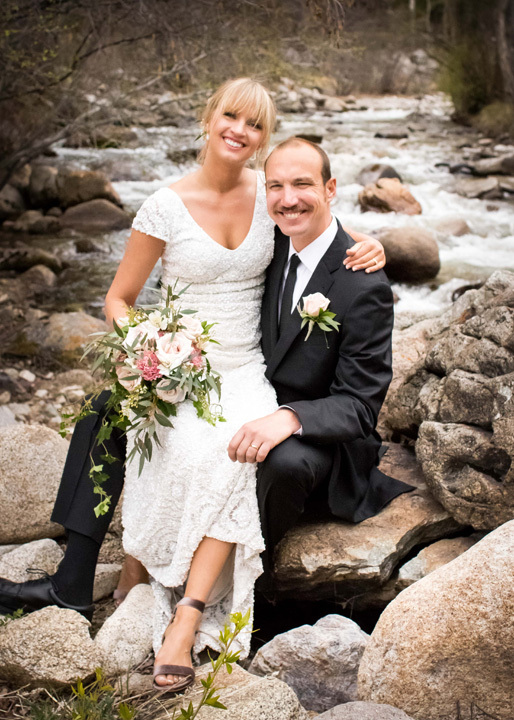 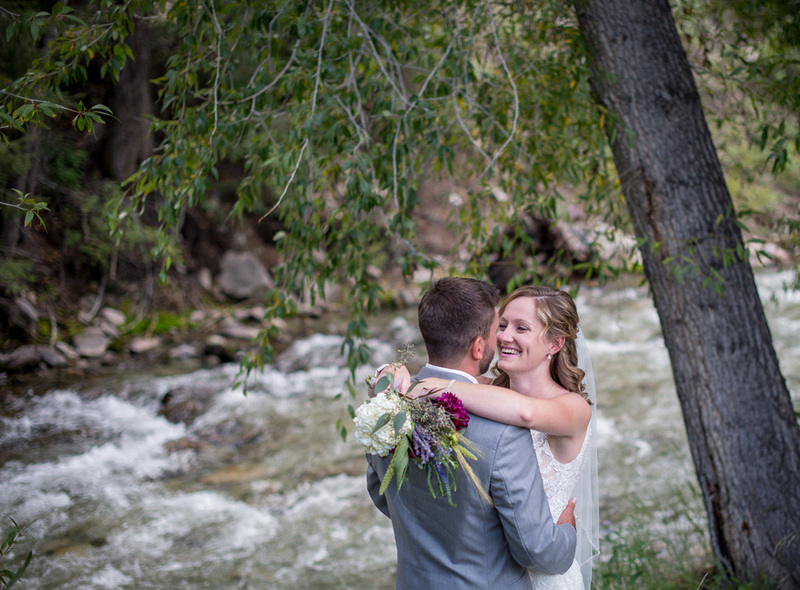 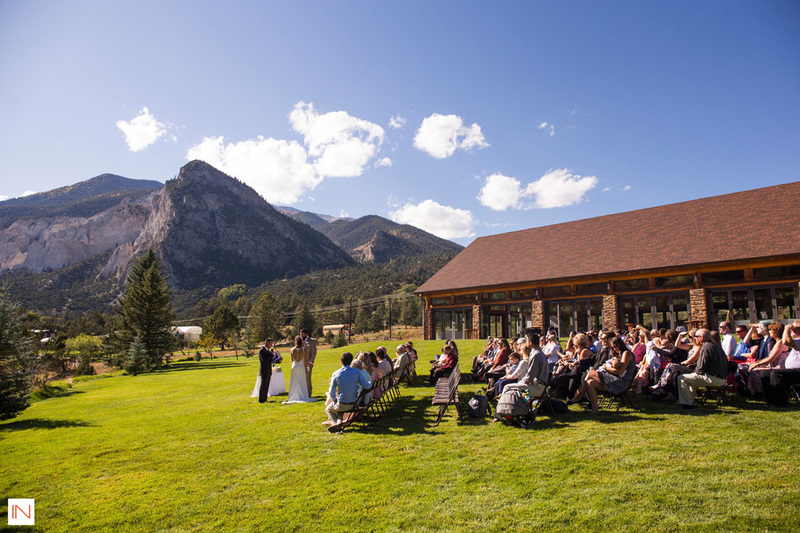 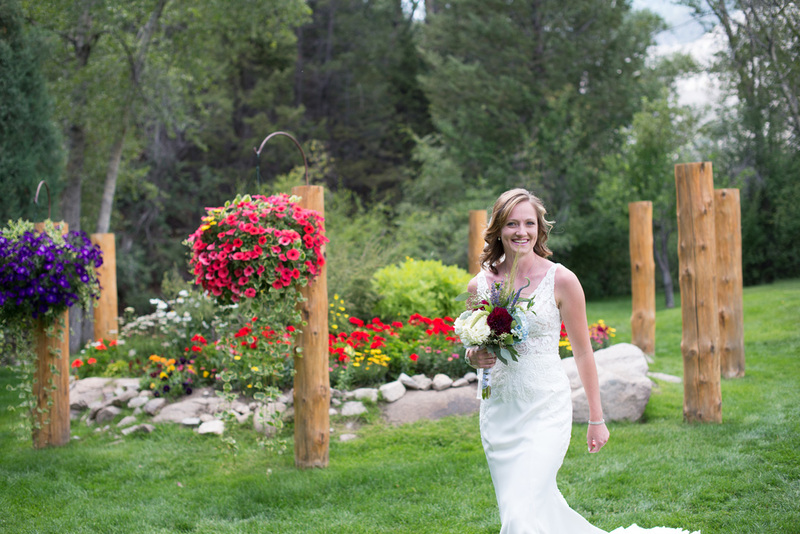 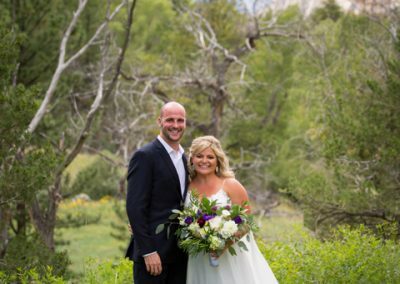 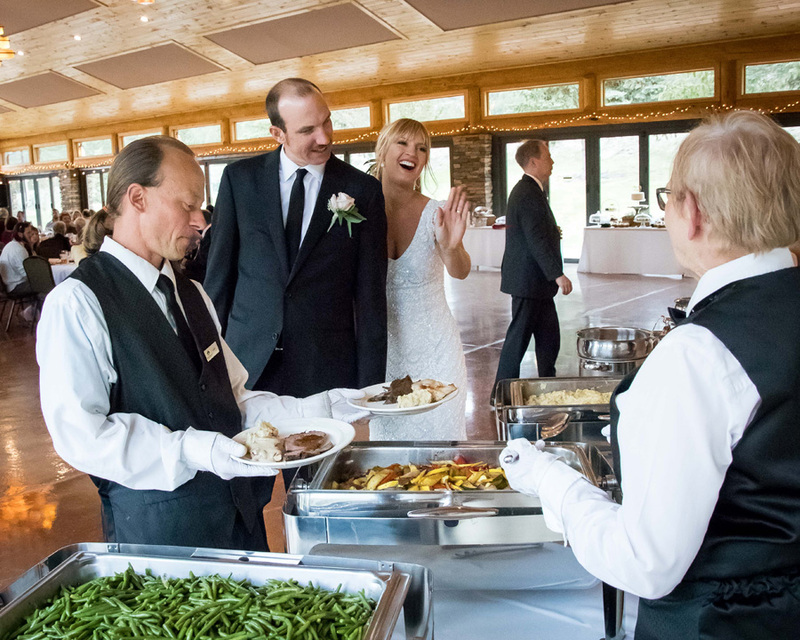 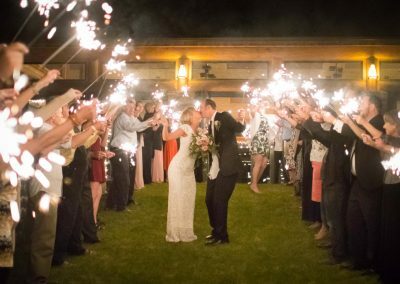 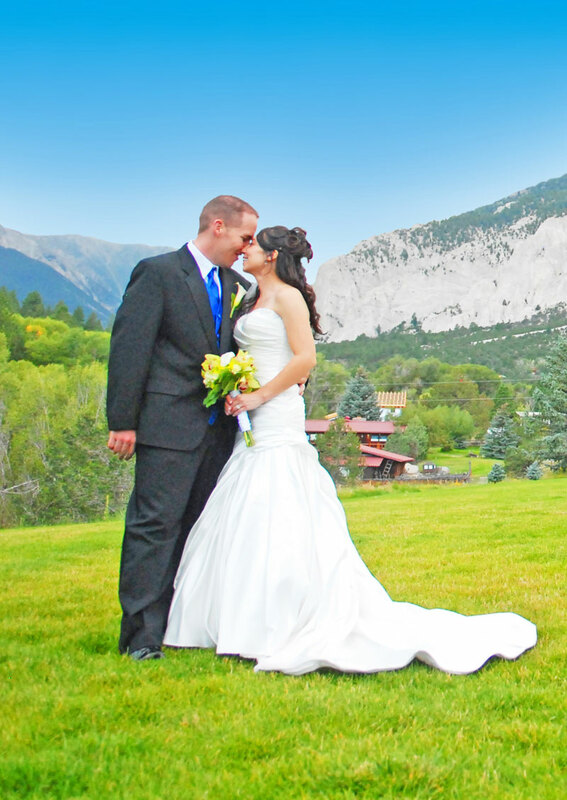 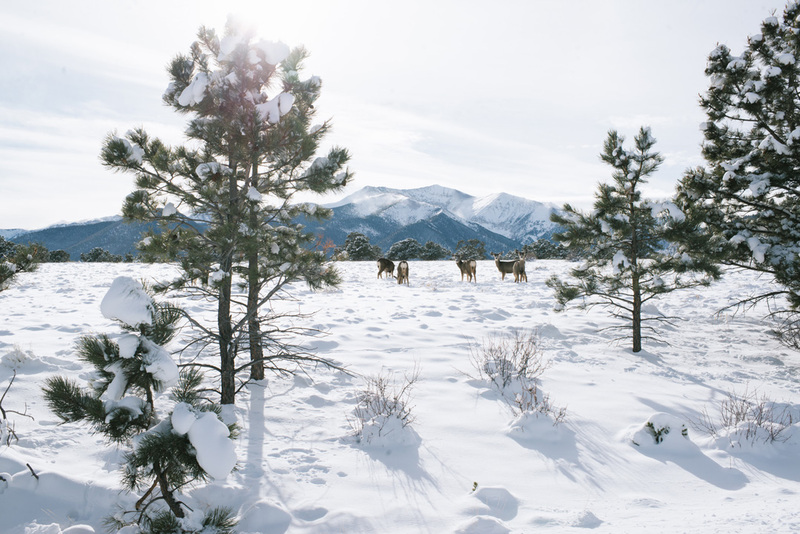 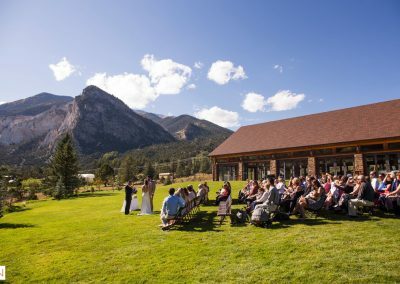 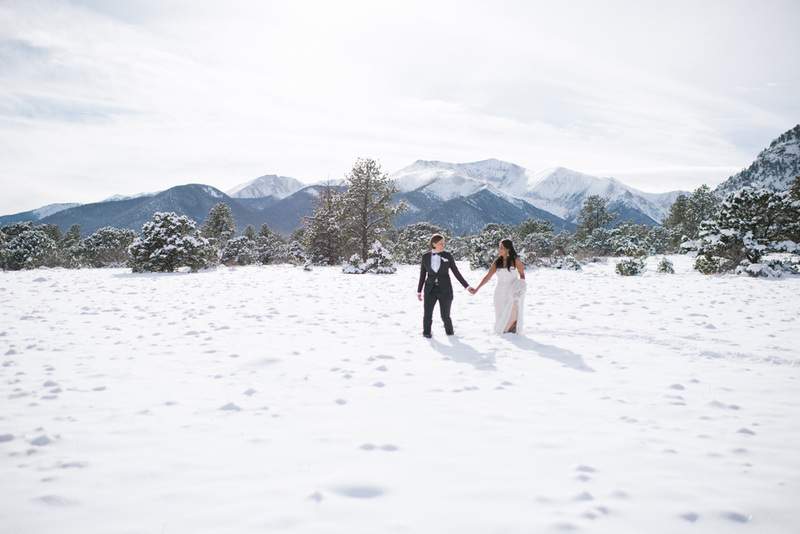 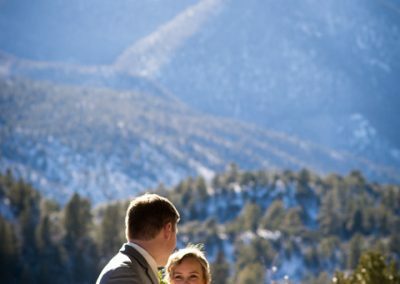 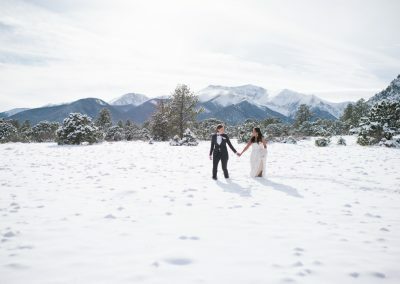 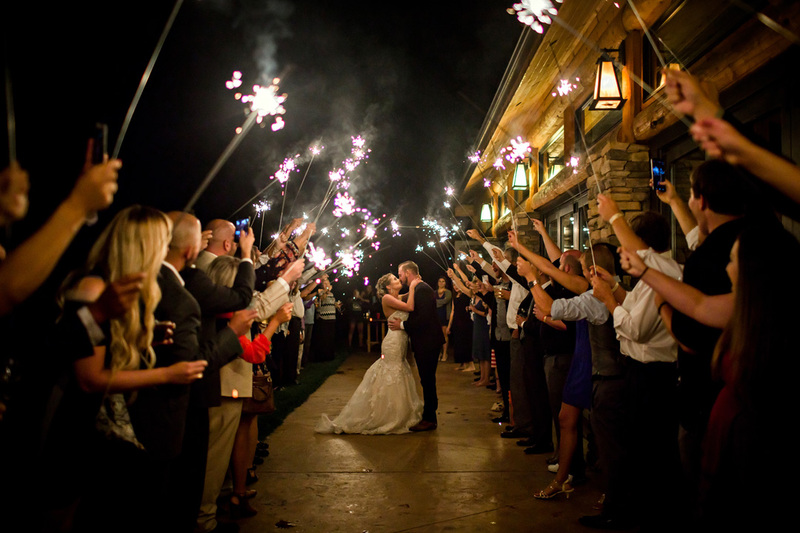 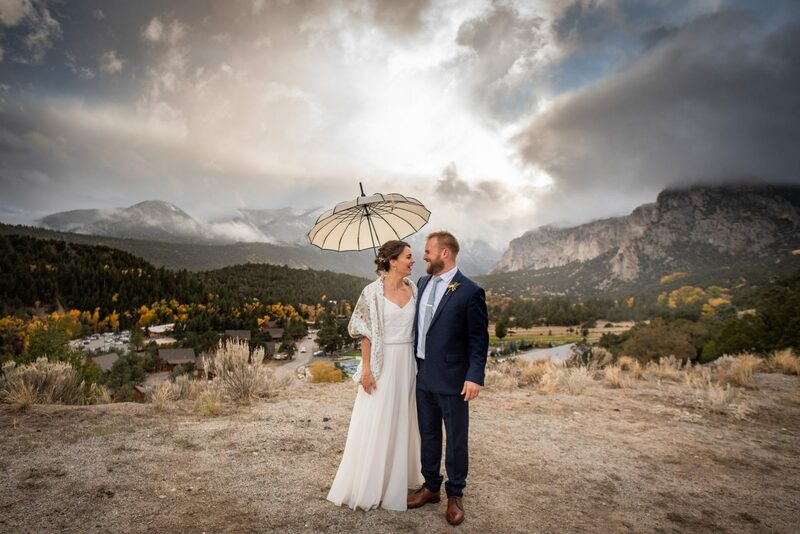 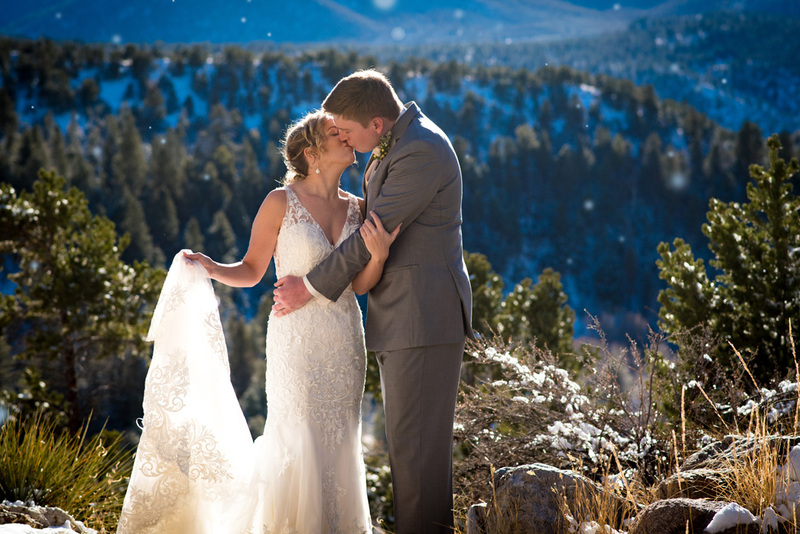 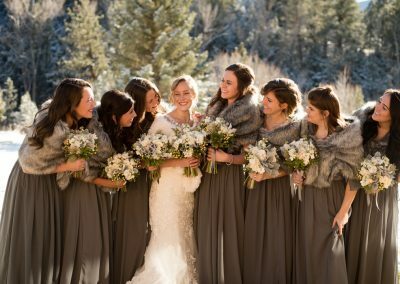 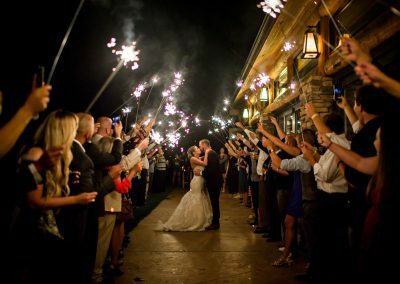 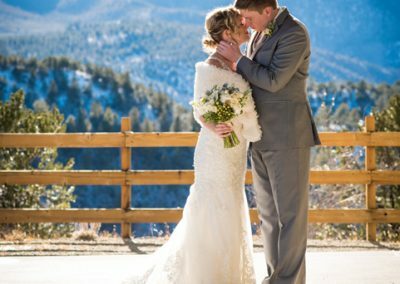 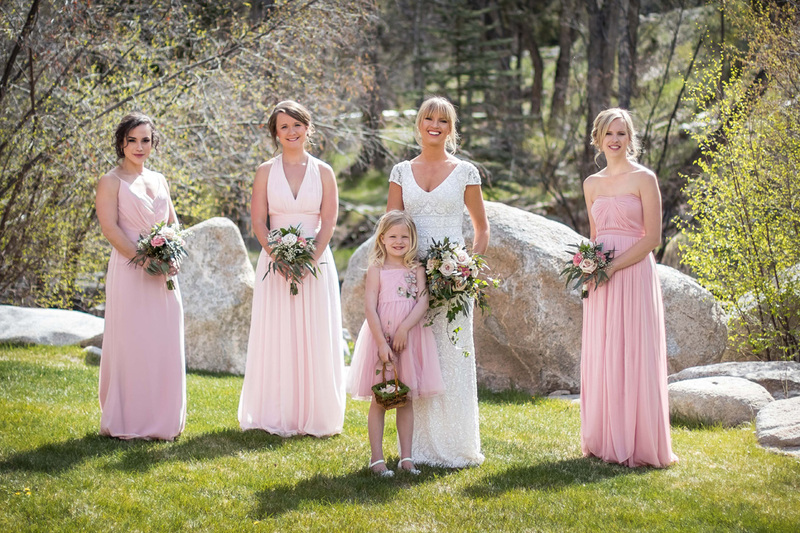 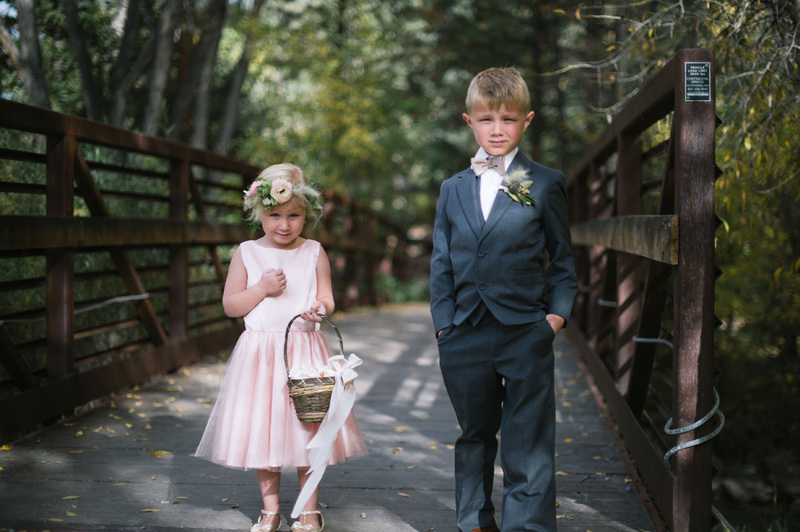 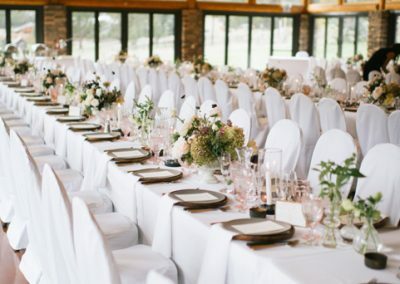 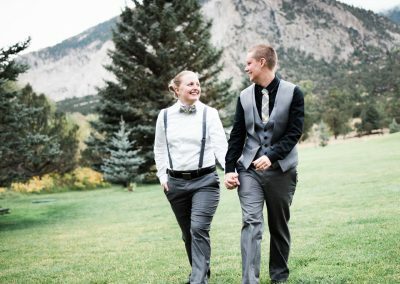 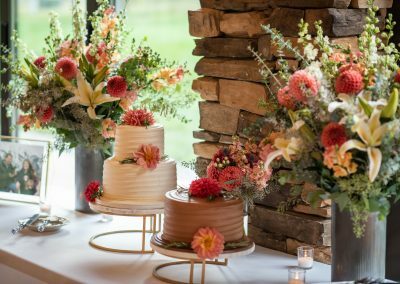 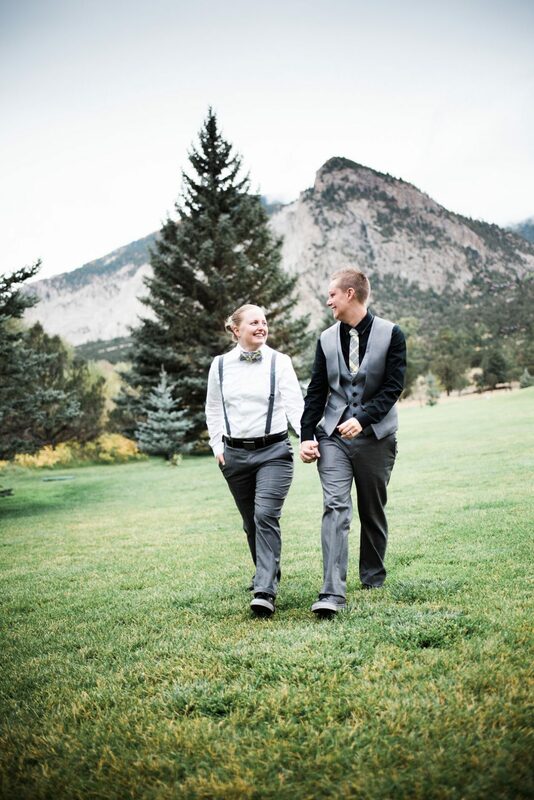 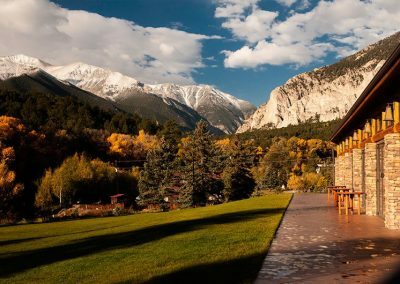 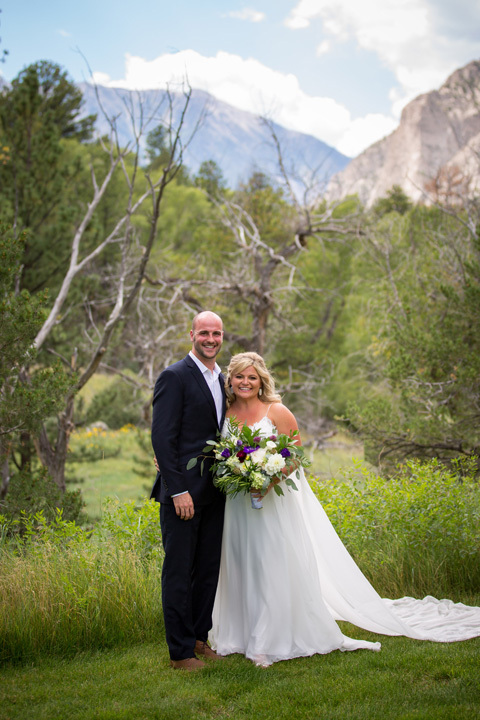 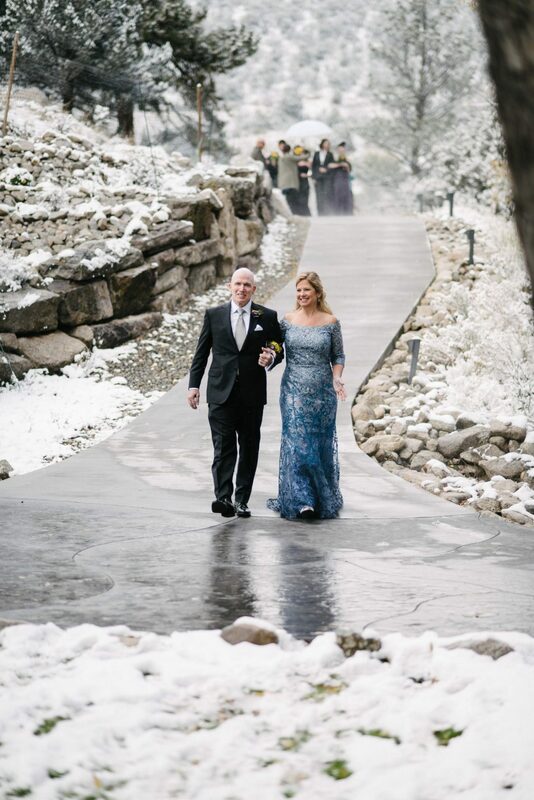 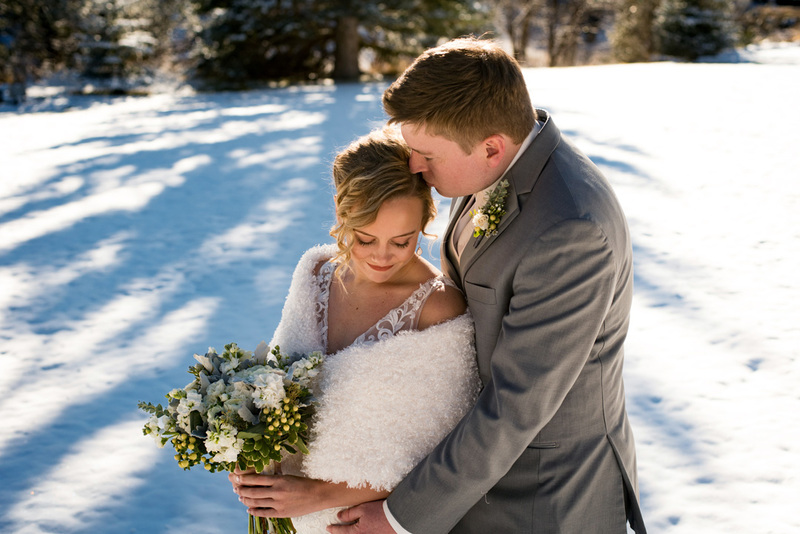 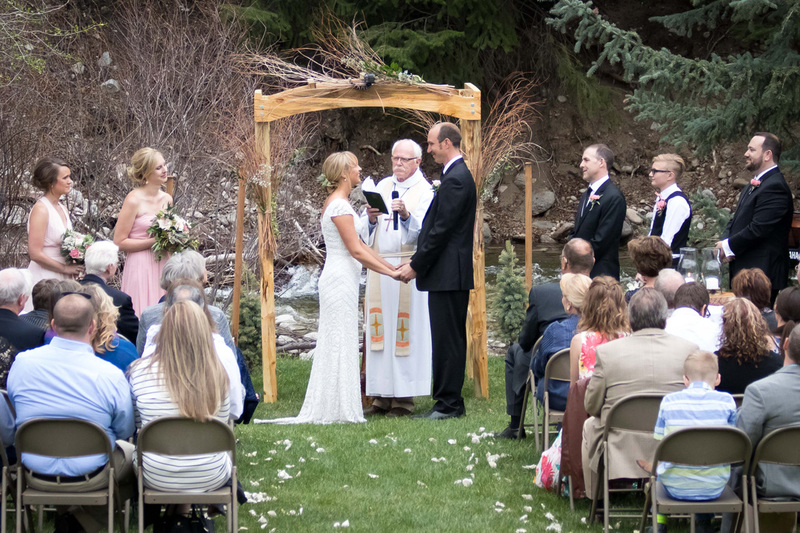 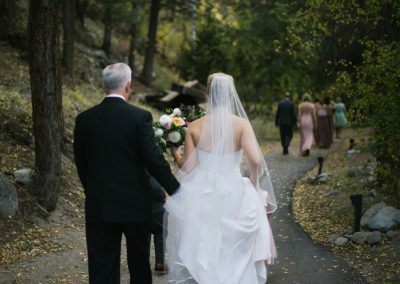 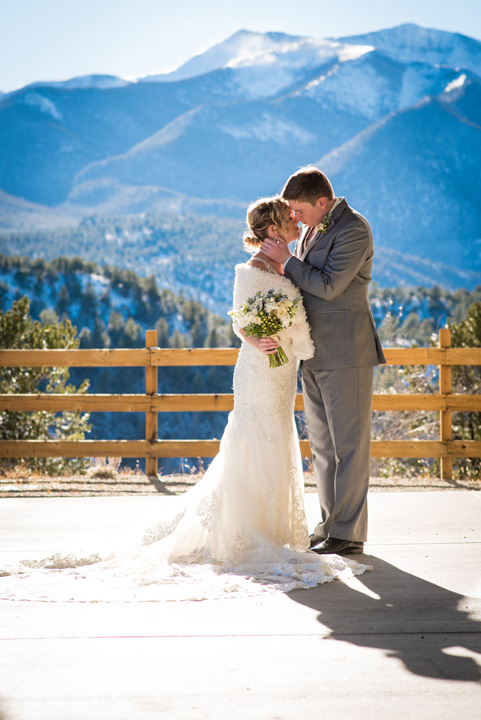 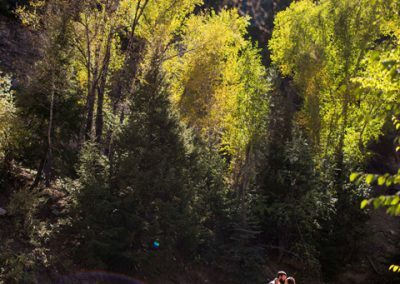 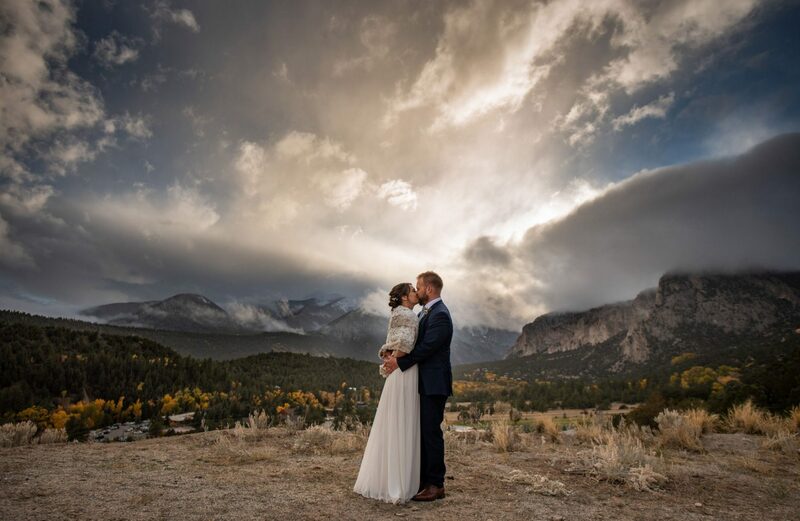 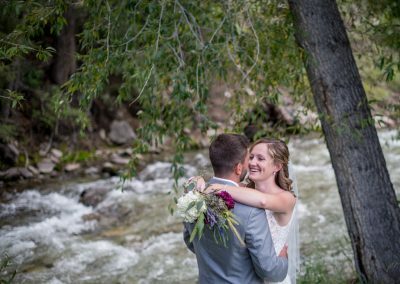 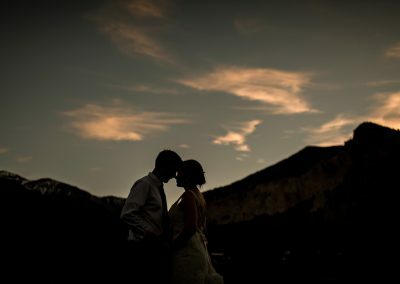 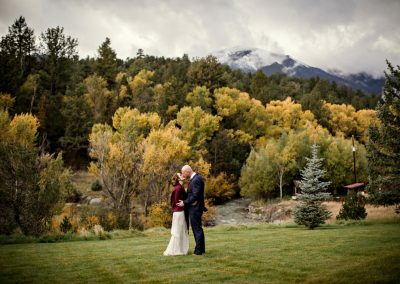 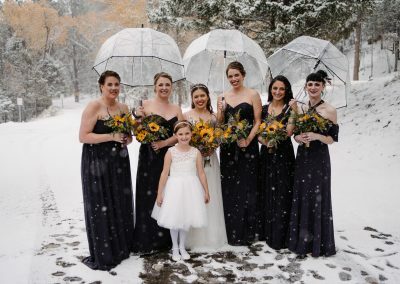 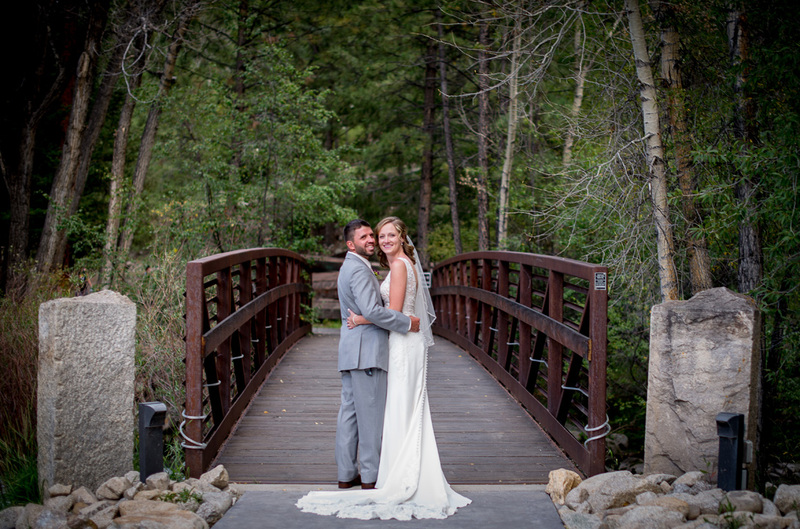 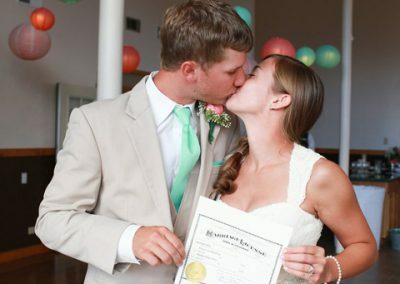 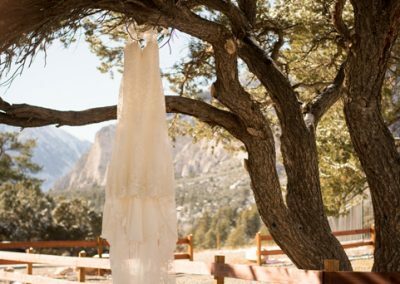 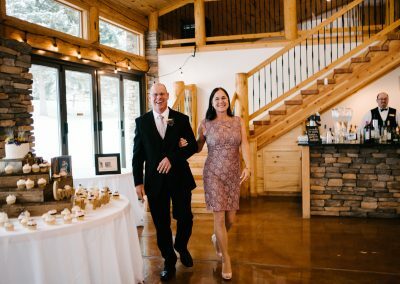 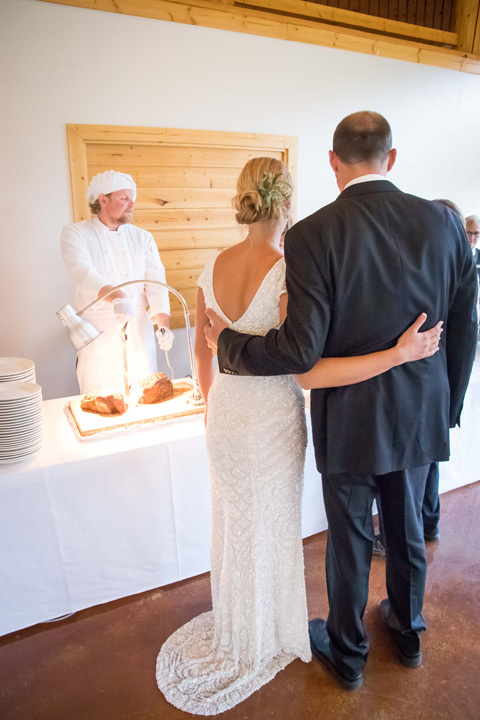 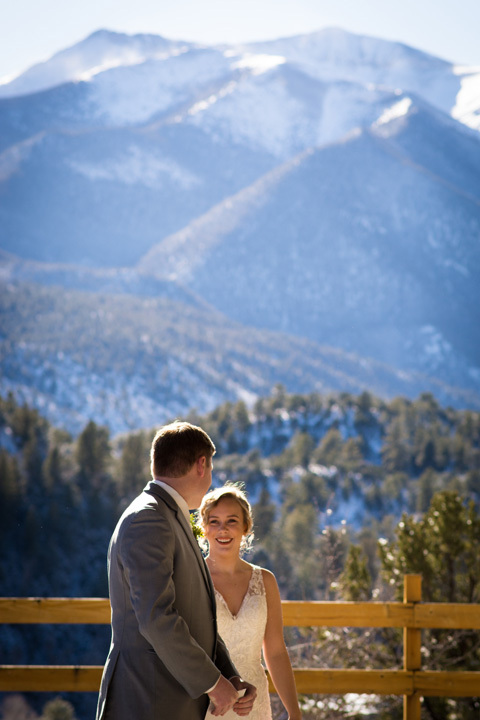 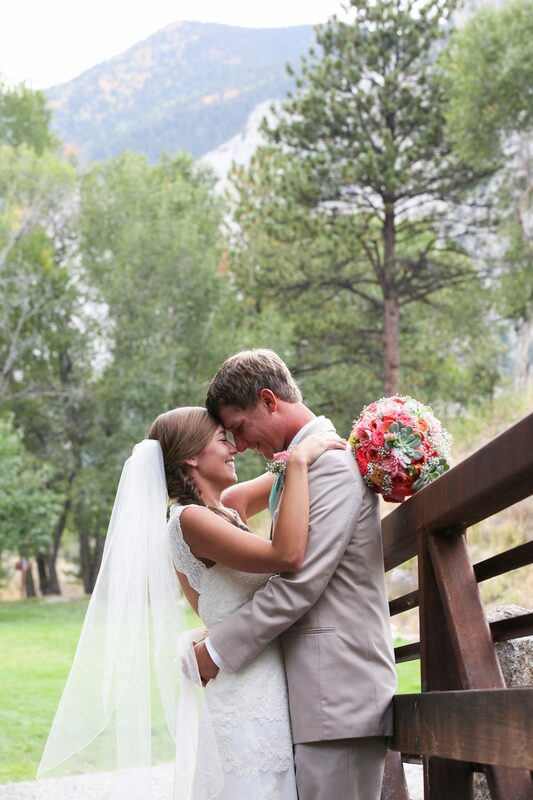 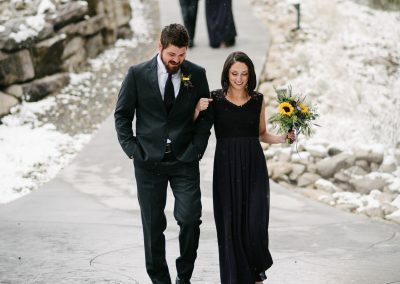 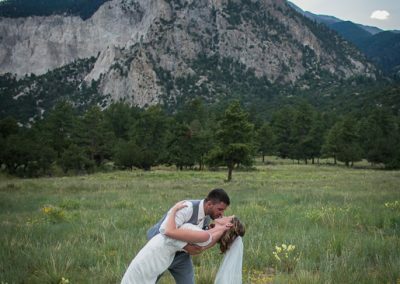 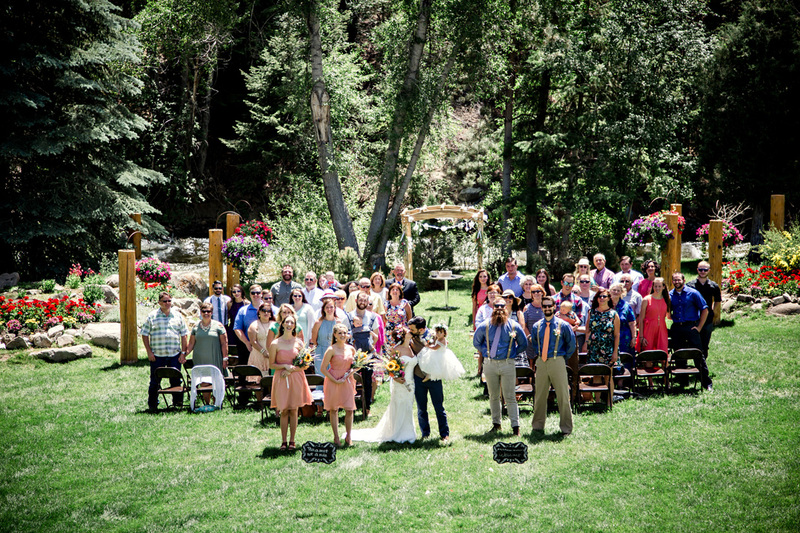 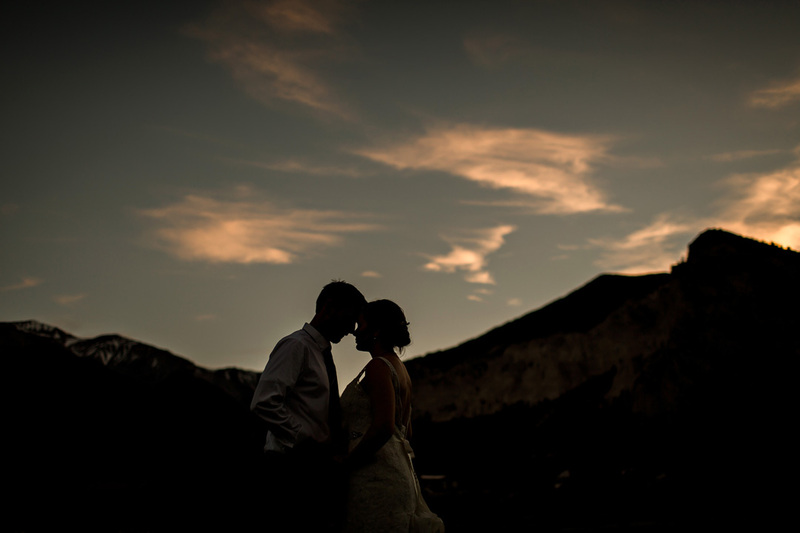 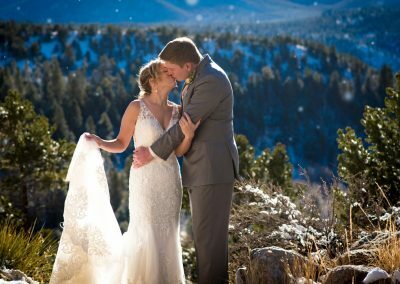 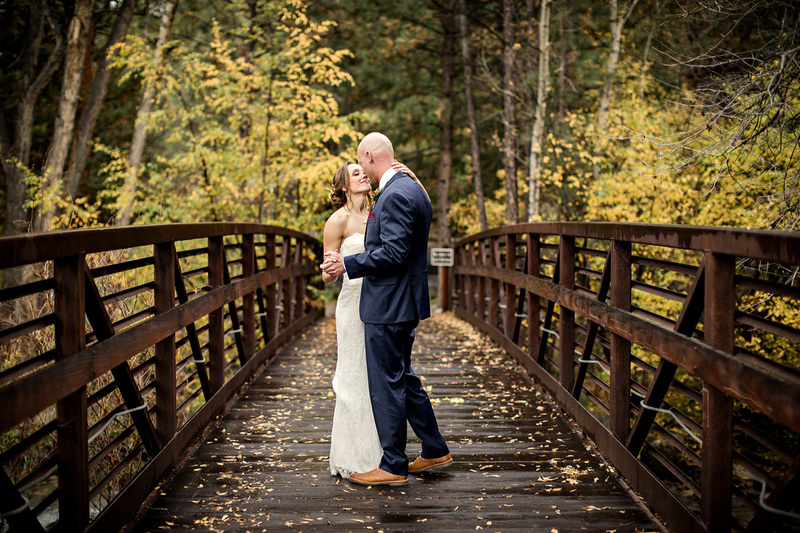 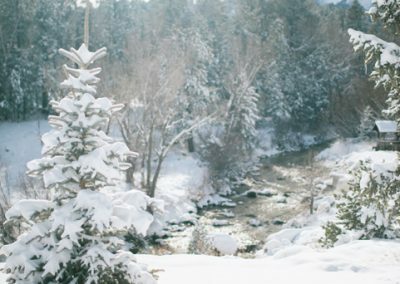 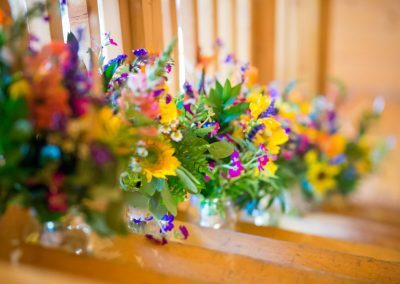 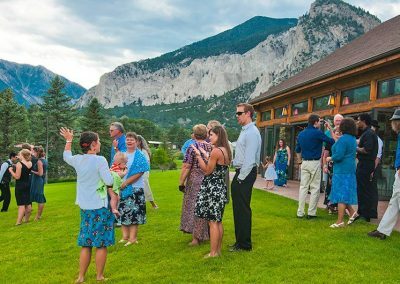 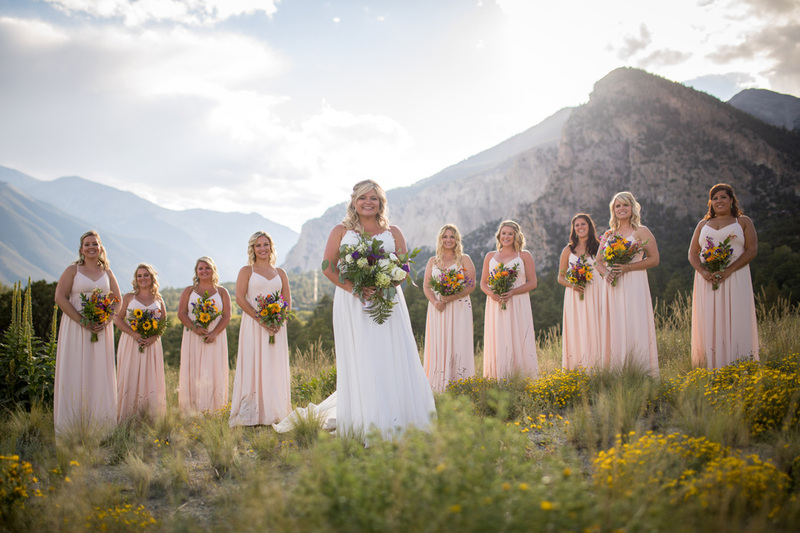 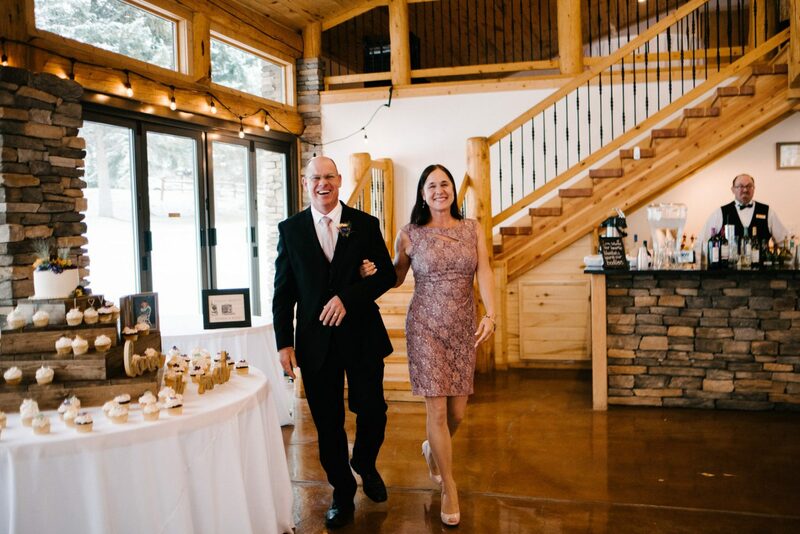 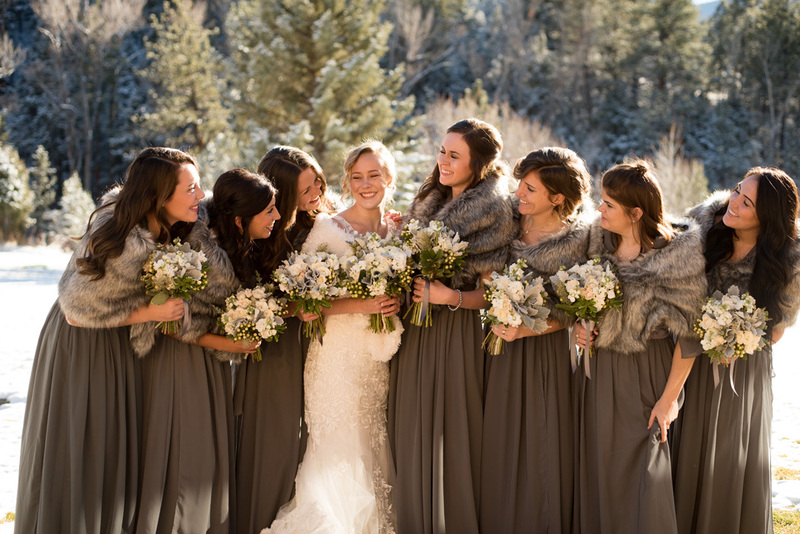 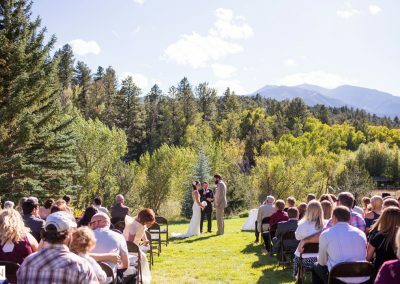 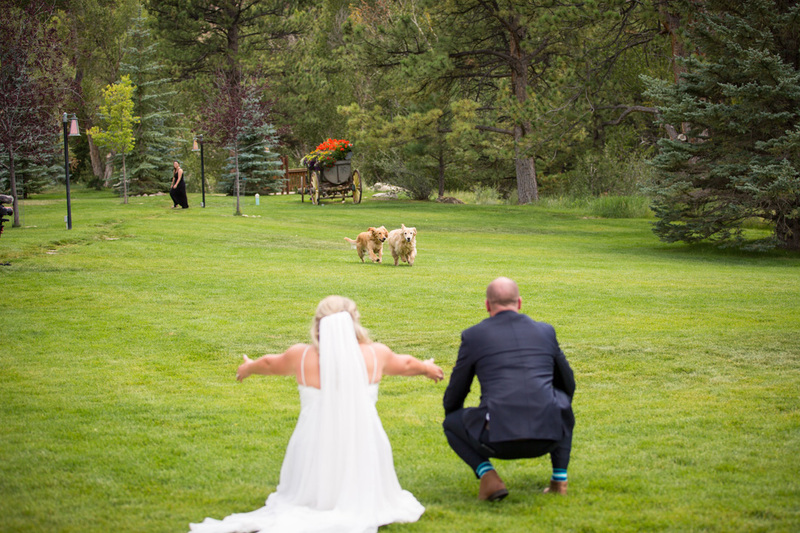 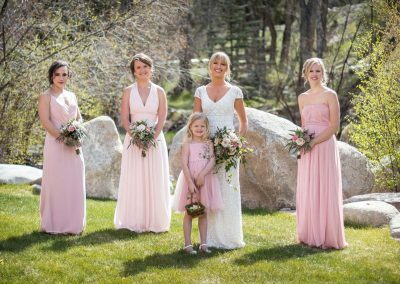 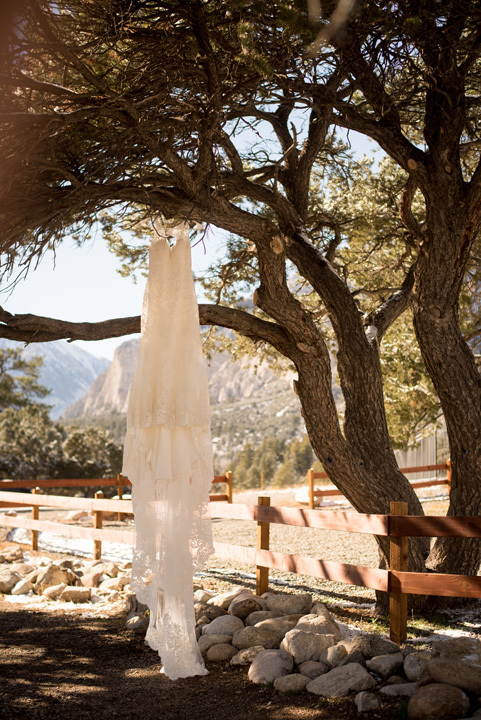 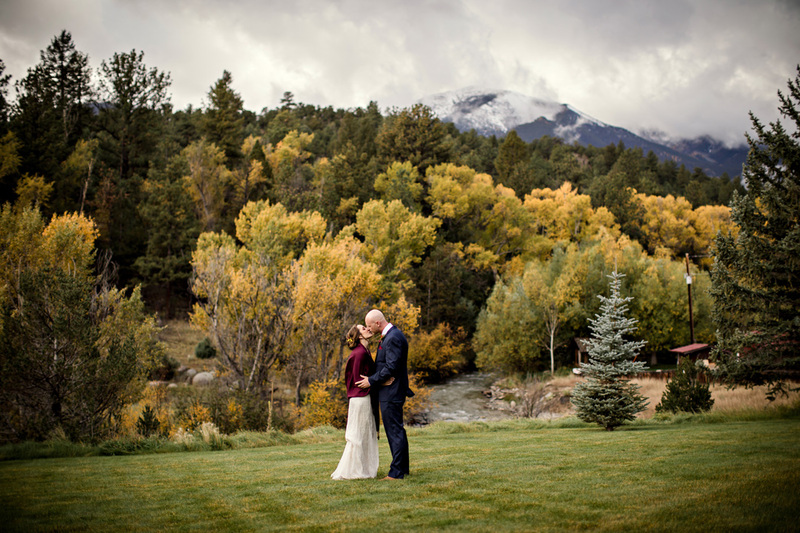 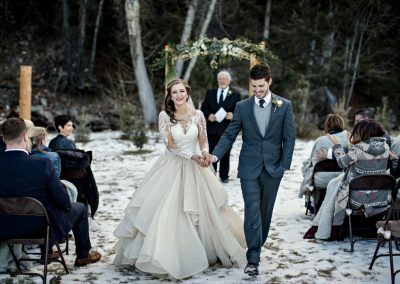 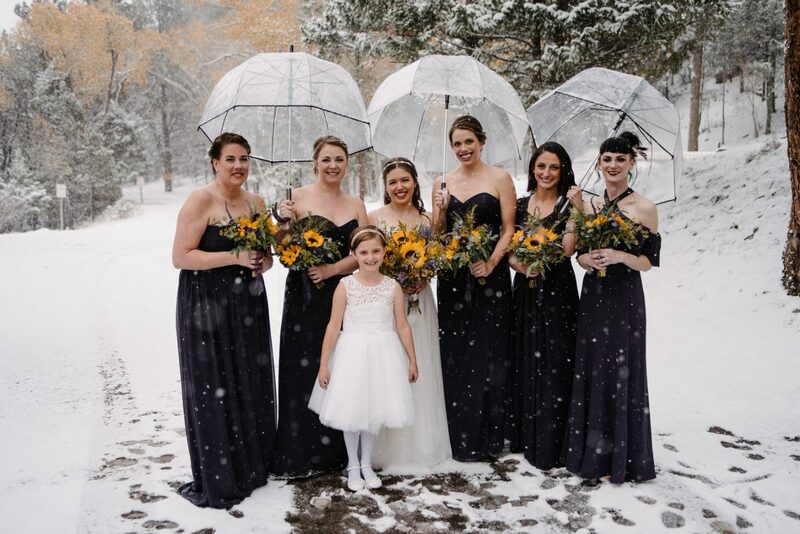 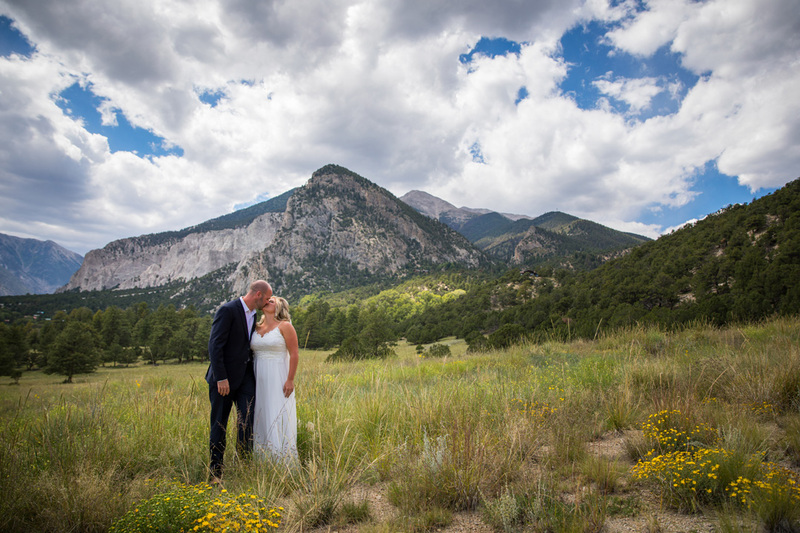 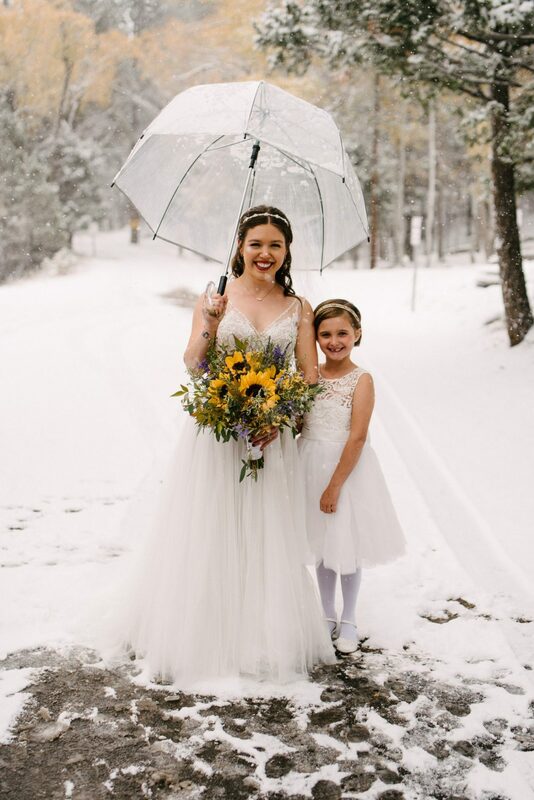 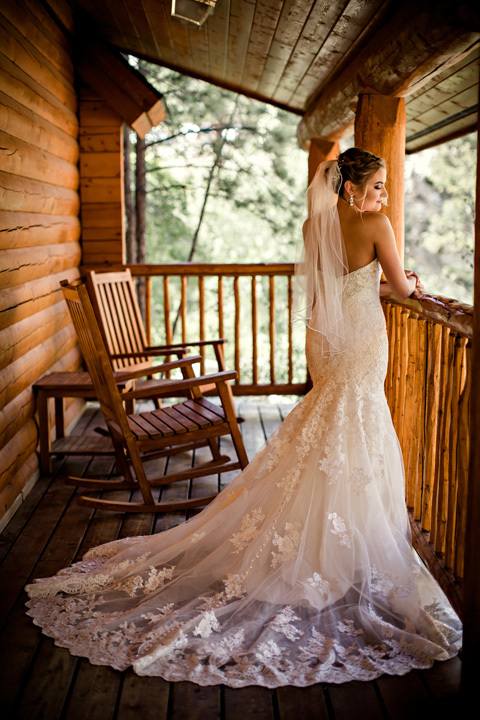 No matter what season, the views and placement of the outdoor wedding venues at Mount Princeton Hot Springs Resort will provide the most memorable wedding backdrop for your big day. 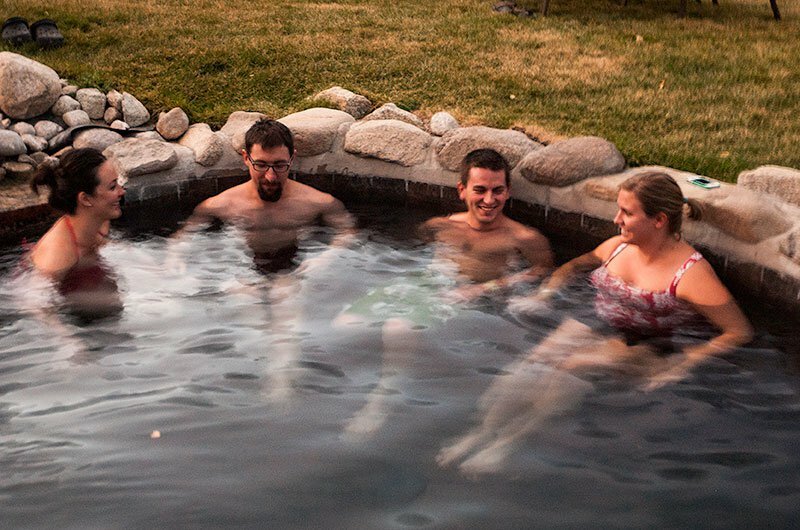 The grounds of the resort are watered with natural hot spring water. 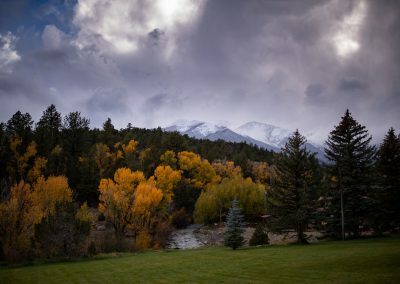 Greening up early in the spring the great lawns last late into the Fall. 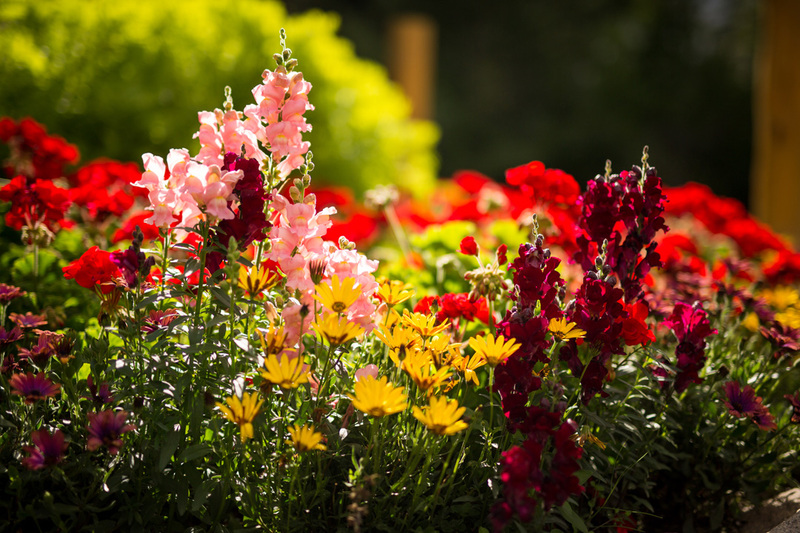 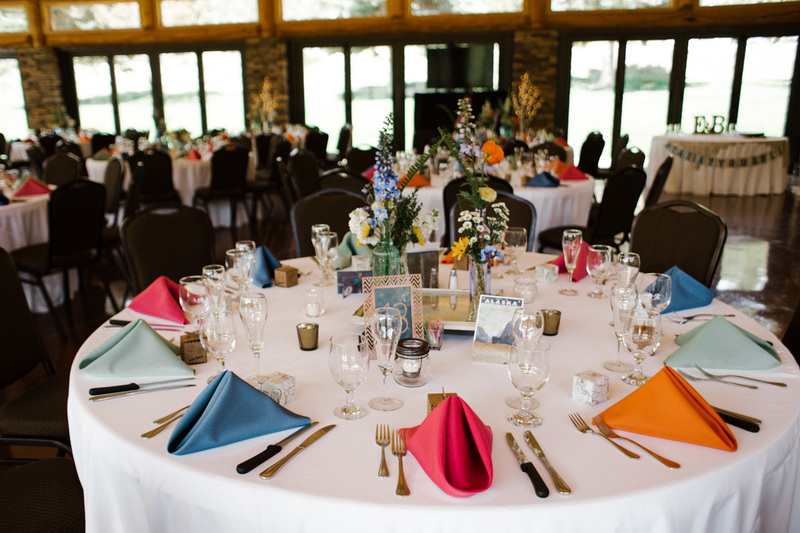 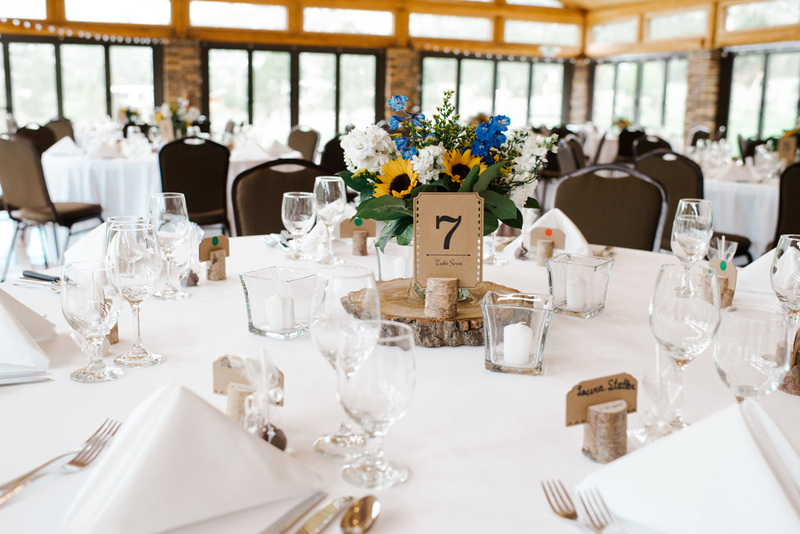 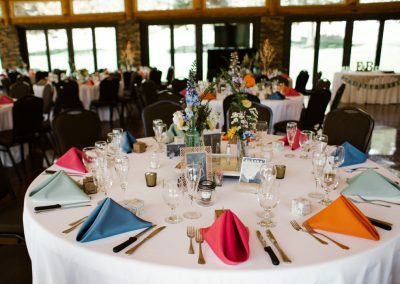 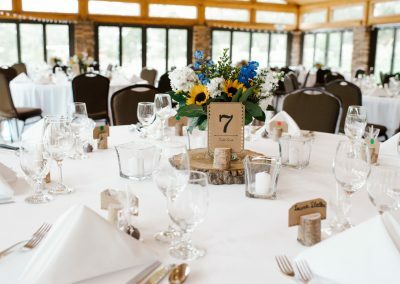 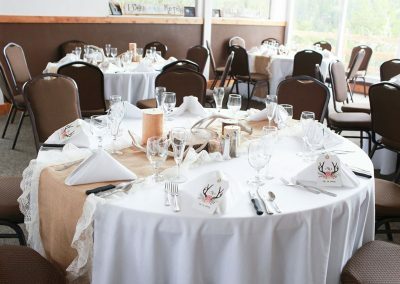 Situated along the Chalk Creek and a beautiful flower garden the Meadow is a unique place to host your event. 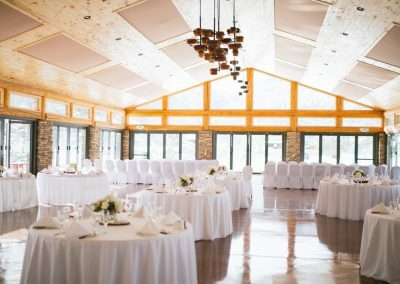 This 1,450 sq. 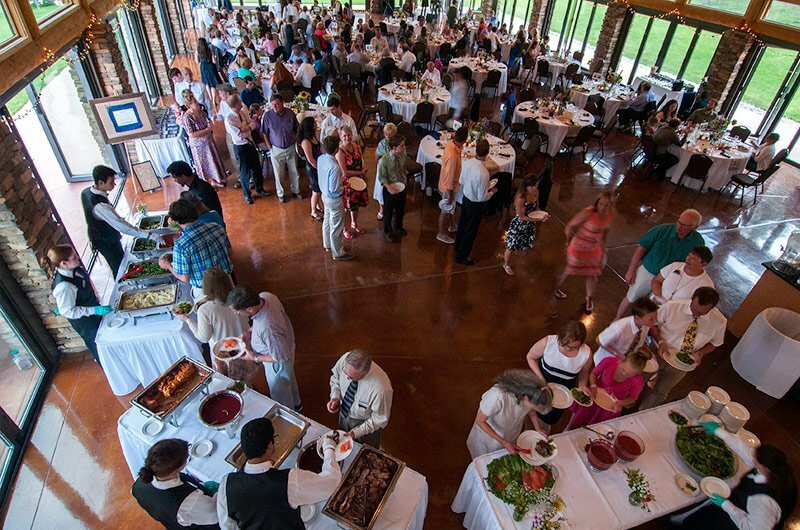 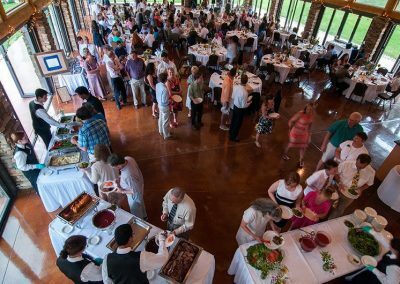 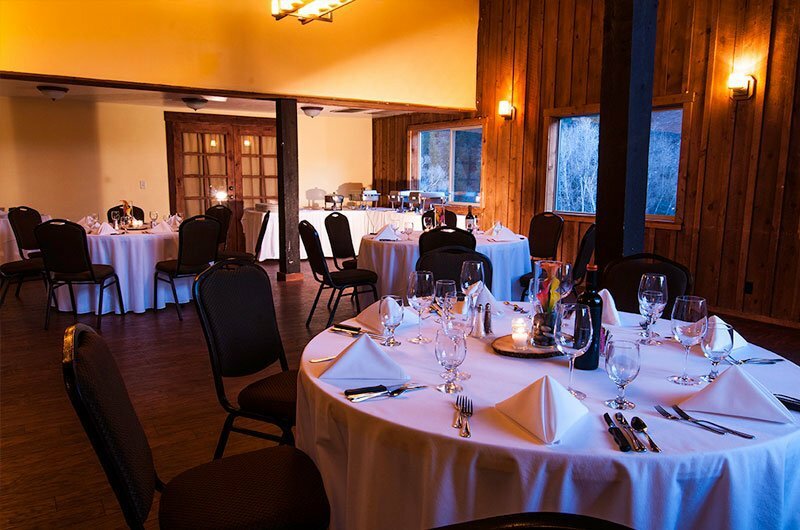 ft. site works well for a smaller gathering, meeting, retreat, or dinner. 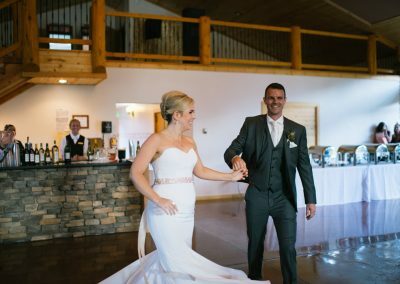 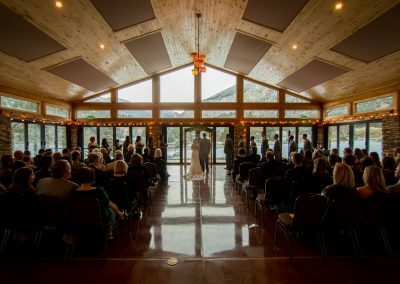 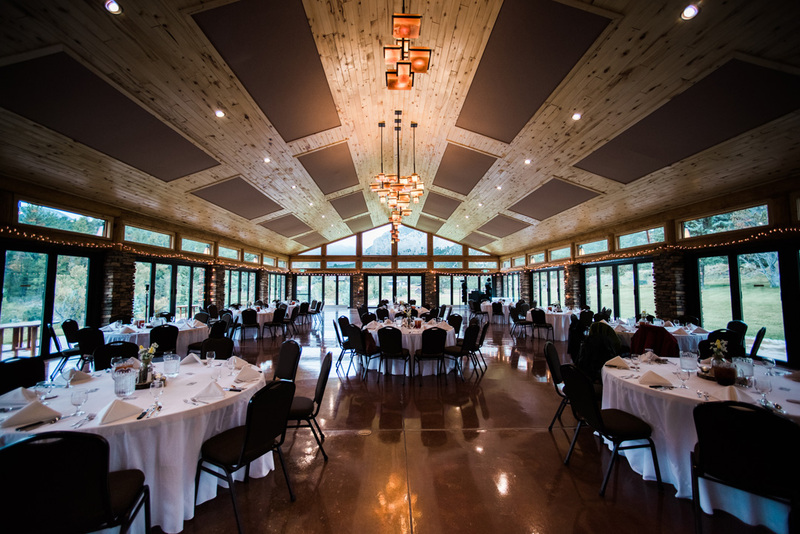 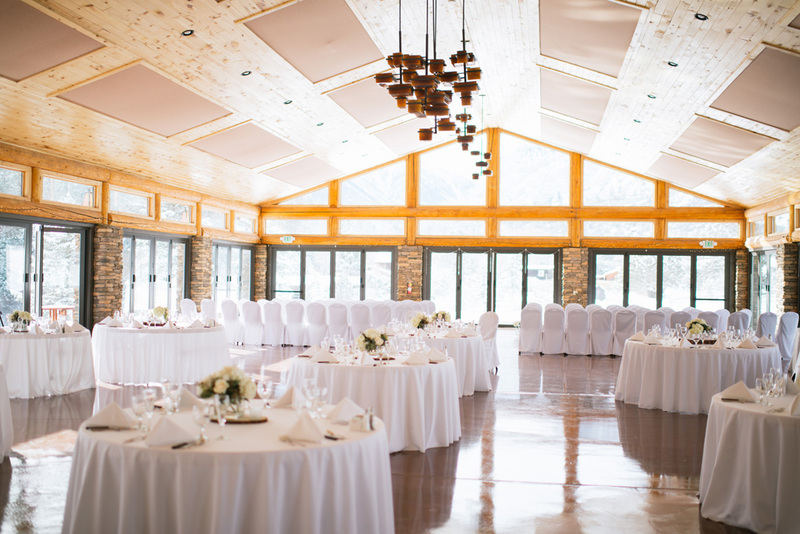 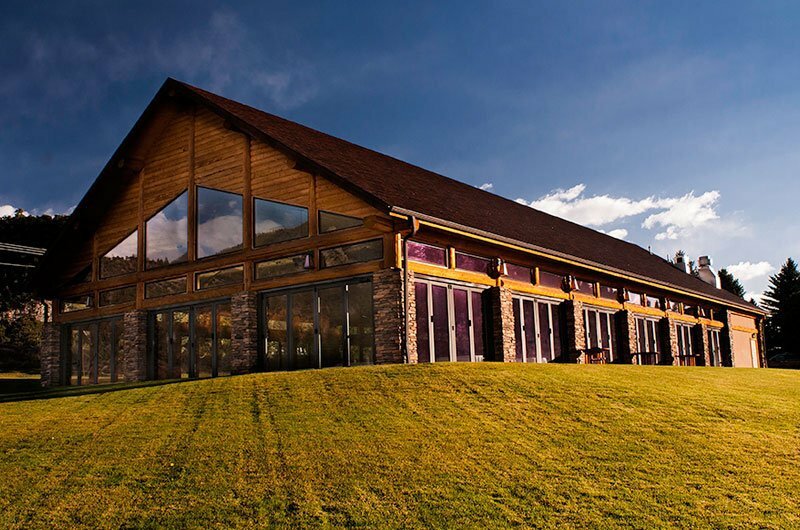 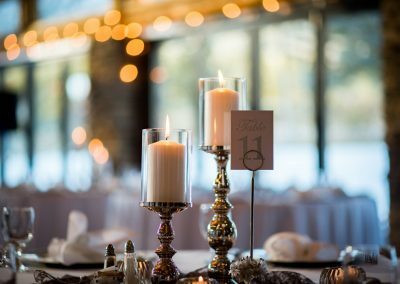 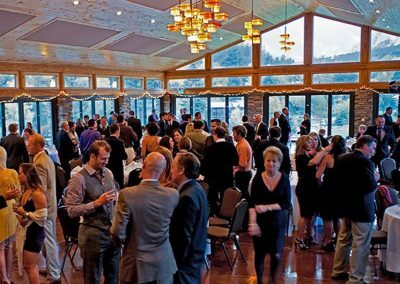 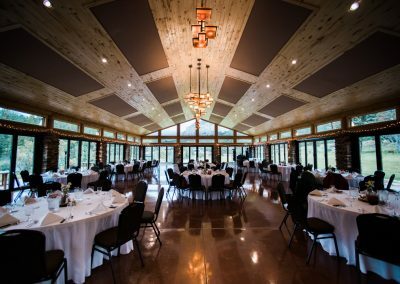 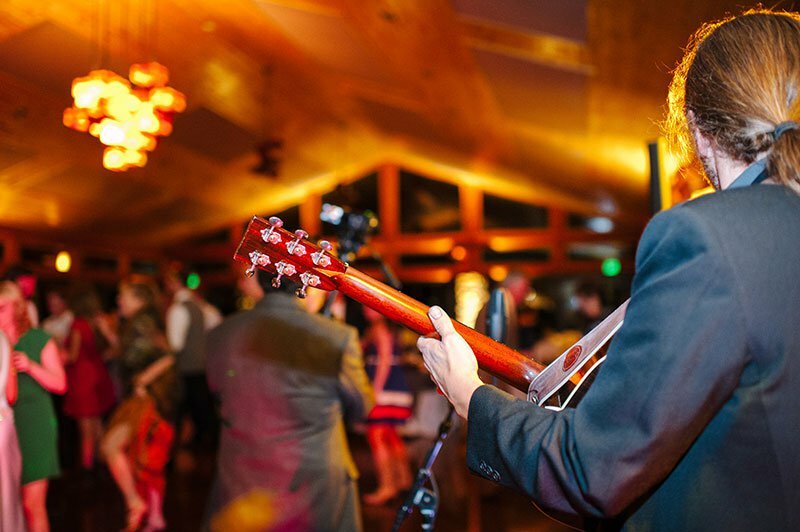 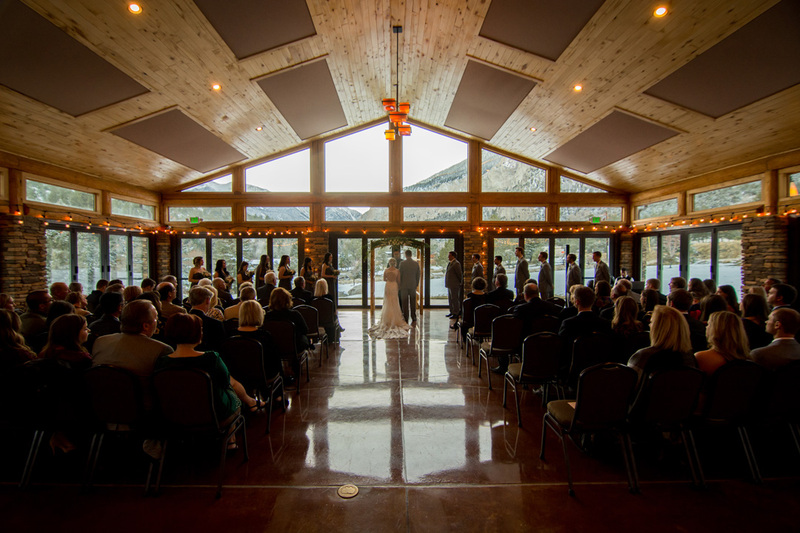 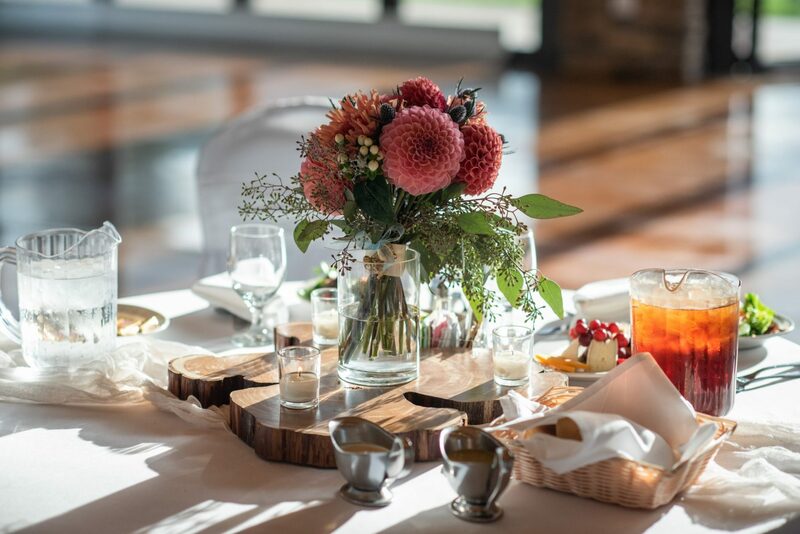 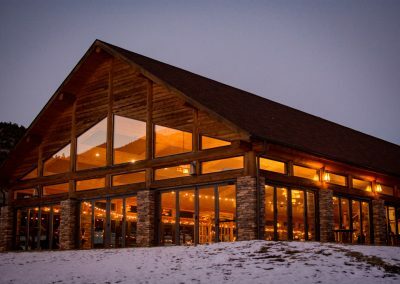 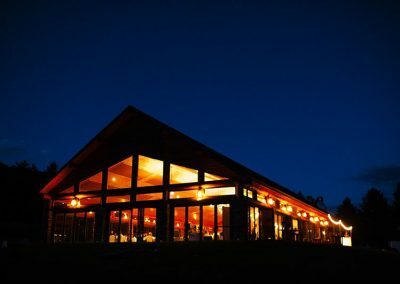 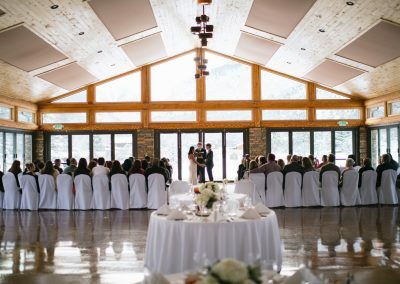 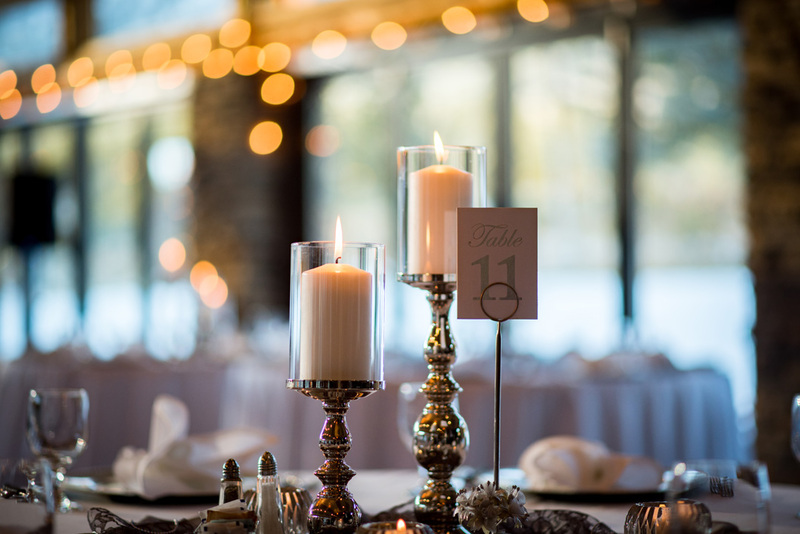 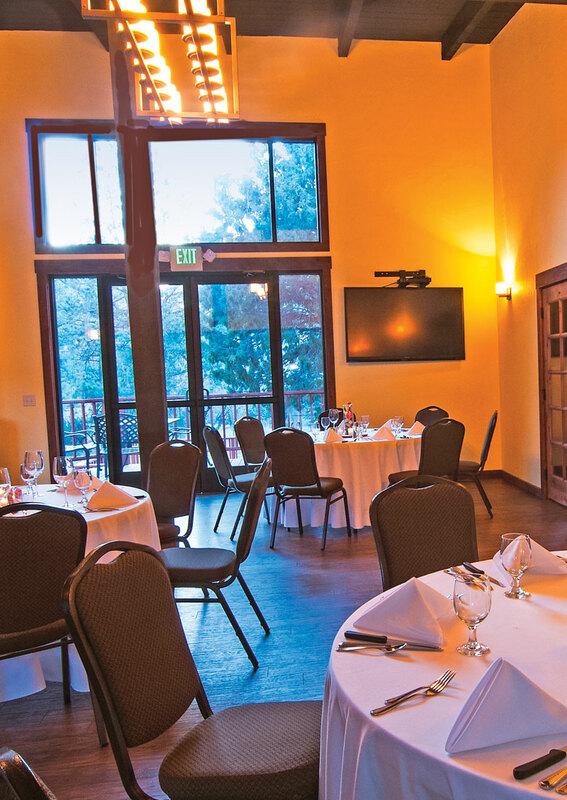 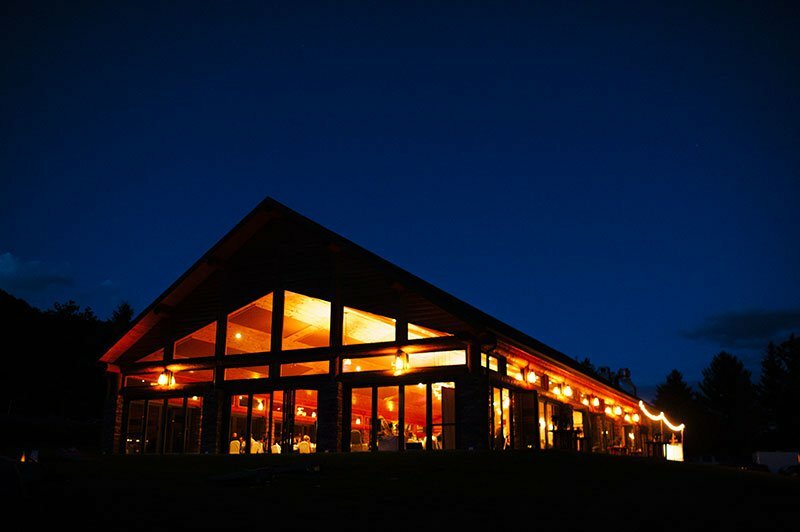 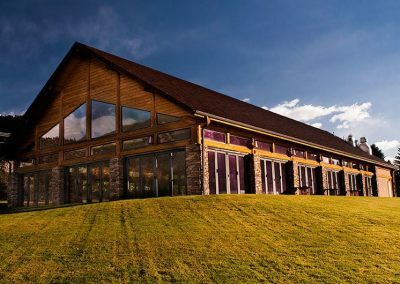 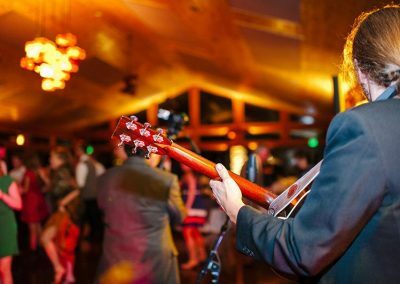 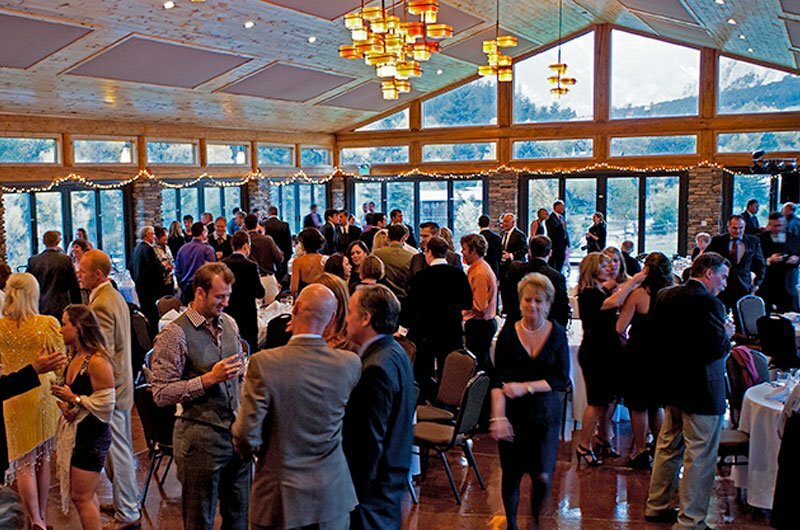 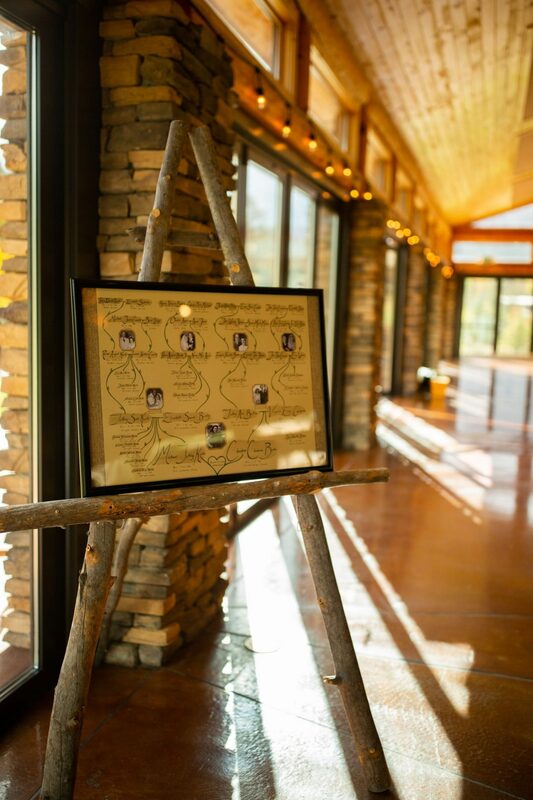 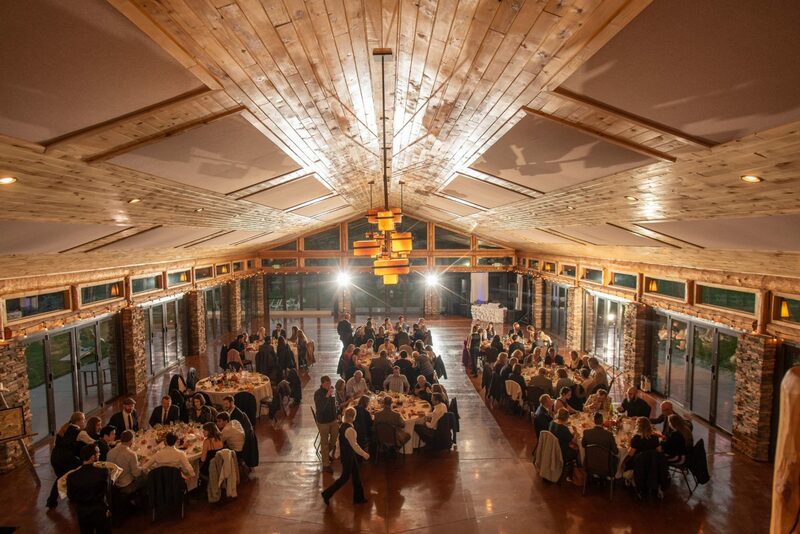 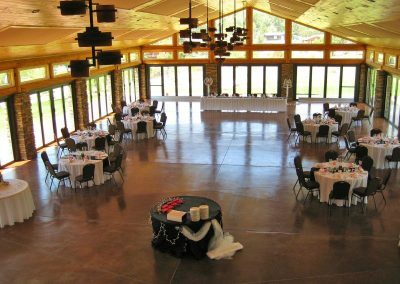 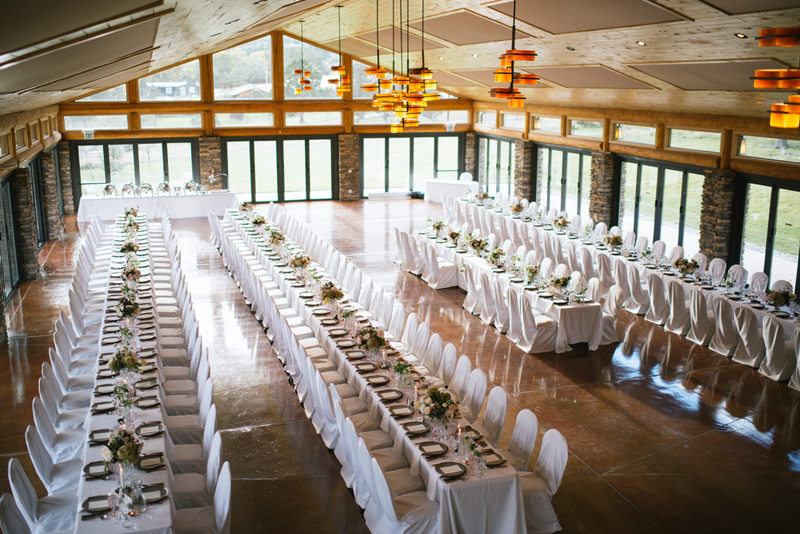 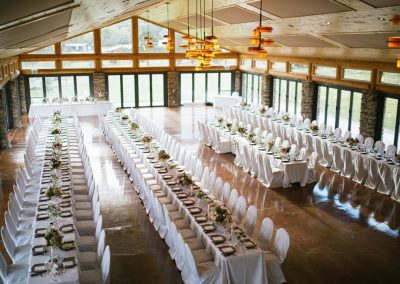 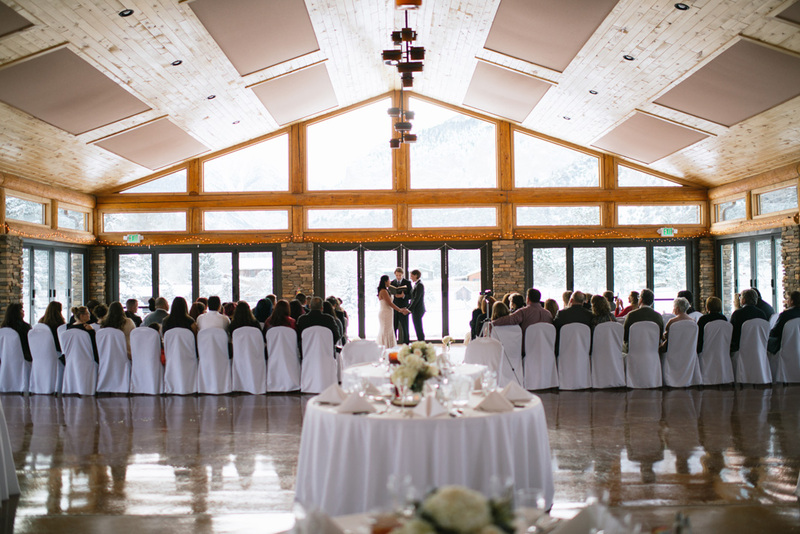 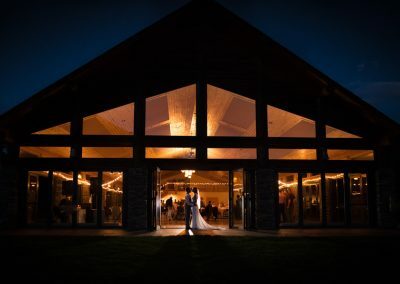 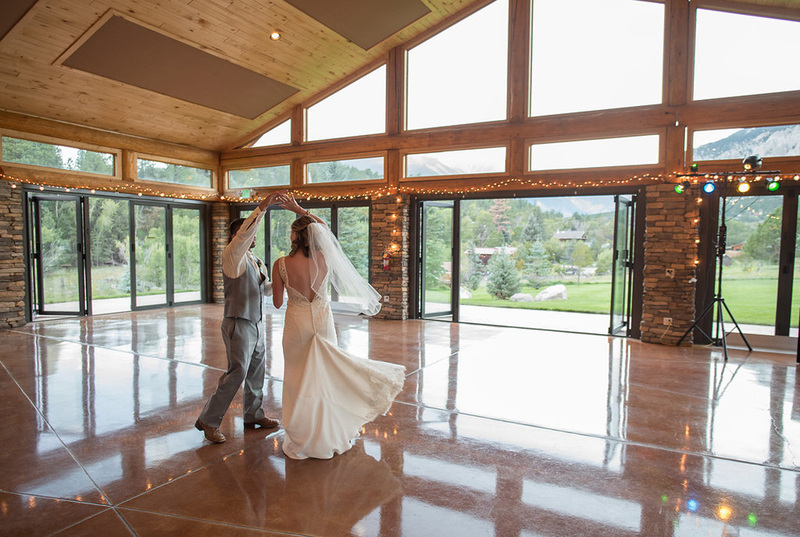 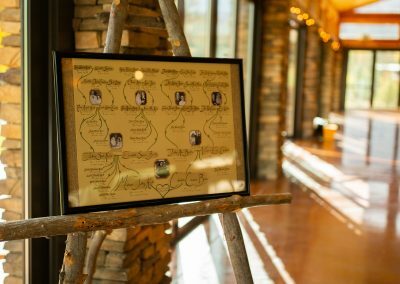 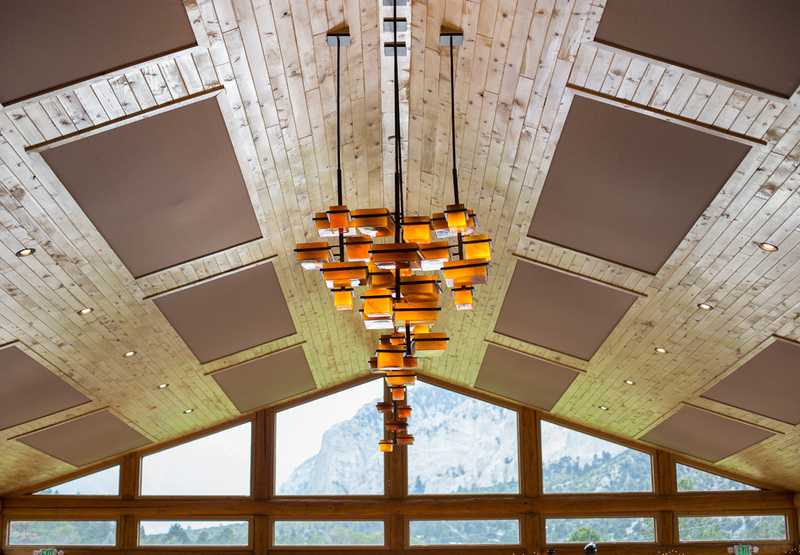 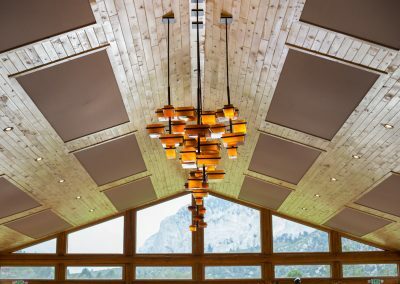 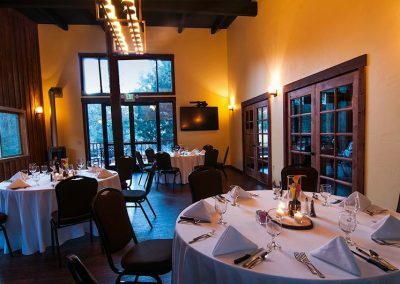 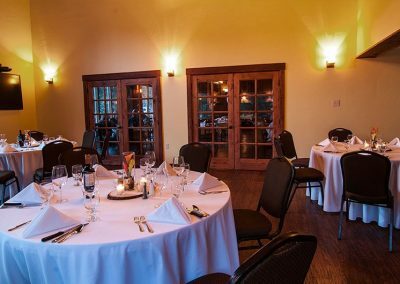 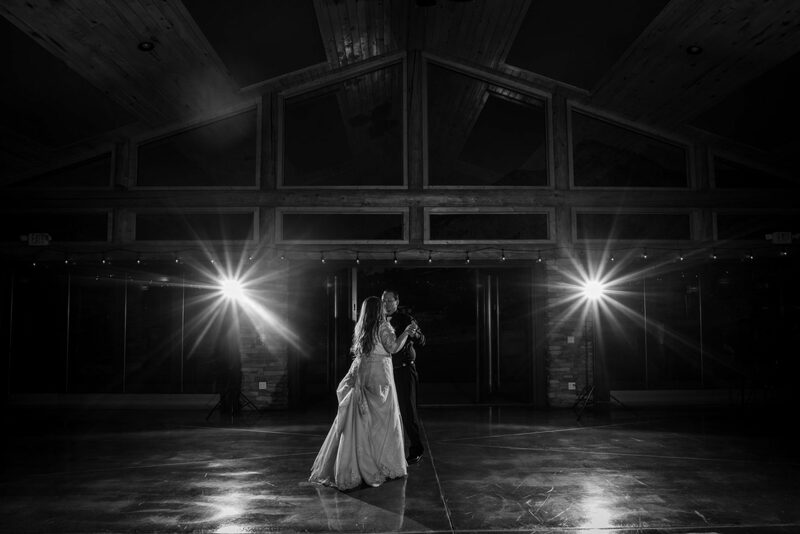 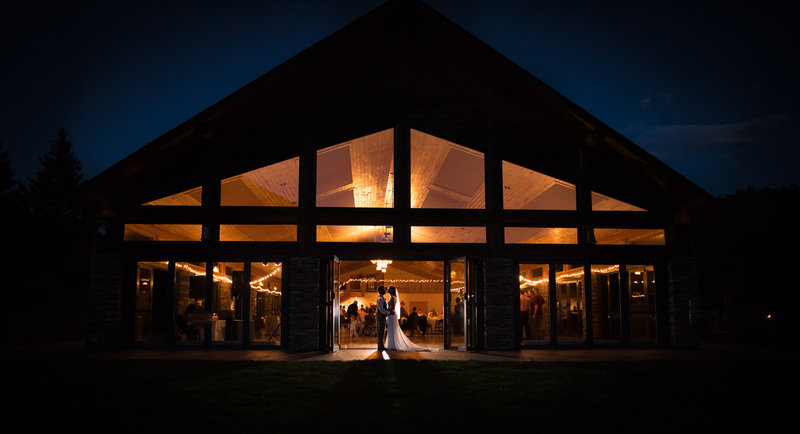 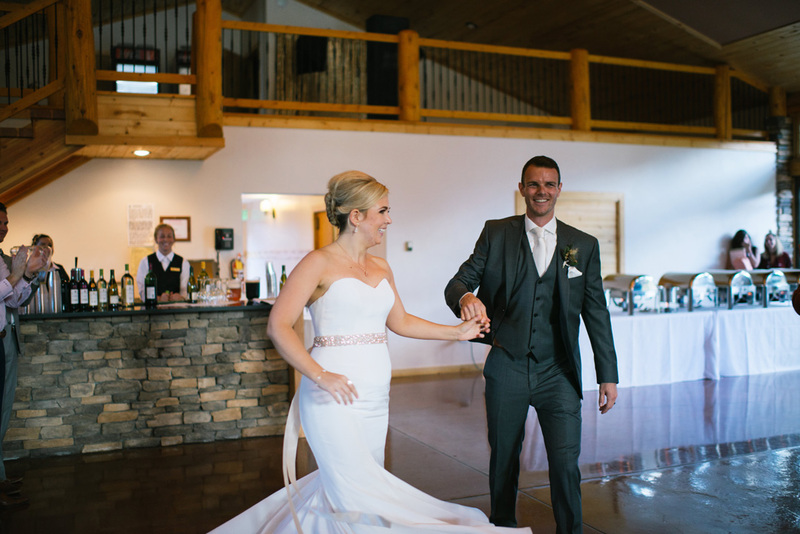 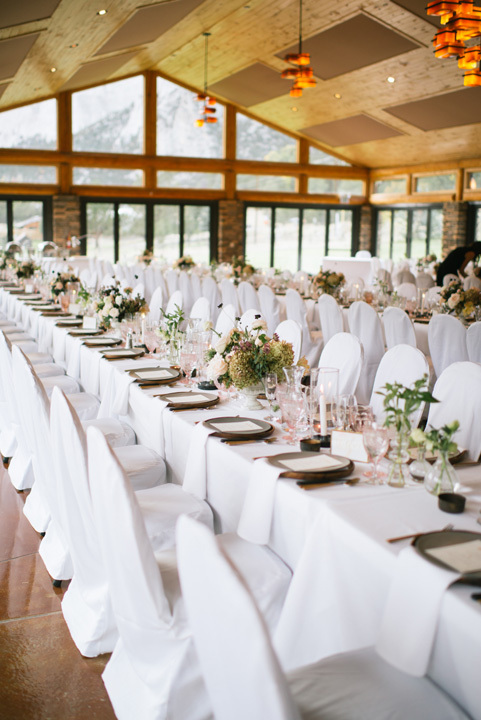 The Conference Center features mountain views, an oak dance floor, chandeliers and a stone fireplace to warm up chilly mountain evenings. 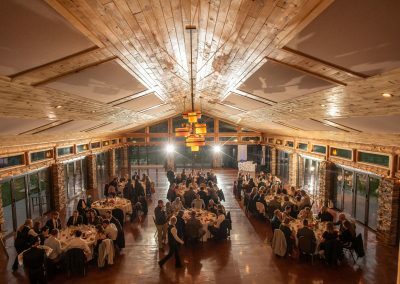 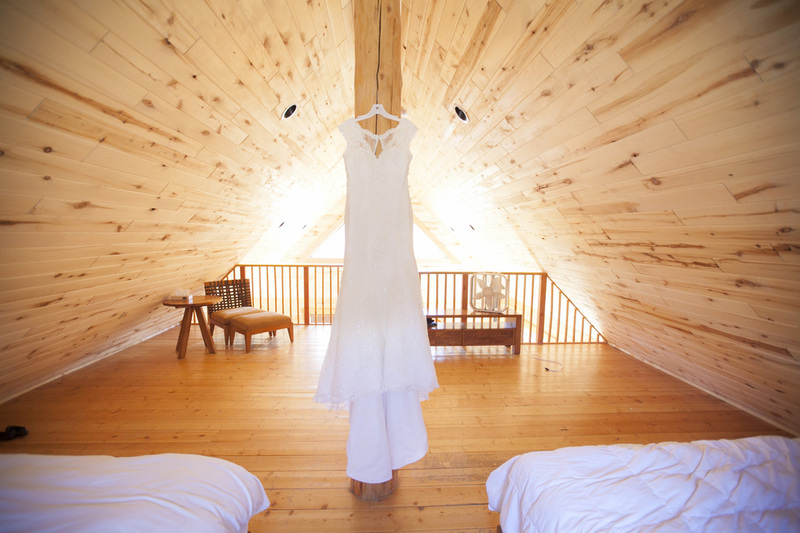 TThe Conference Cabin is a rustic cabin, which offers 1,346 sq. 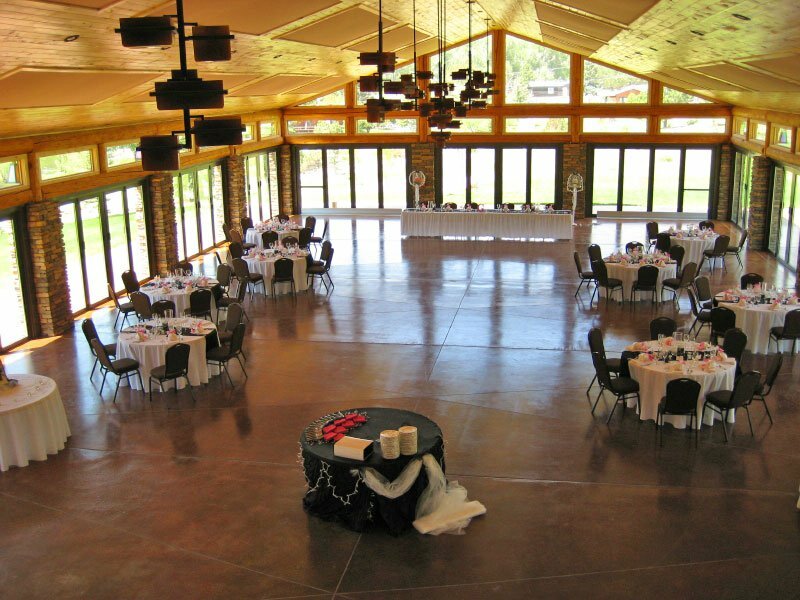 ft. of event space for a variety of uses. 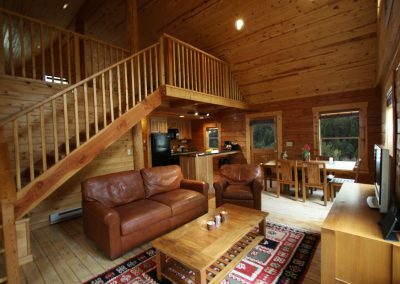 Four cozy lodging cabins are in close proximity for guests staying overnight. 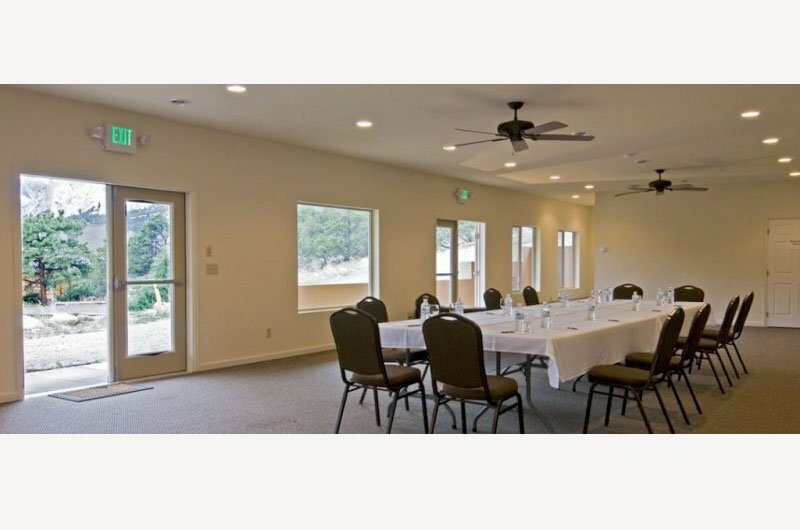 The capacity of the Conference Cabin is 96 and the rental rate is based on the size and activities of a group. 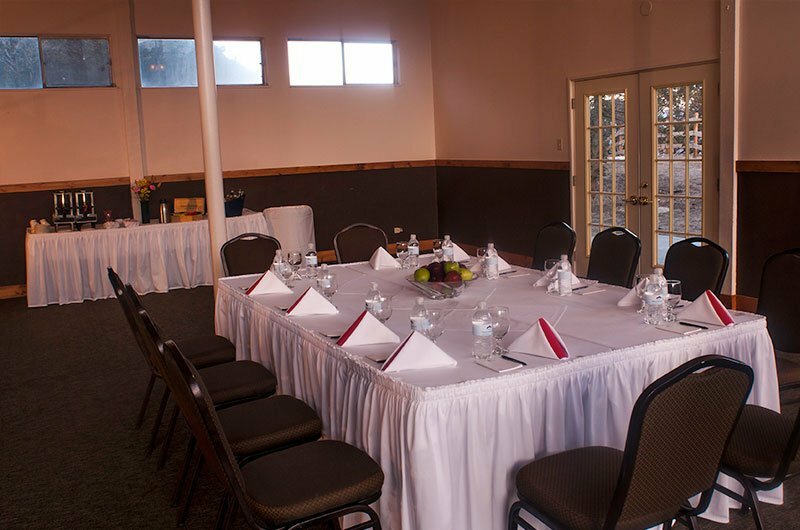 Smaller meeting spaces are available in both the main lodge and spa with wi-fi access. 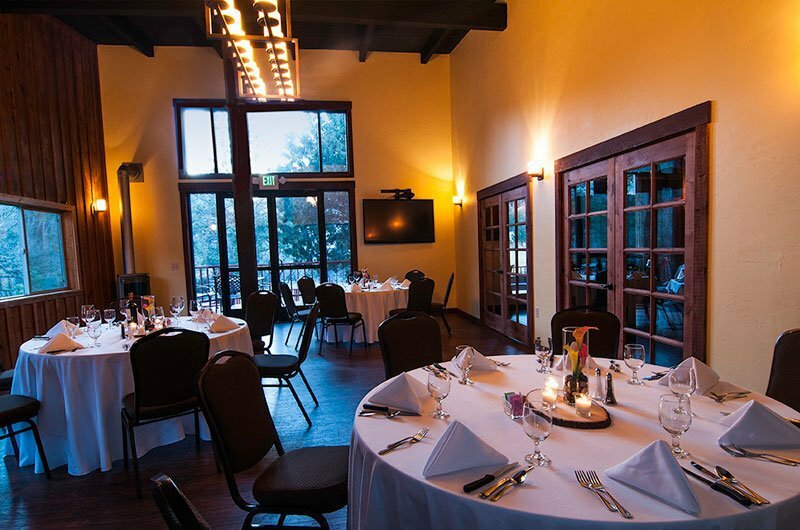 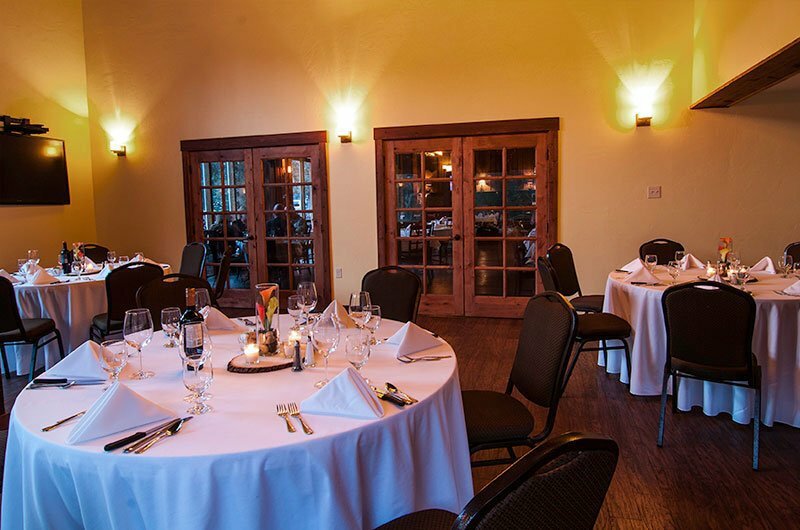 The back dining room of the restaurant is available for private dinners, group meetings, and private parties. 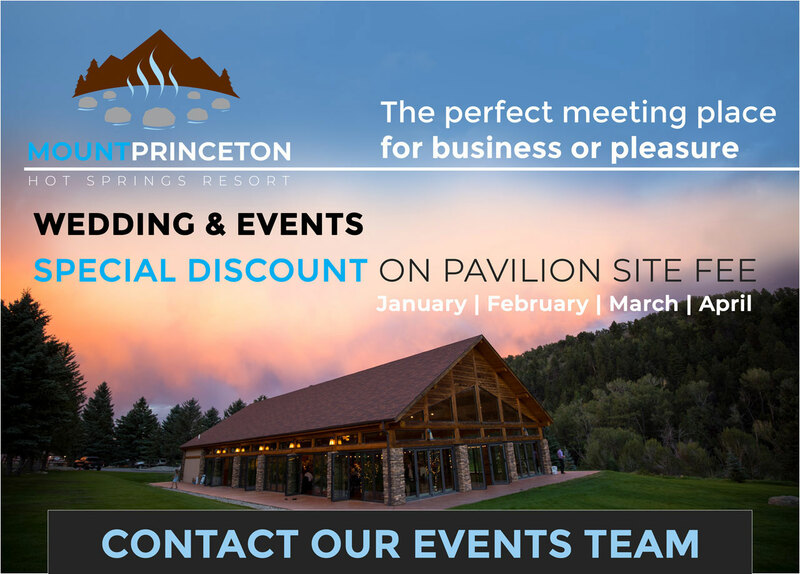 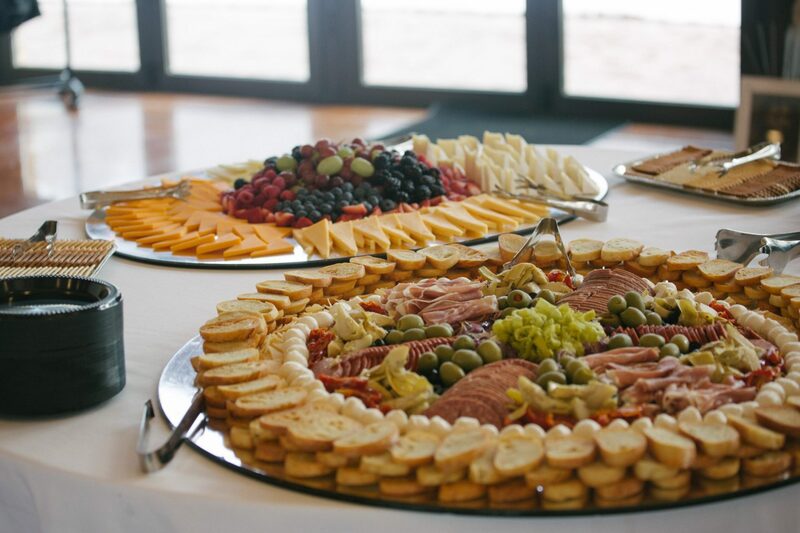 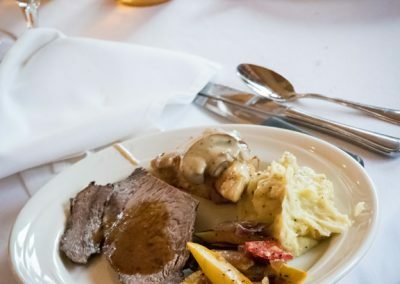 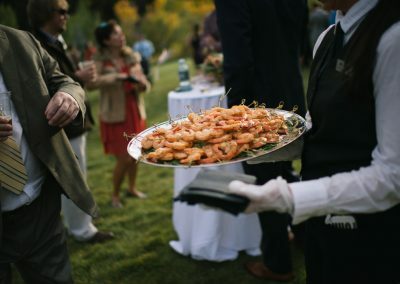 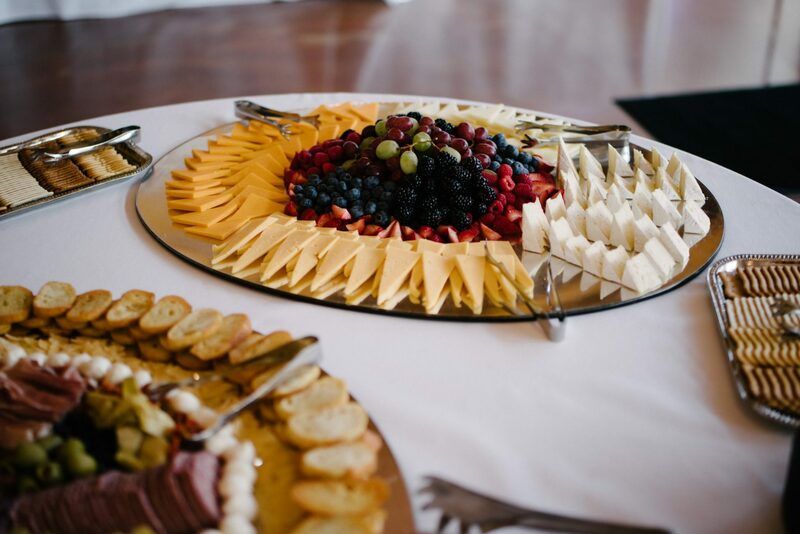 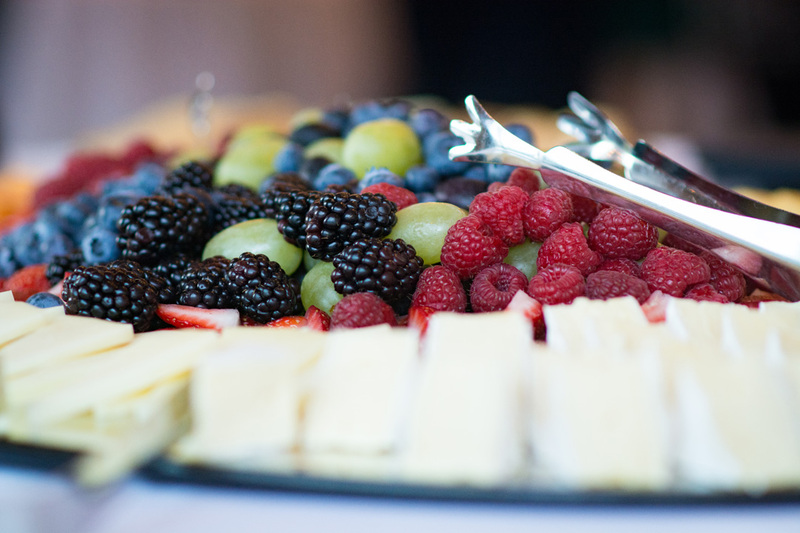 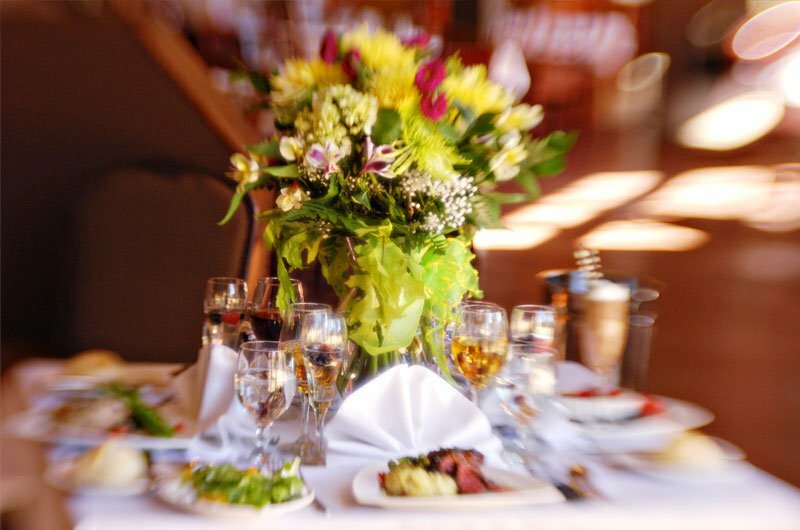 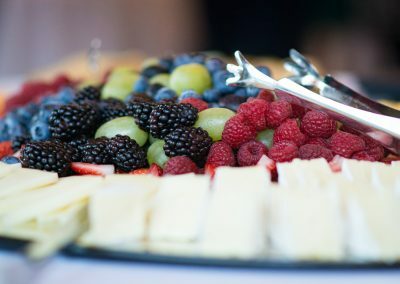 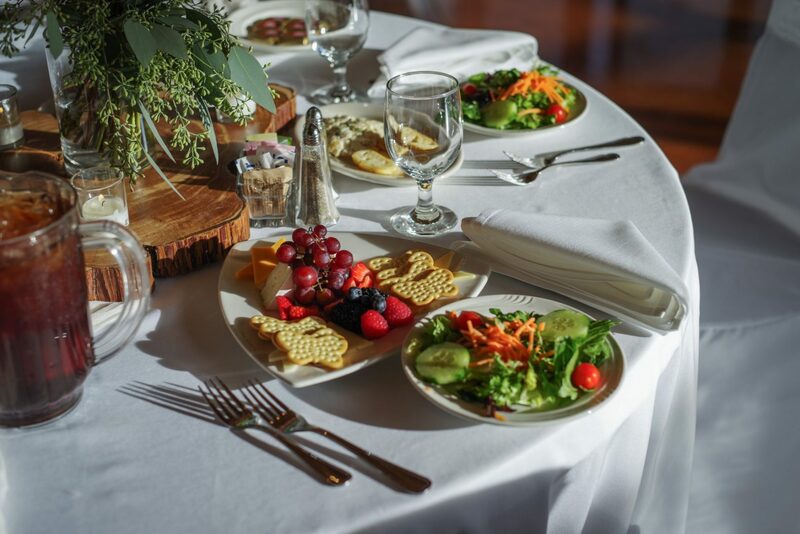 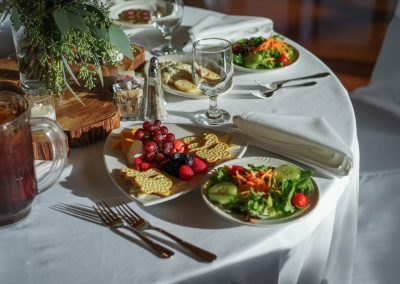 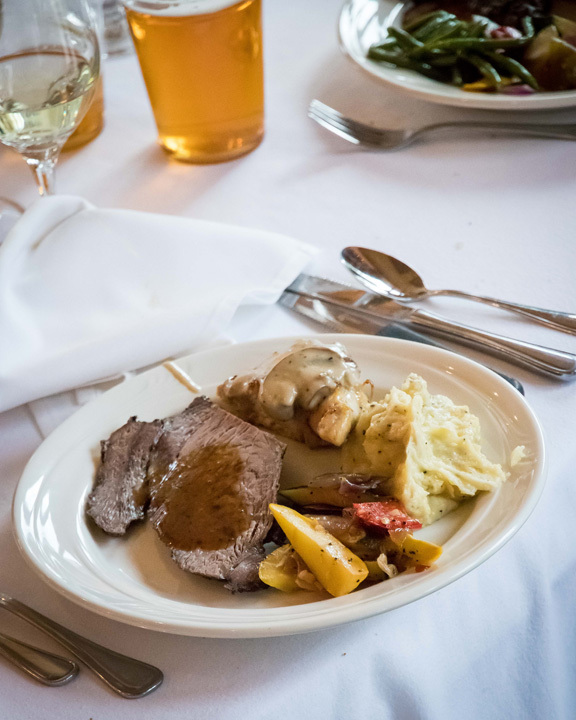 Any location allows for catered meals provided by The Princeton Club.